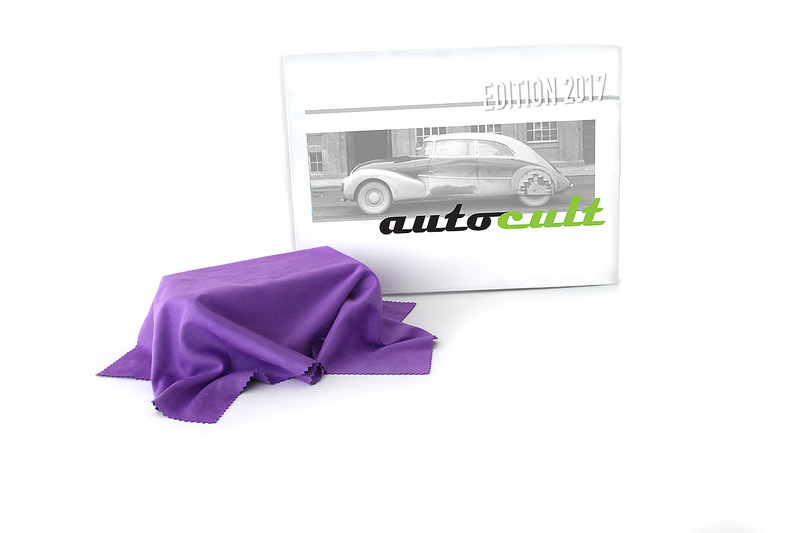 All photographs supplied by Autocult. 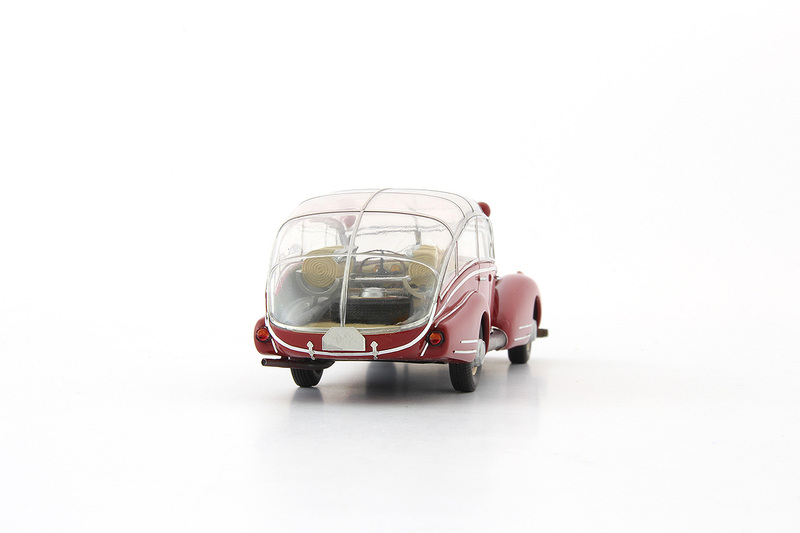 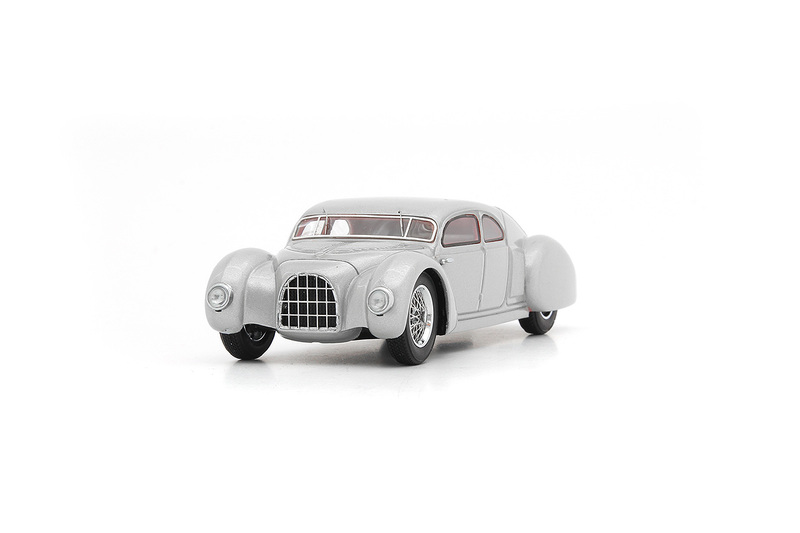 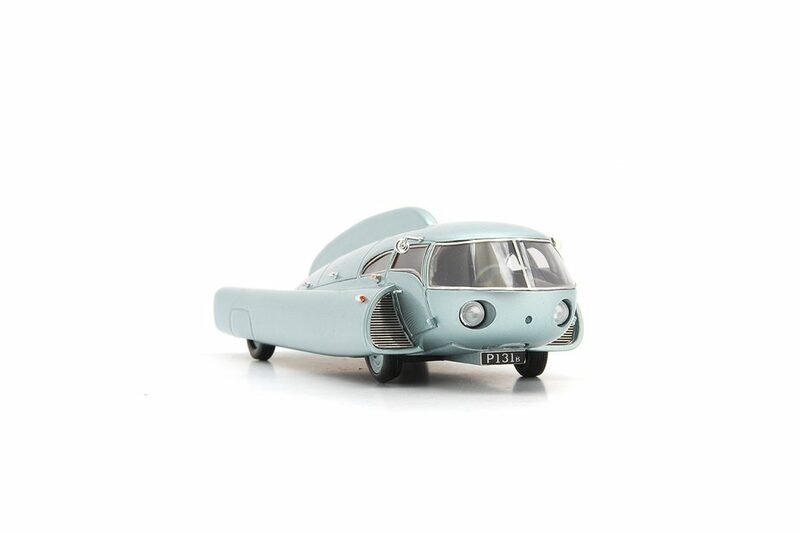 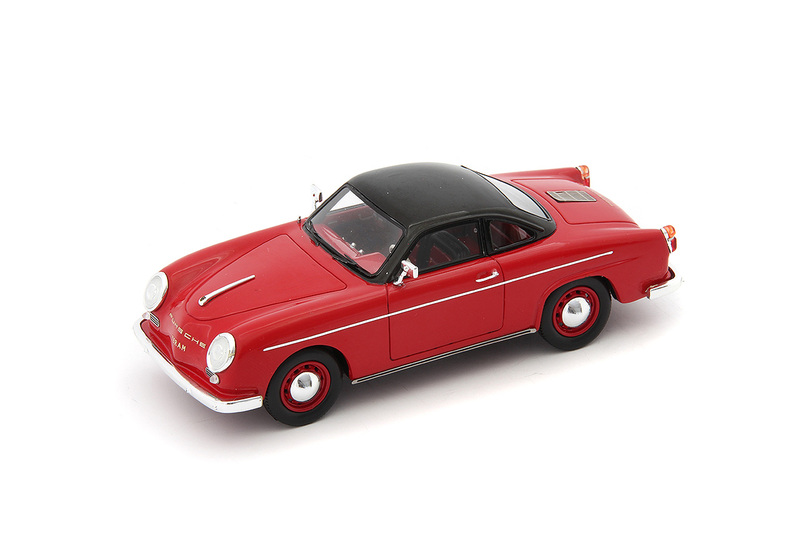 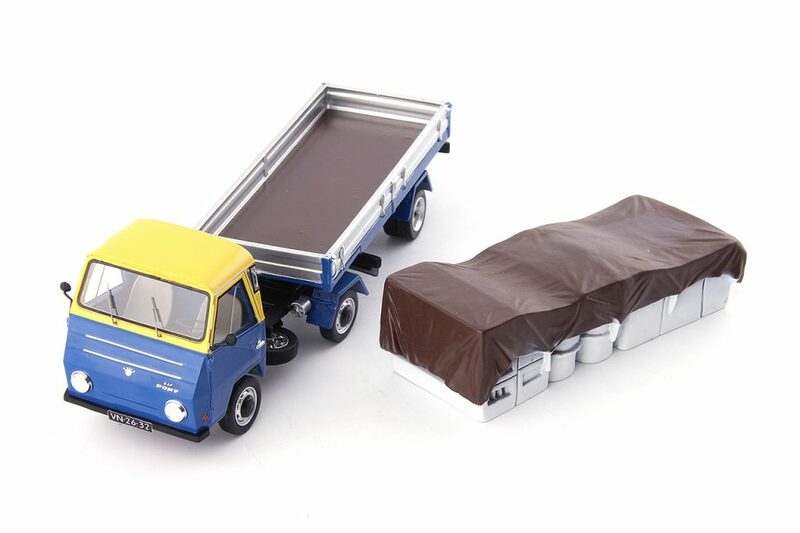 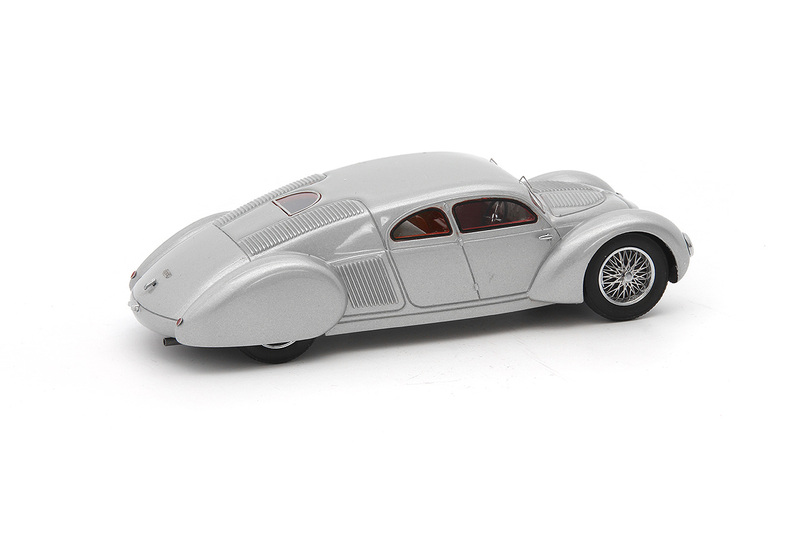 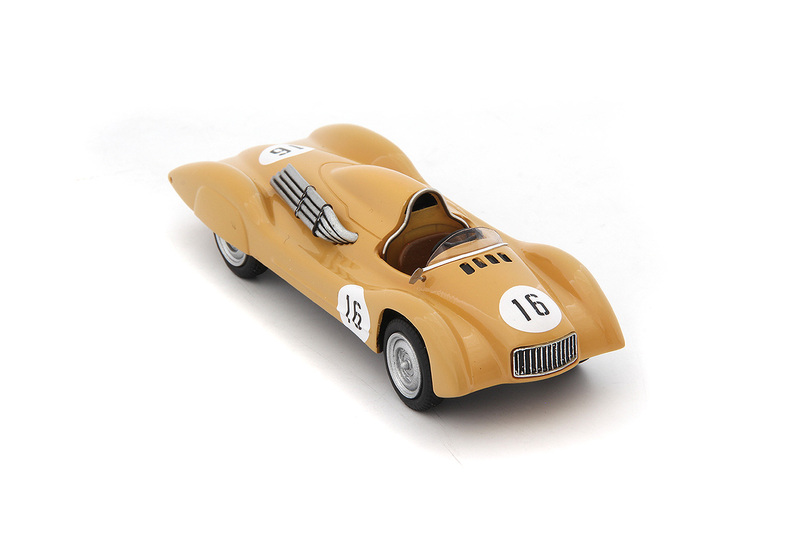 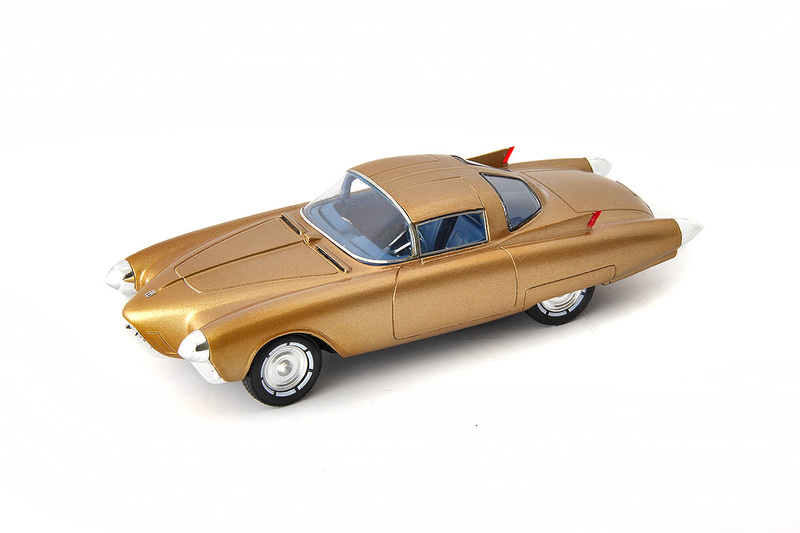 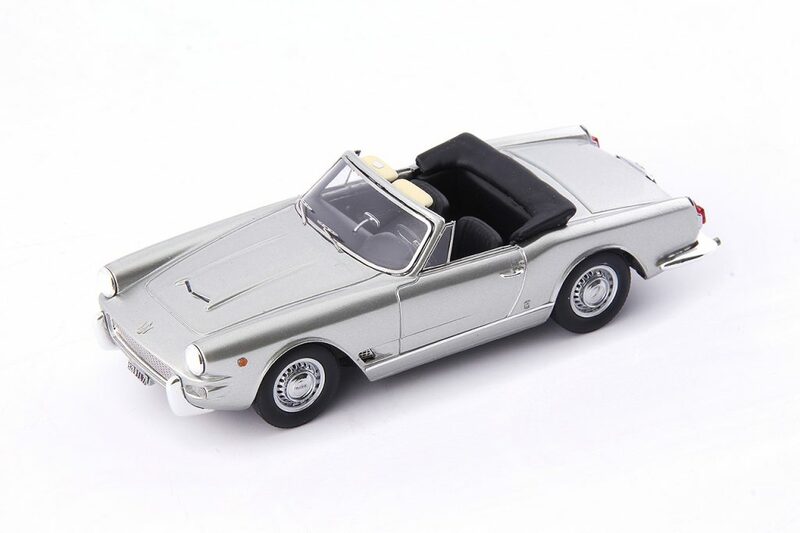 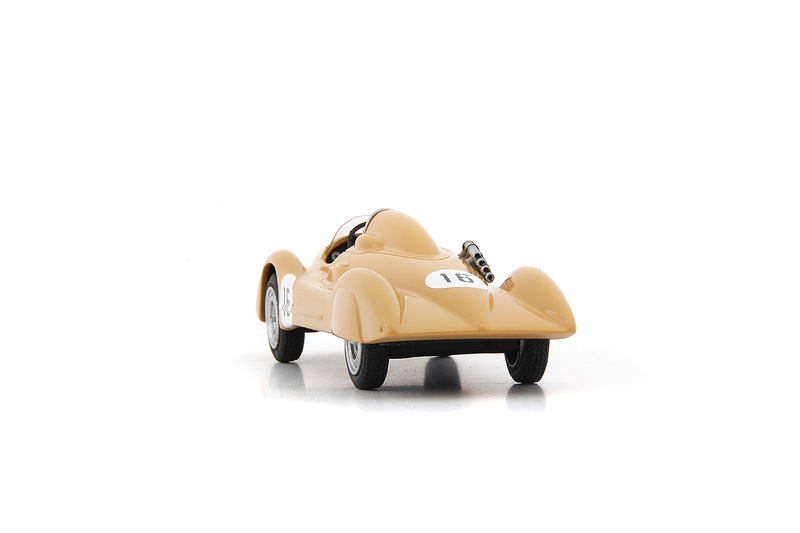 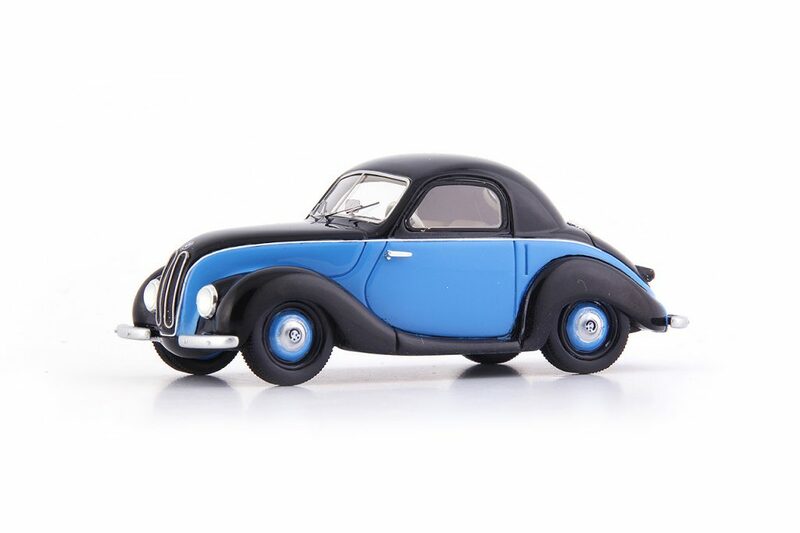 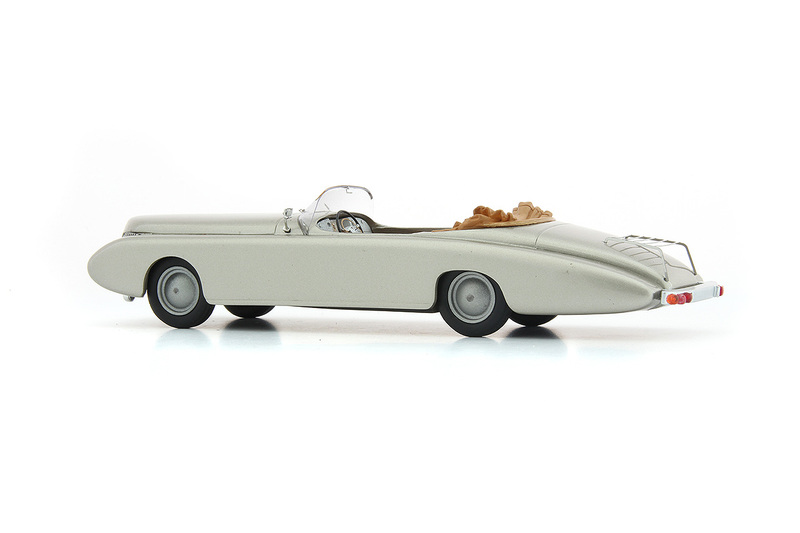 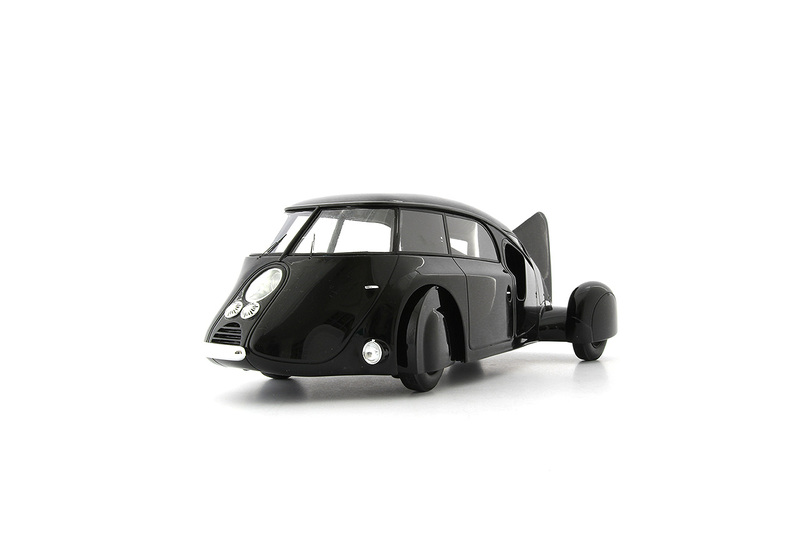 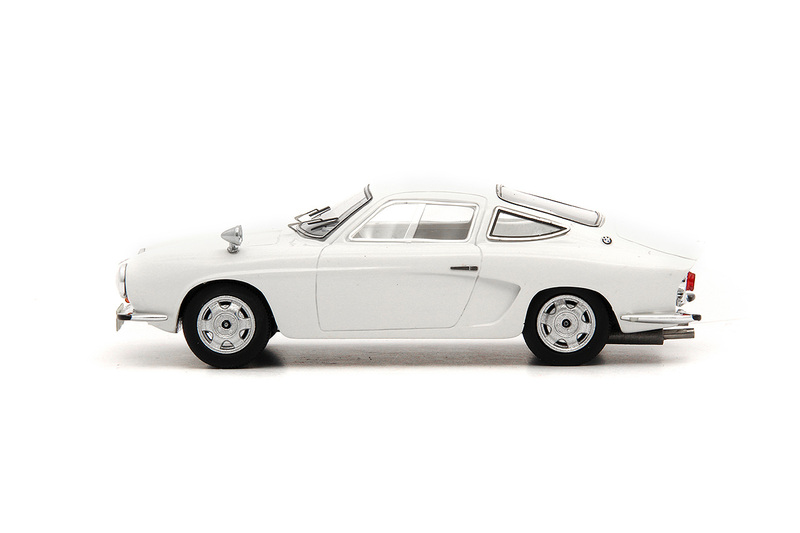 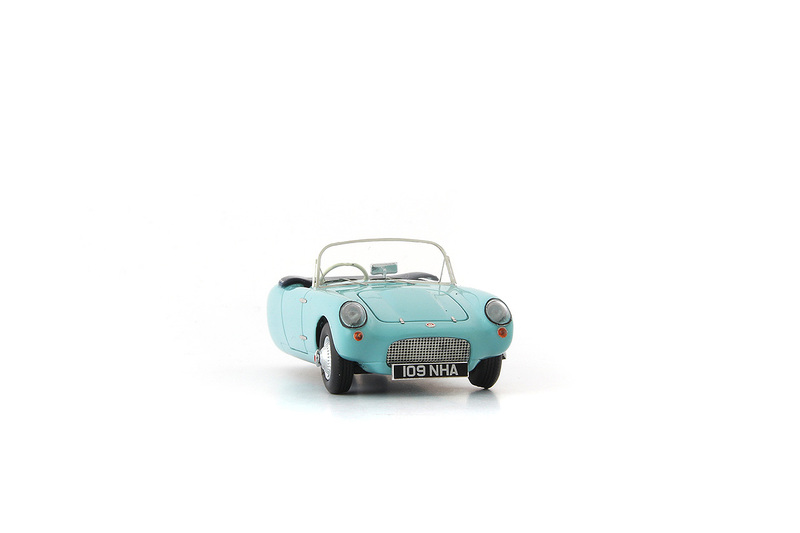 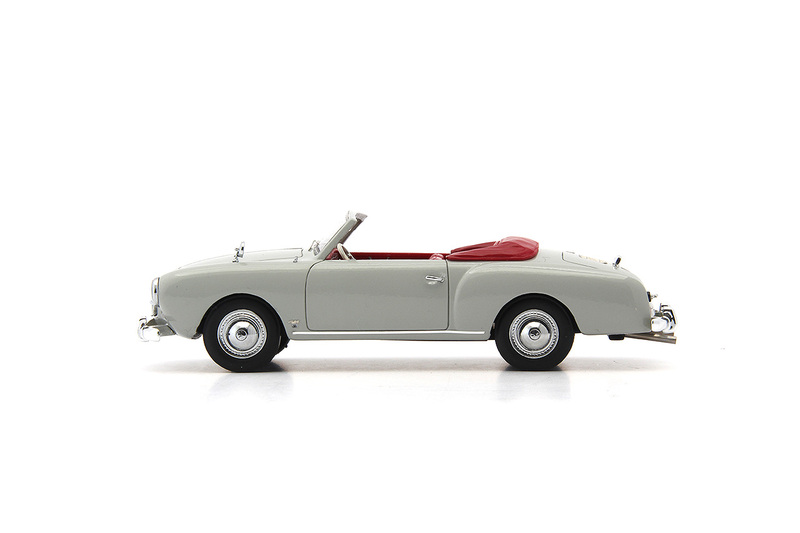 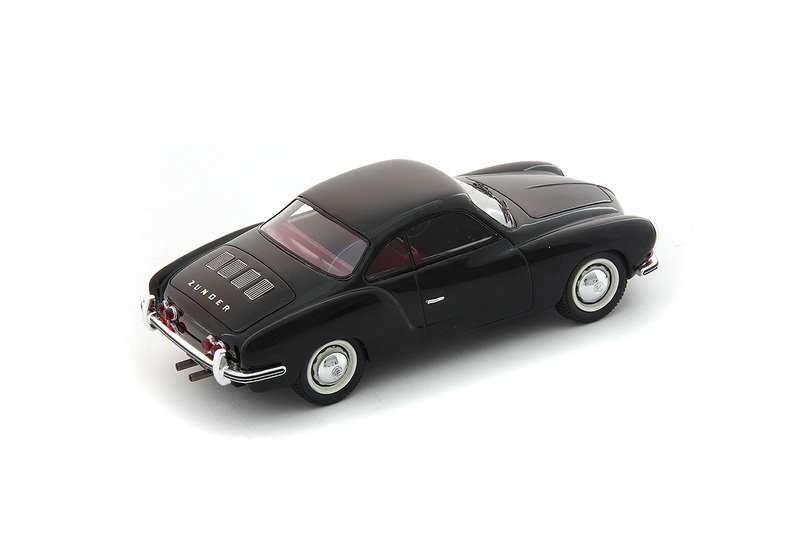 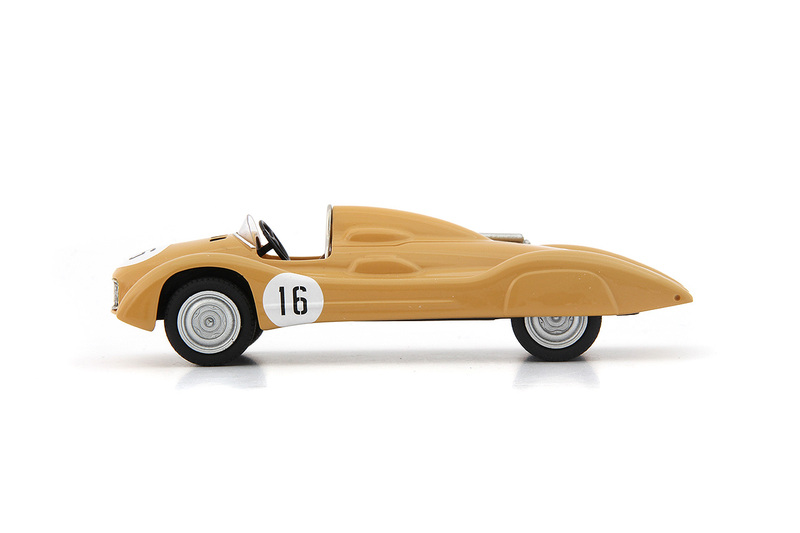 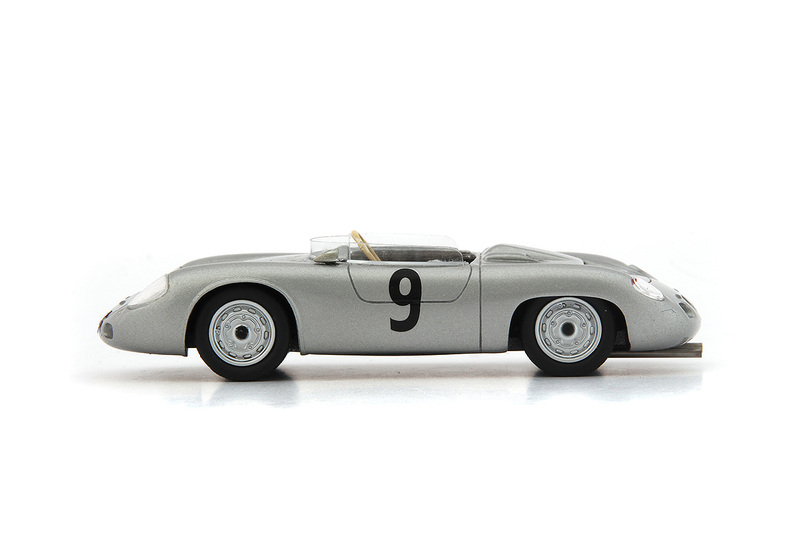 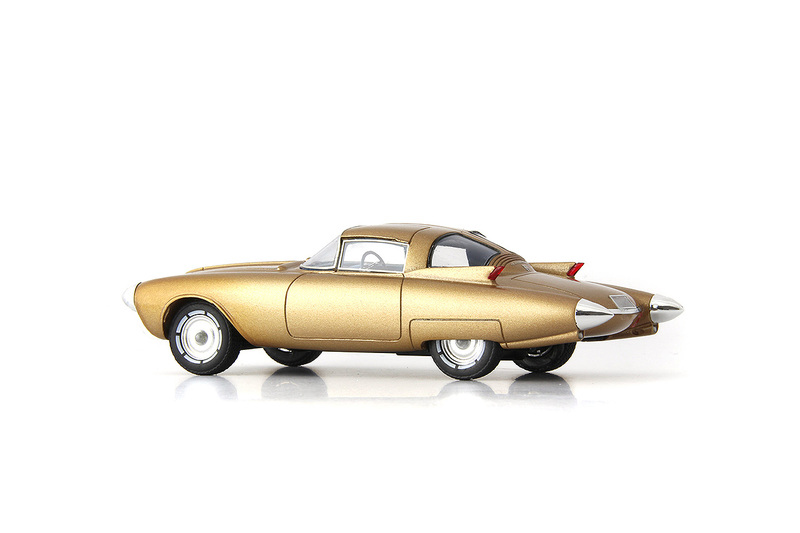 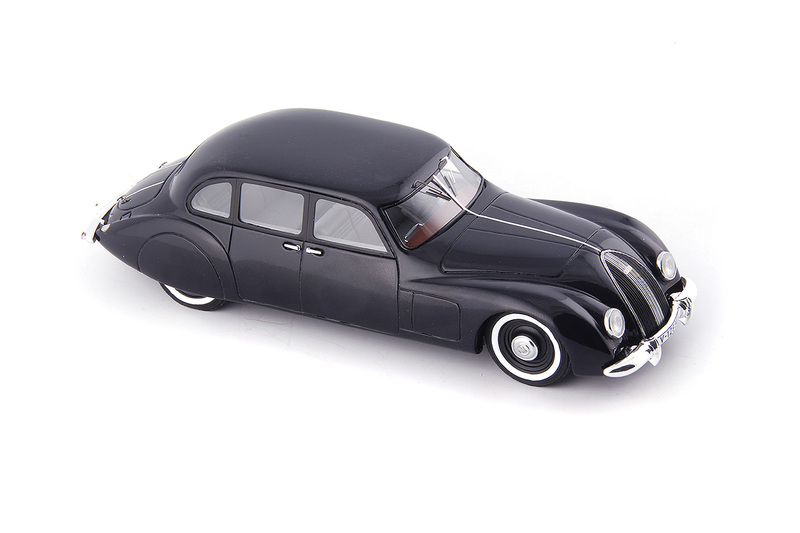 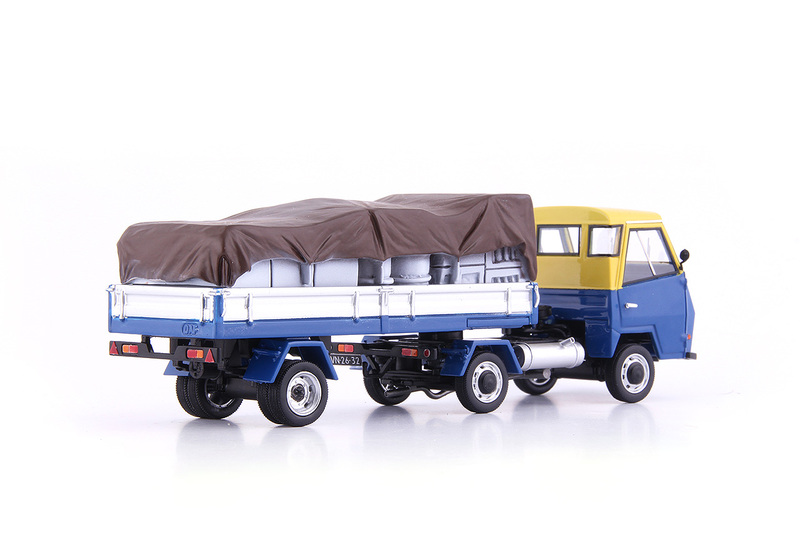 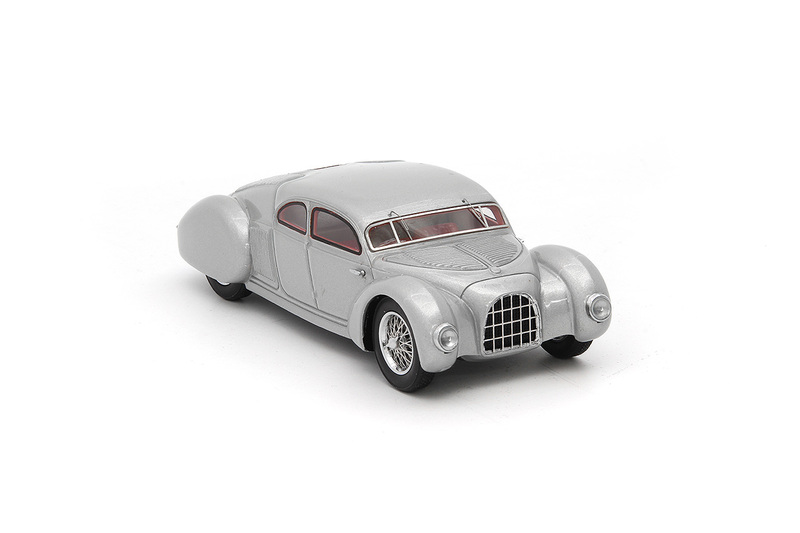 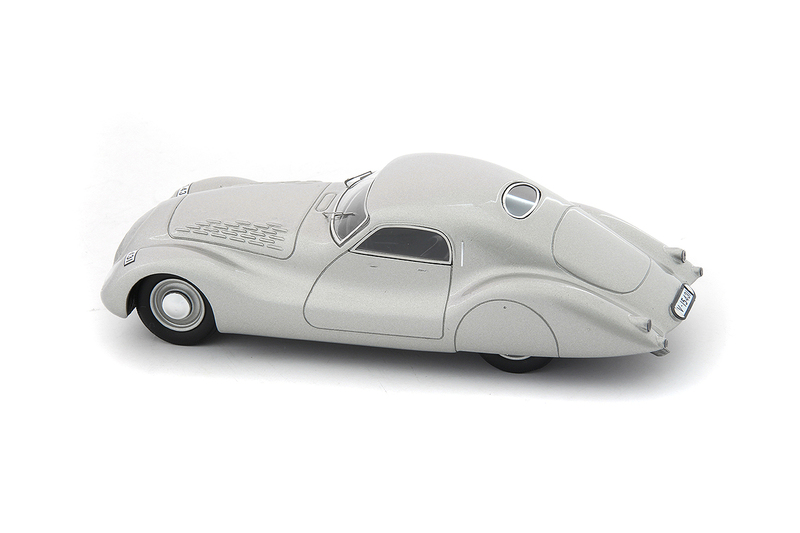 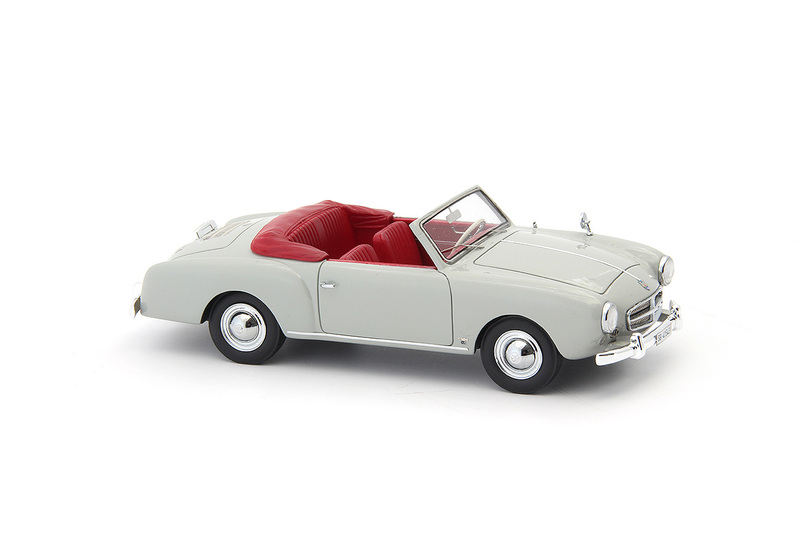 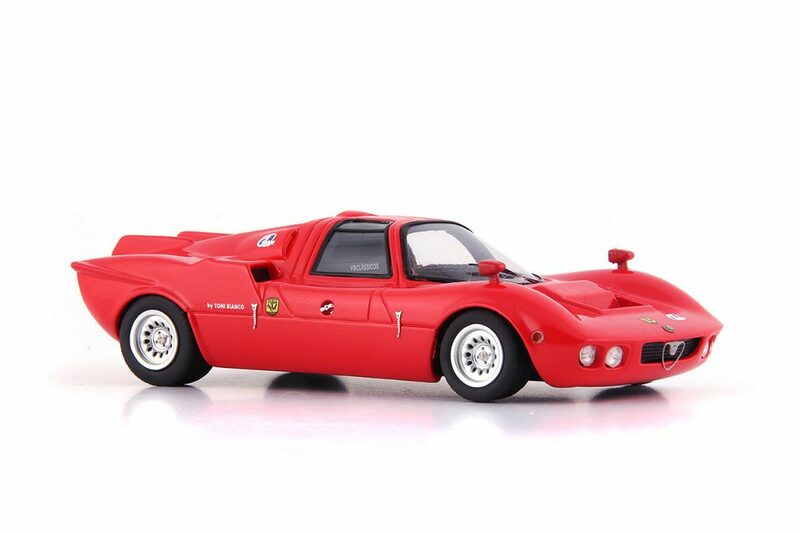 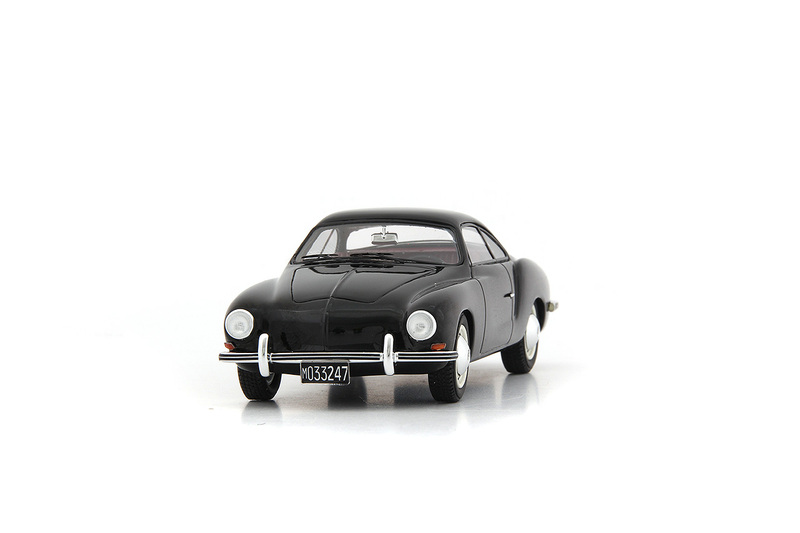 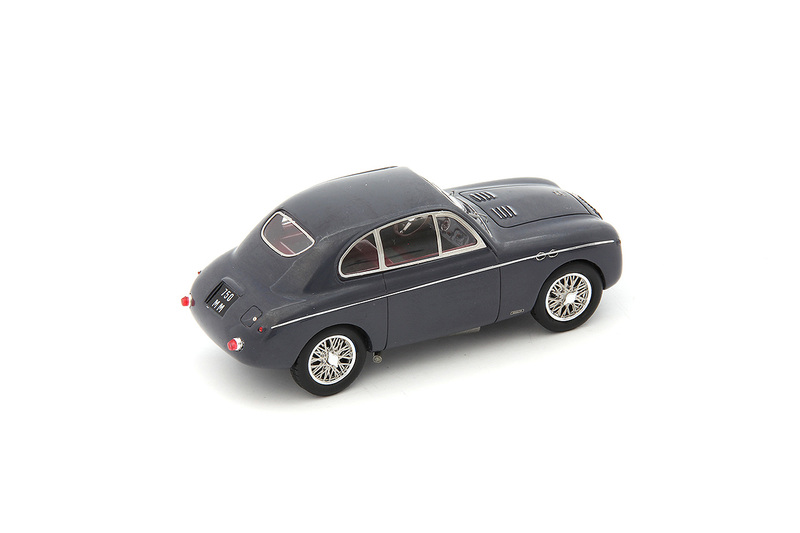 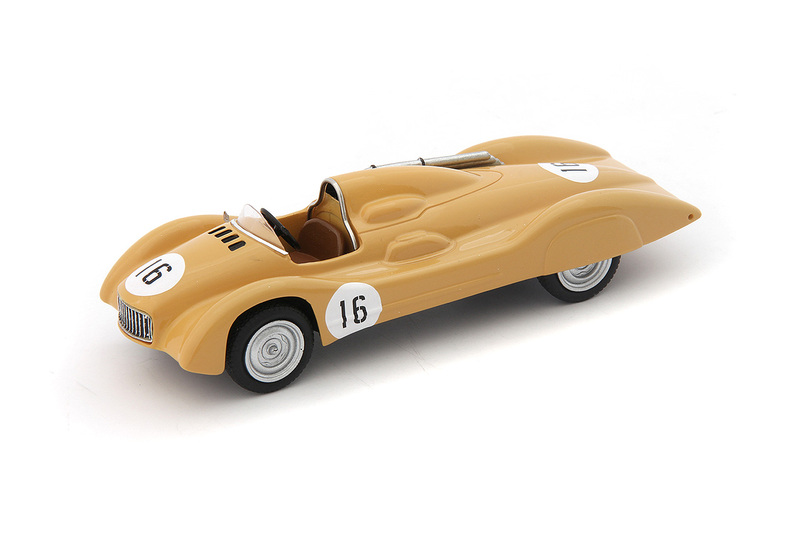 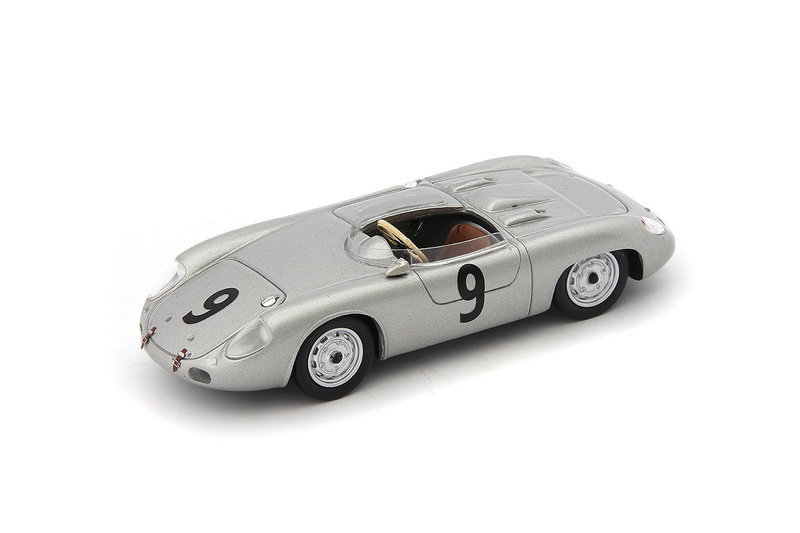 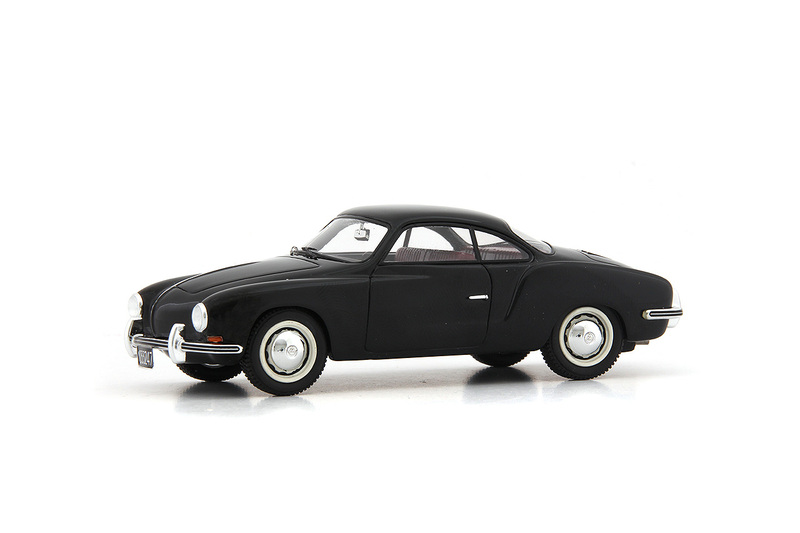 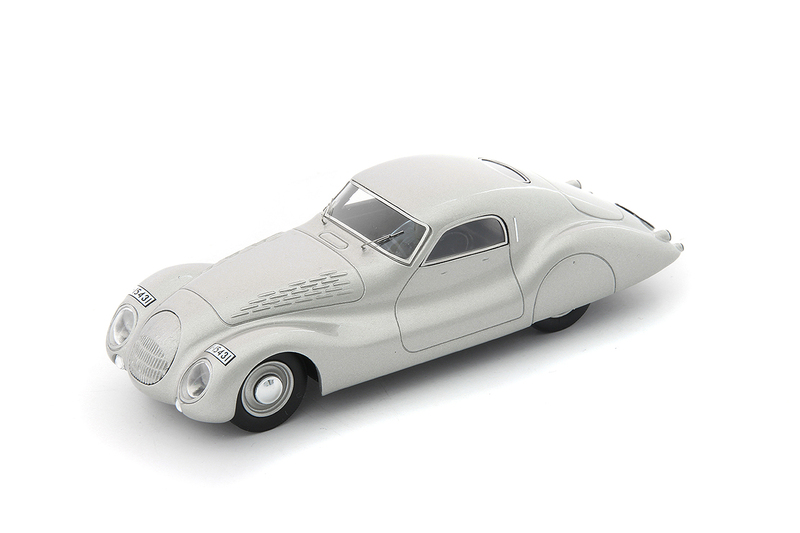 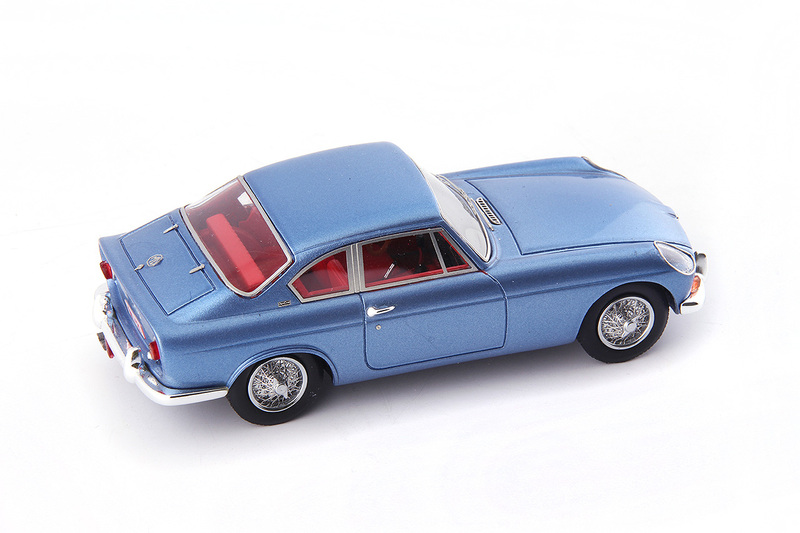 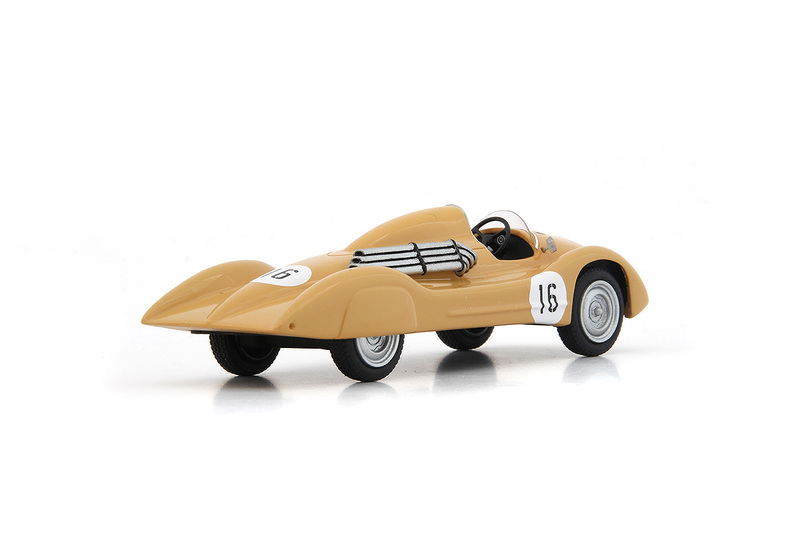 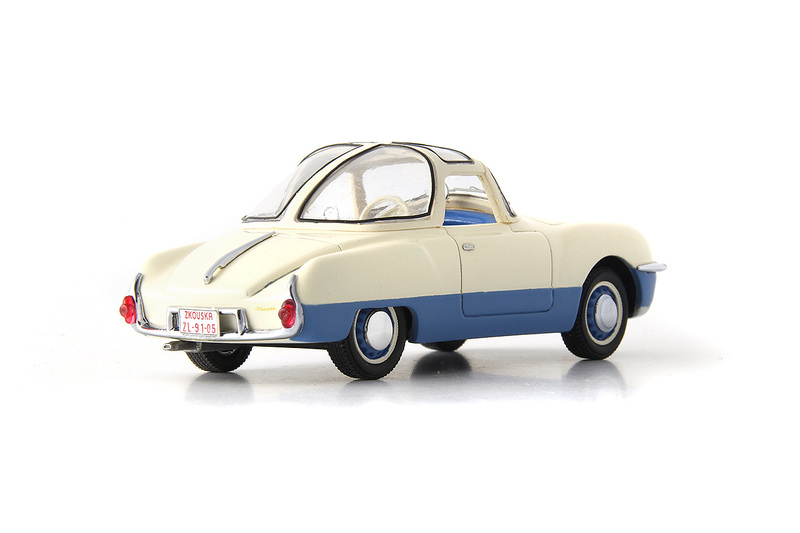 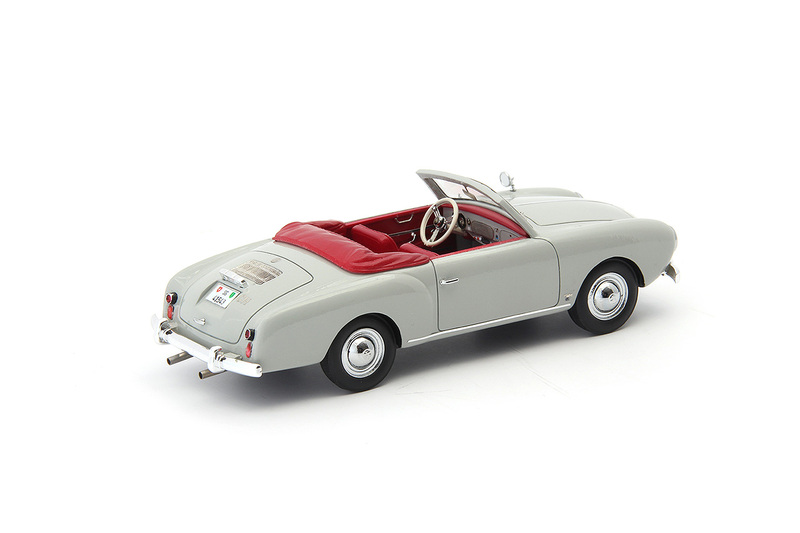 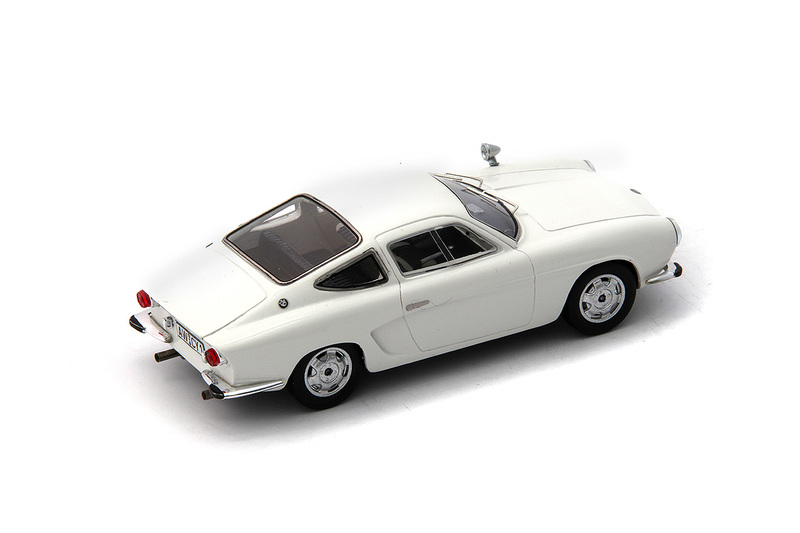 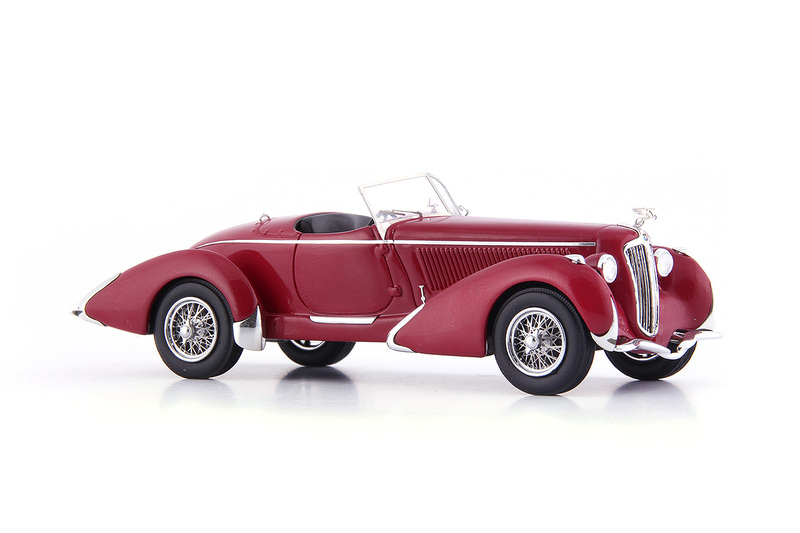 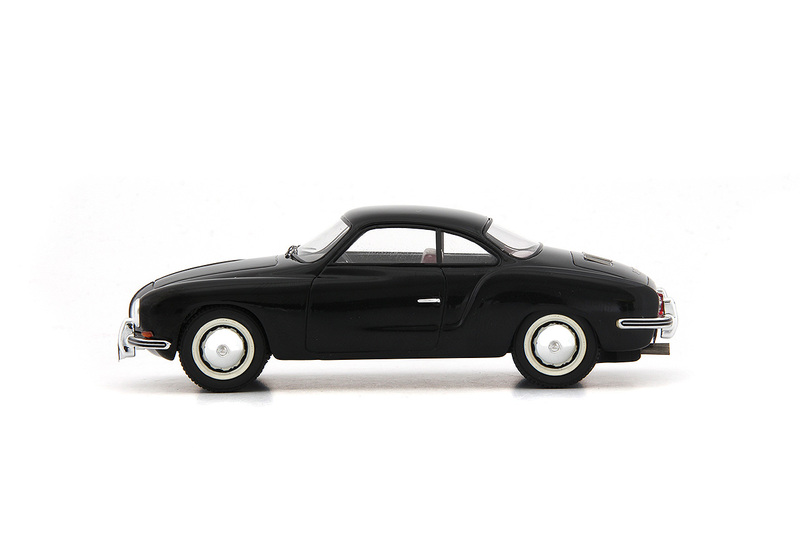 Autocult have announced a Porsche Teram Puntero in the “Past Brands” series, a Fiat 750MM Panoramica Zagato in the “Small Cars” series, the Walter Regent Sodomka in the “Streamliners” series and the Maybach SW42 from the “Prototypes” series. 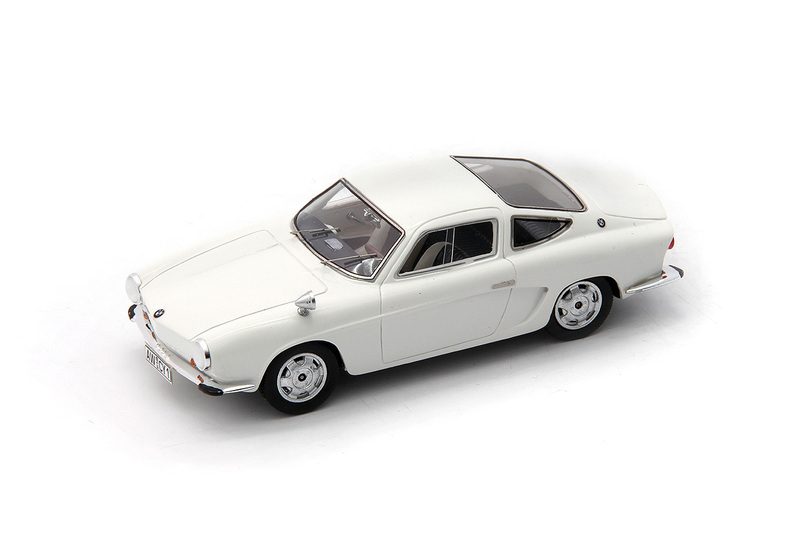 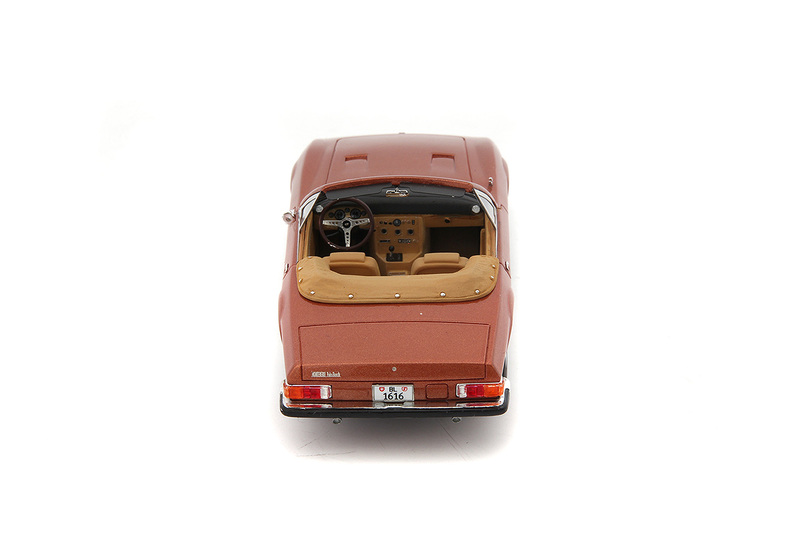 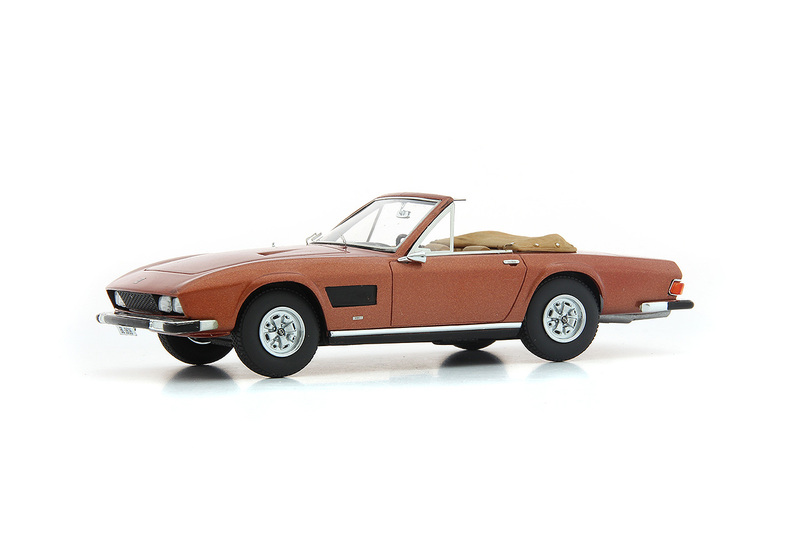 A new car appears in the Avenue43 range distributed by Autocult: BMW 700 Martini type 4. 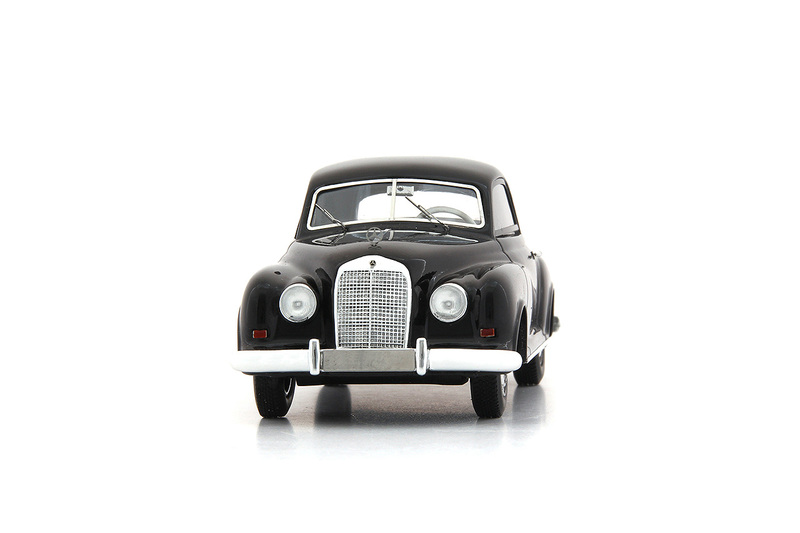 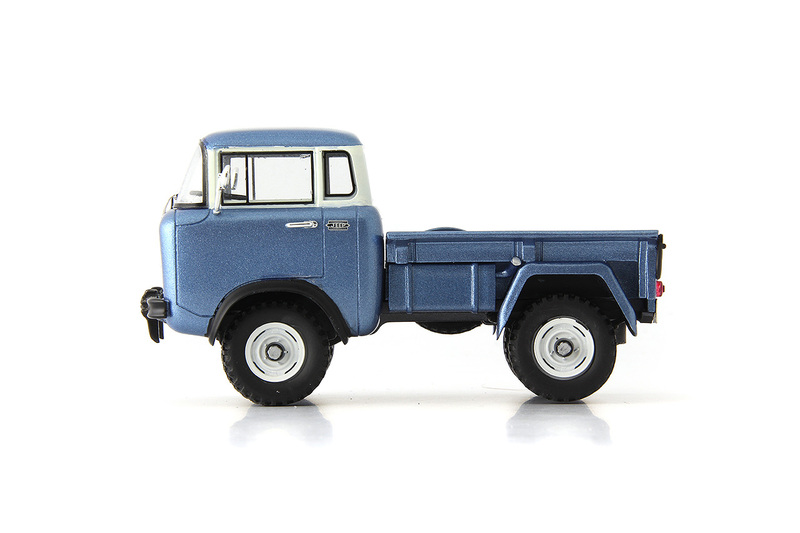 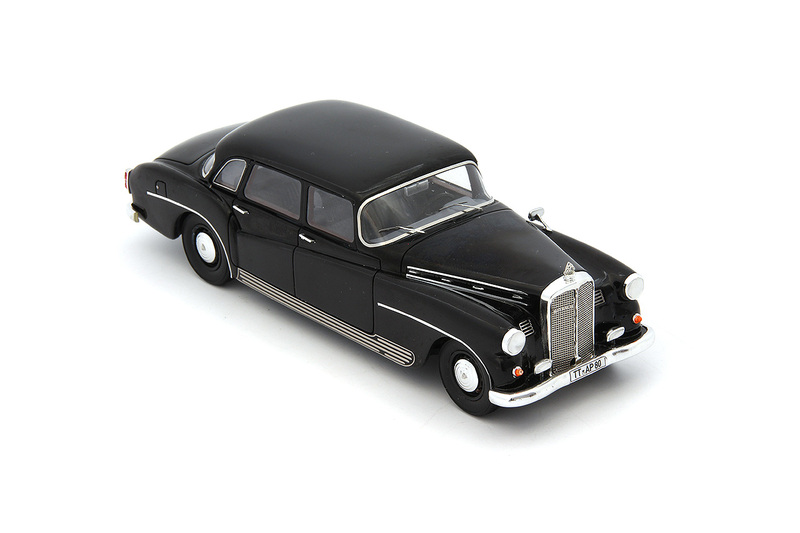 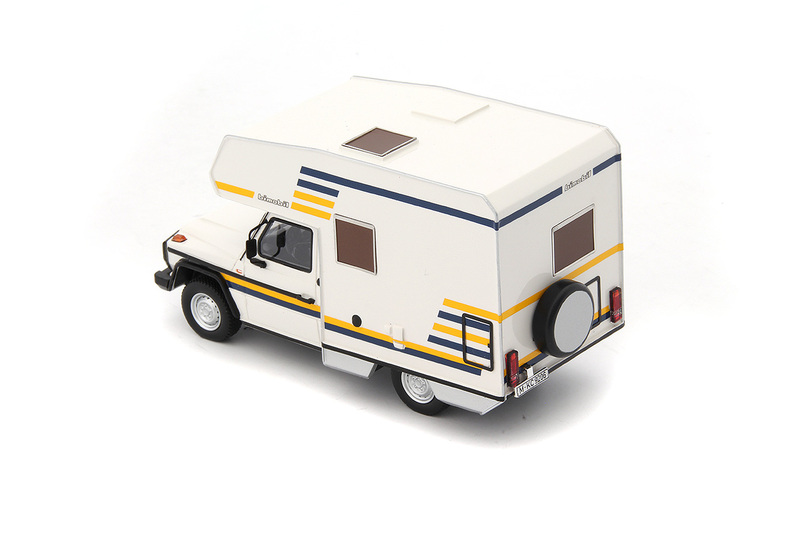 All models shown are 1:43 scale resin cast in China for Germany. 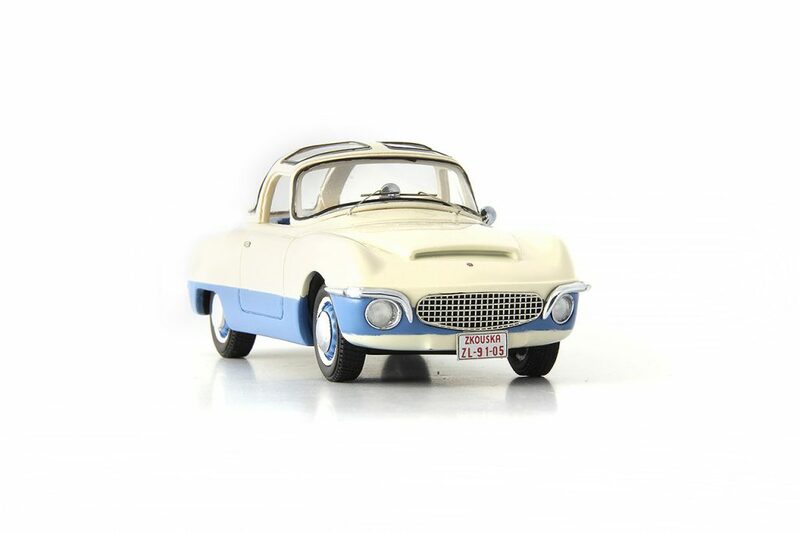 This Argentinian made car has an interesting history. 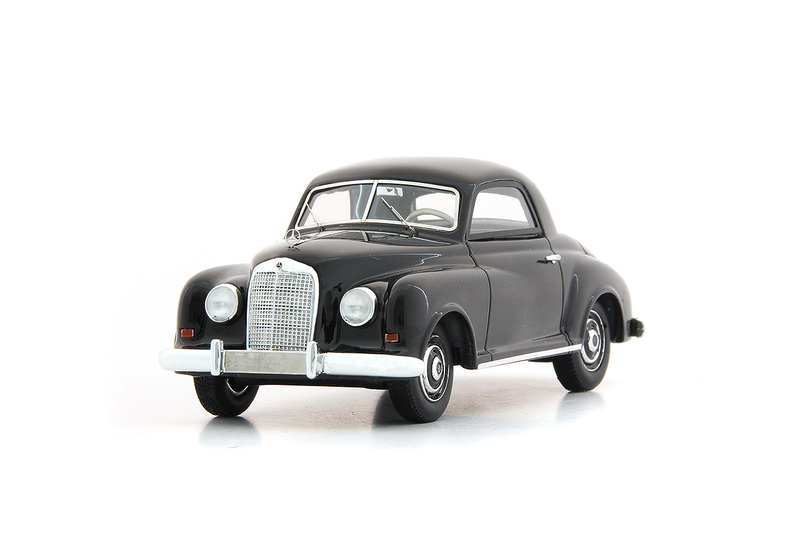 In the early 1950s the Argentinian Dictator Juan Perón created a state run engineering conglomerate to produce vehicles and aircraft. 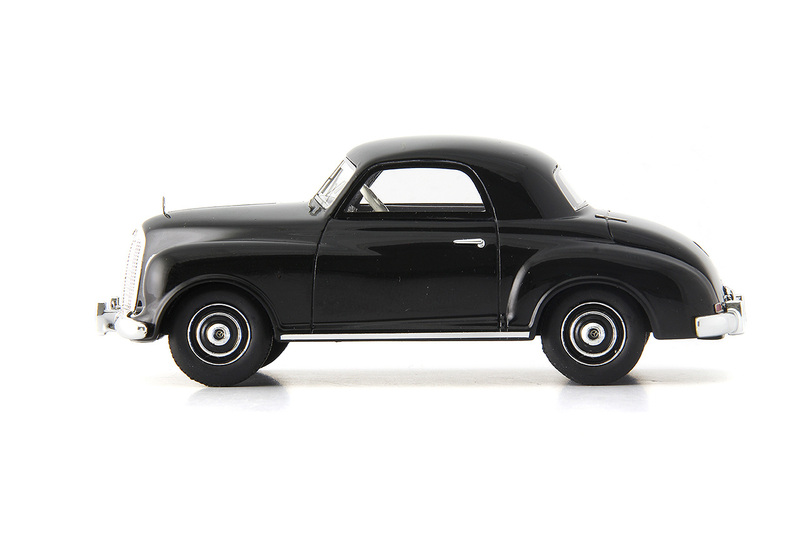 A car called the Justicialista was made but only 167 sold and it was an expensive flop and production was entirely abandoned by the mid 1950s when Perón was overthrown. 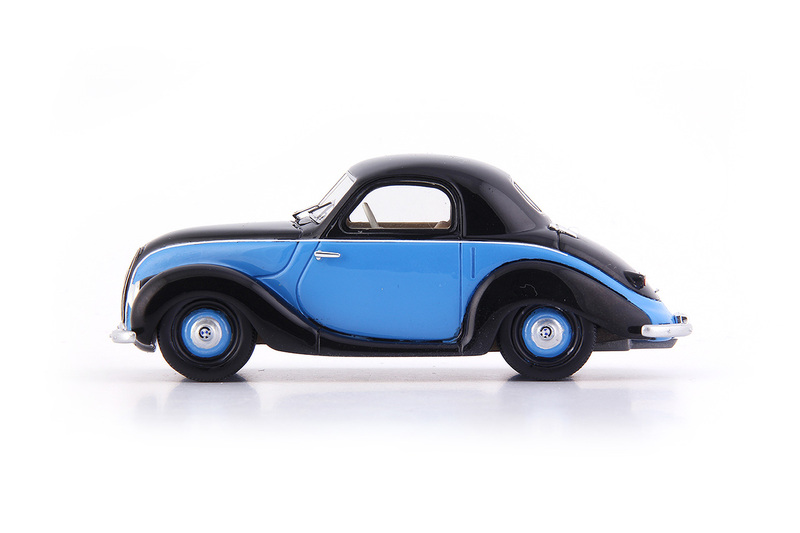 A small company Teram bought the factory, tools and parts and chassis for 144 cars. 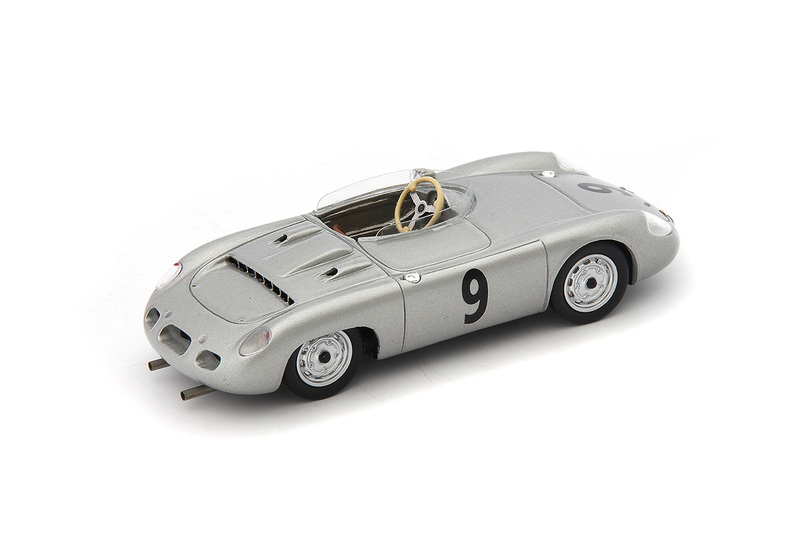 They produced an entirely different set of panels to cover the chassis and sourced engines from Porsche, the same engines used in the 356. 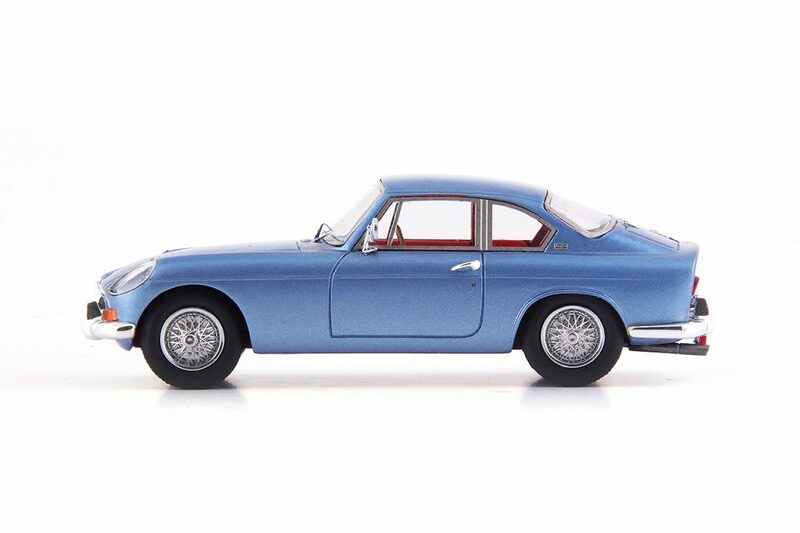 Sales began in 1958 and it took till 1963 to sell all 144 cars. 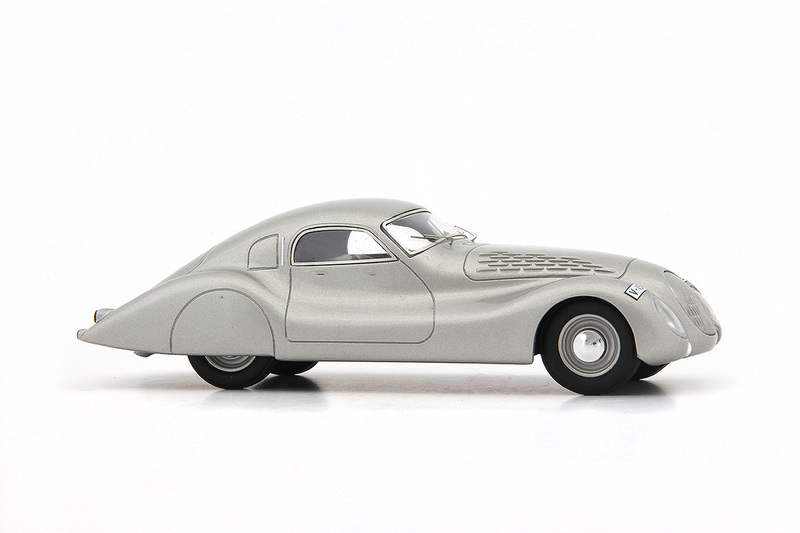 “Panoramica” was a concept pioneered by Ugo Zagato and the designers at Carrozzeria Ugo Zagato & Co. 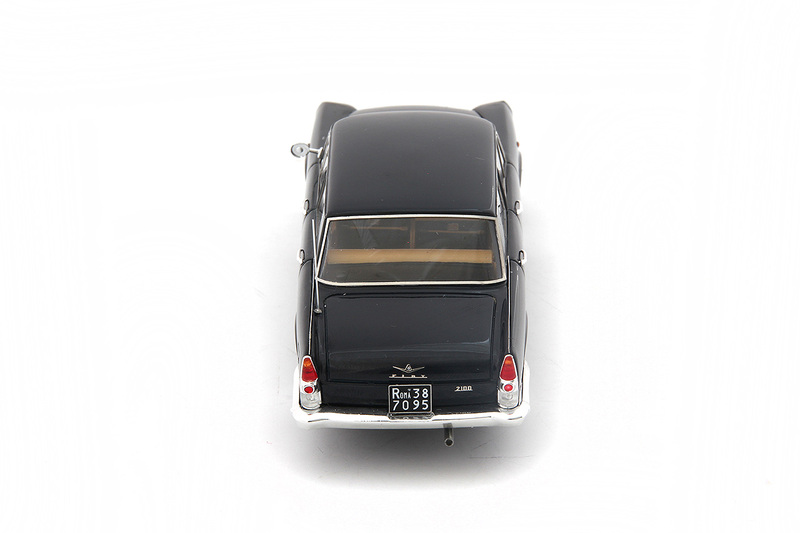 This involved larger side windows reaching up higher into the roof than had been previous practice and the front screen similarly extending higher into the roof. 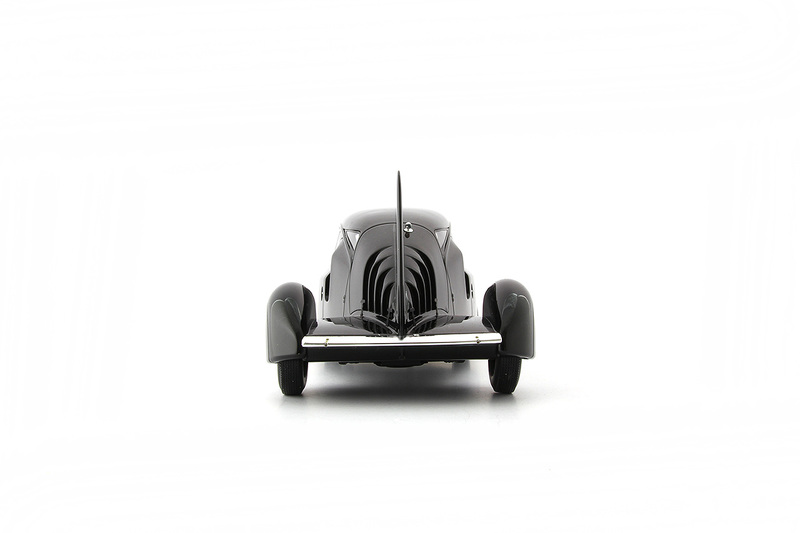 Zagato produced eight “Panoramica-concept” cars on the chassis of the Fiat Topolino. 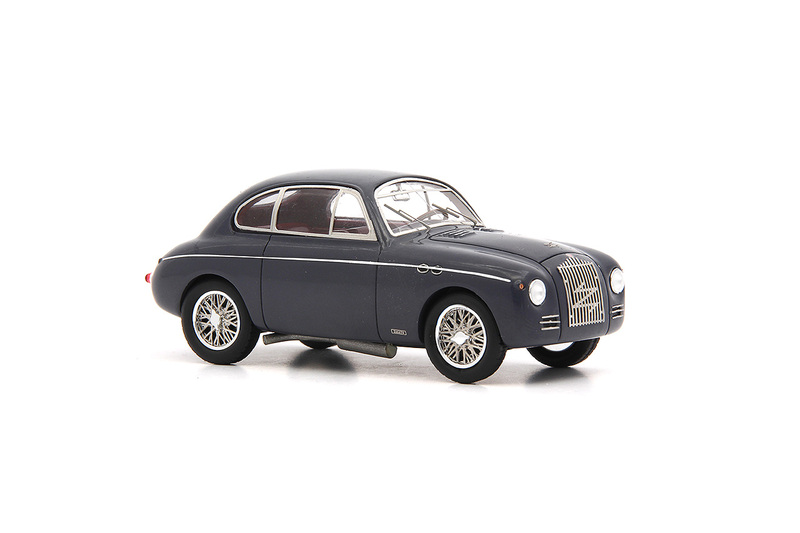 To prove its toughness the Fiat had to master harsh conditions and was registered for the famous rally Mille-Miglia in 1949. 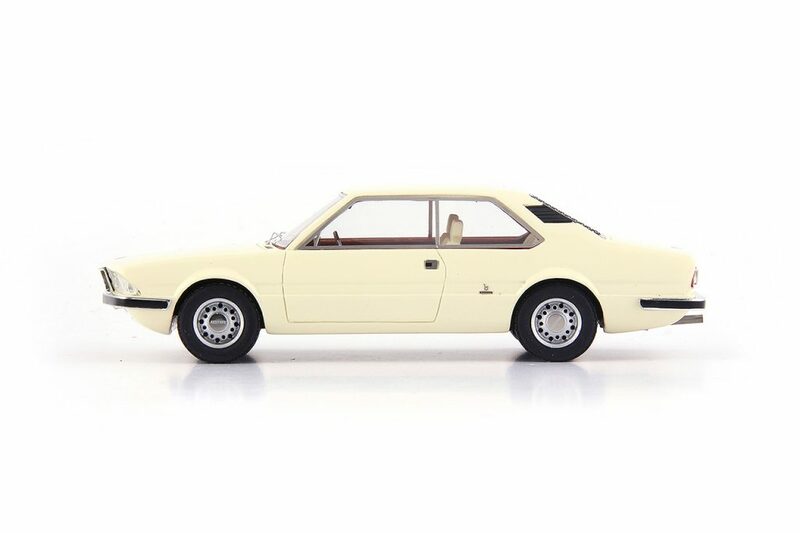 The tiny Fiat Zagato came fourth place in its class. 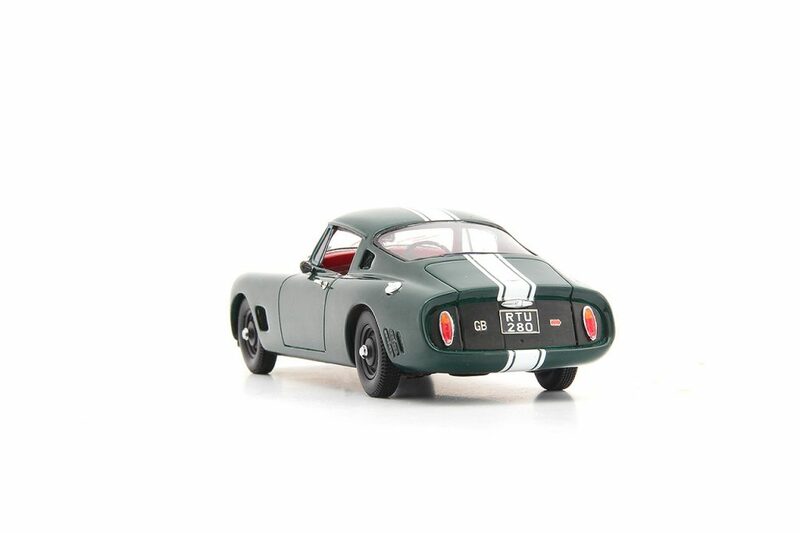 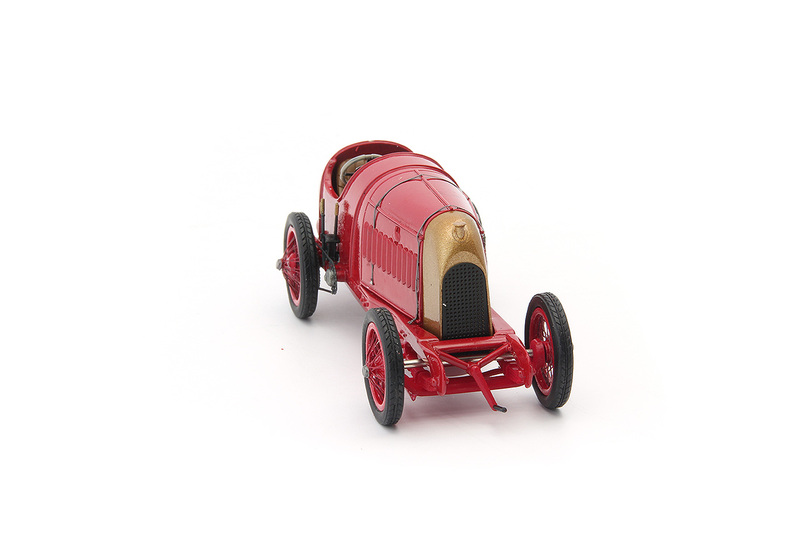 With this success Zagato added the letters “MM”, which was the acronym for Mille Miglia, to the type designation. 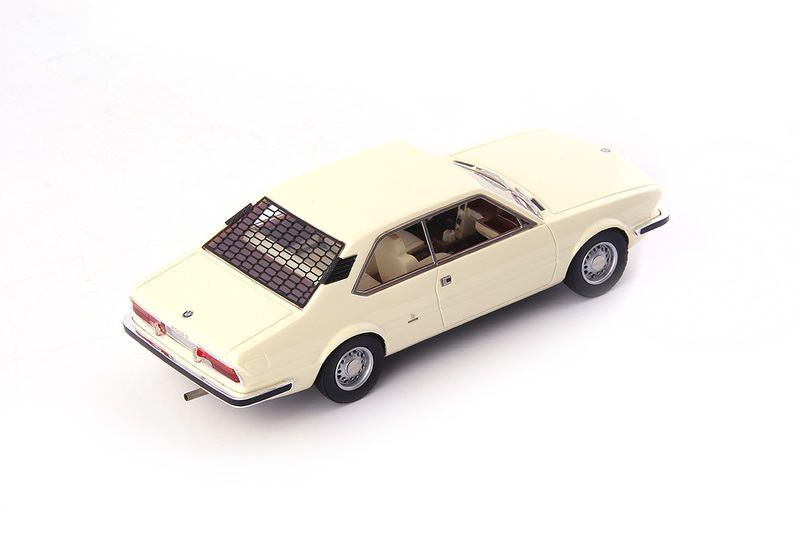 Sadly this car never went into series production and of the eight cars built only one survives. 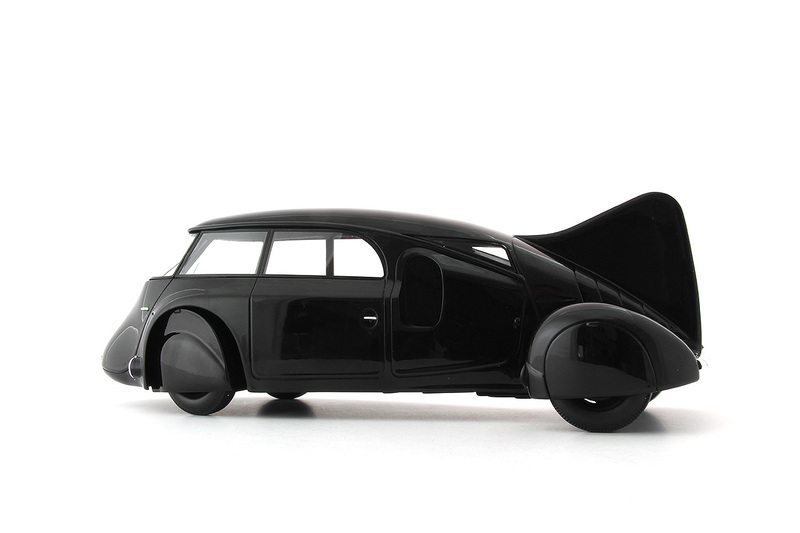 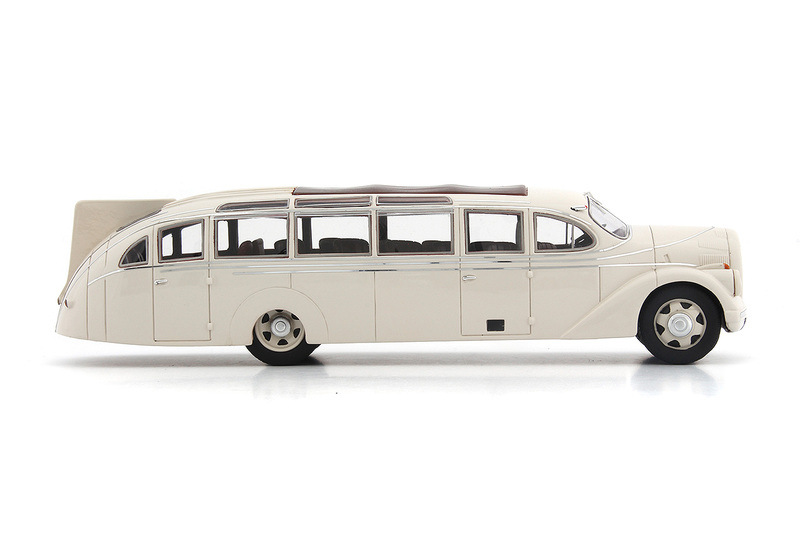 Walter was a Czech car maker famous for large limousines from the late 1920s onwards. 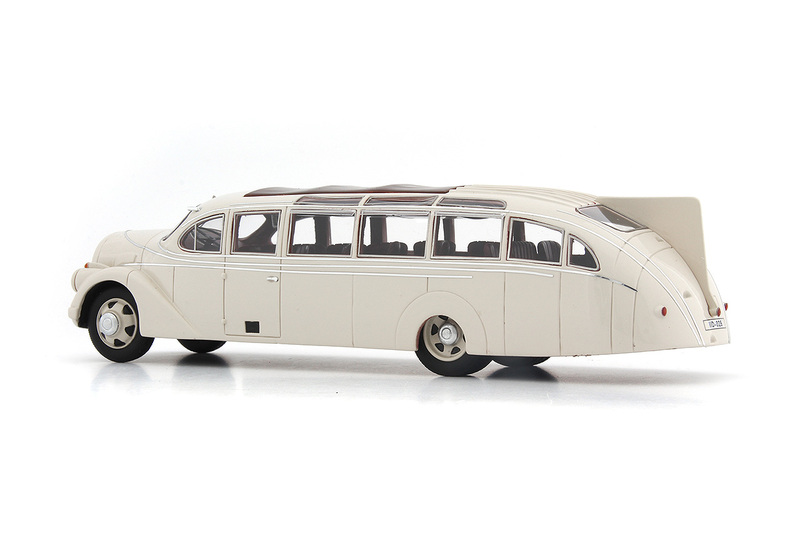 The Regent succeeded the Super 6 and used its 6 cylinder overhead valve engine. 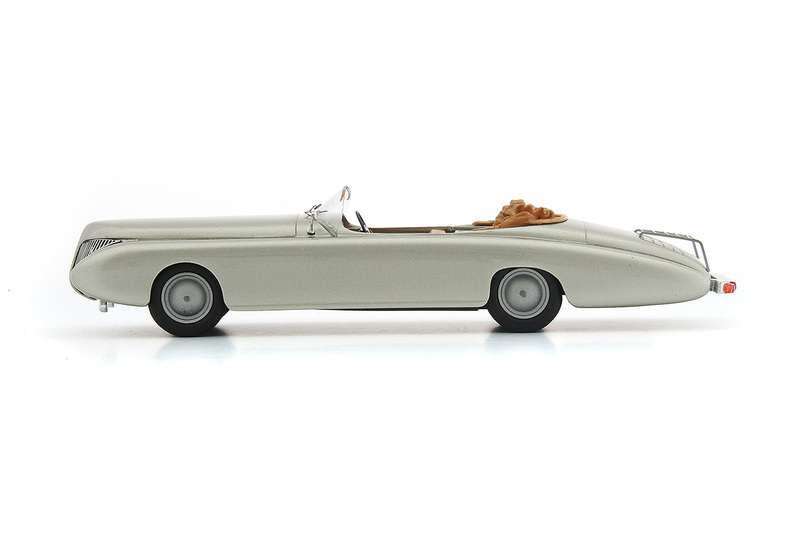 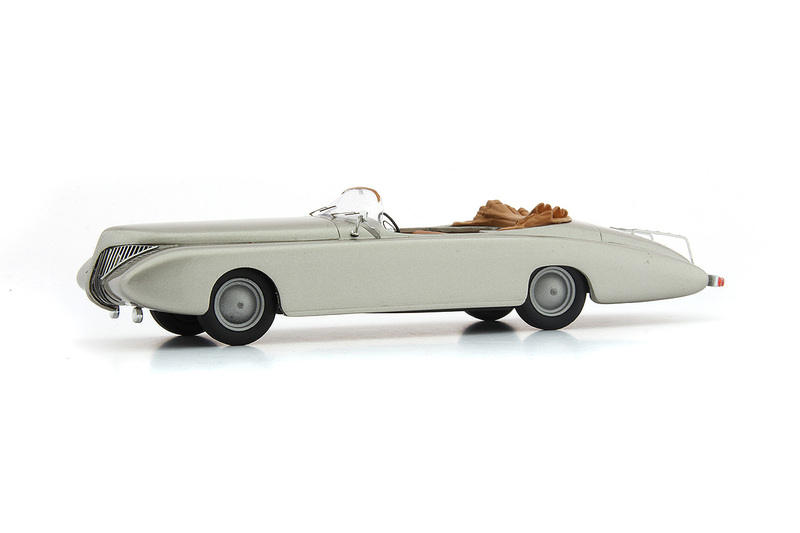 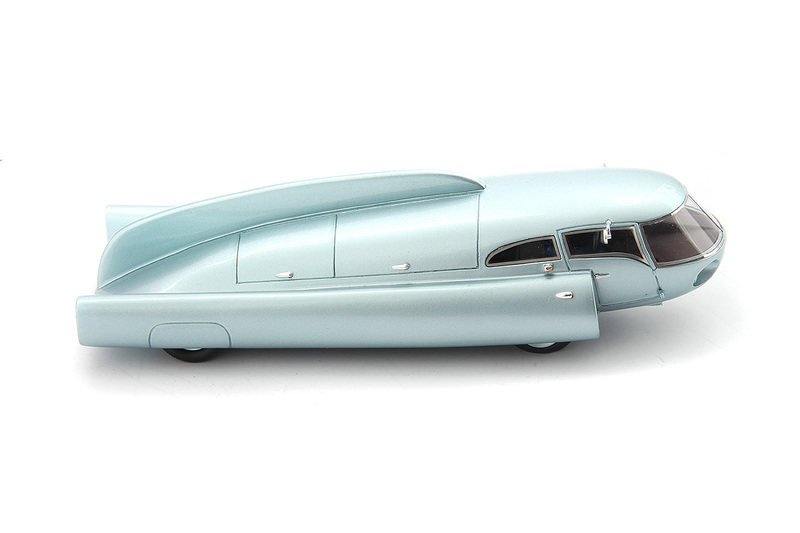 The Regent had a body made for it by Carrosserie Sodomka. 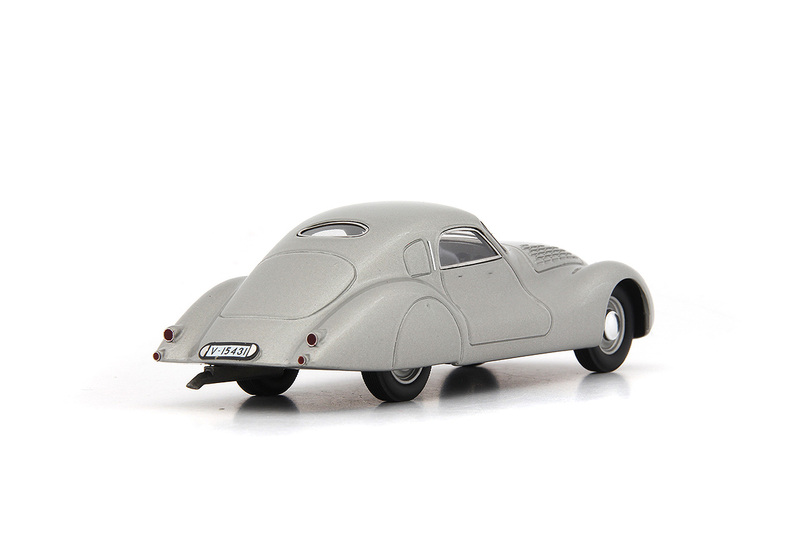 This body was streamlined with covered rear wheels, a front end designed to split the airflow and curved to smooth its flow. 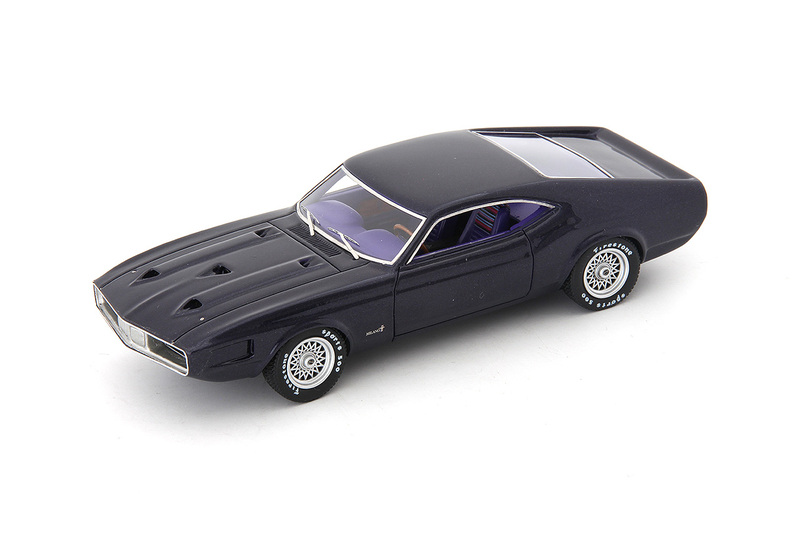 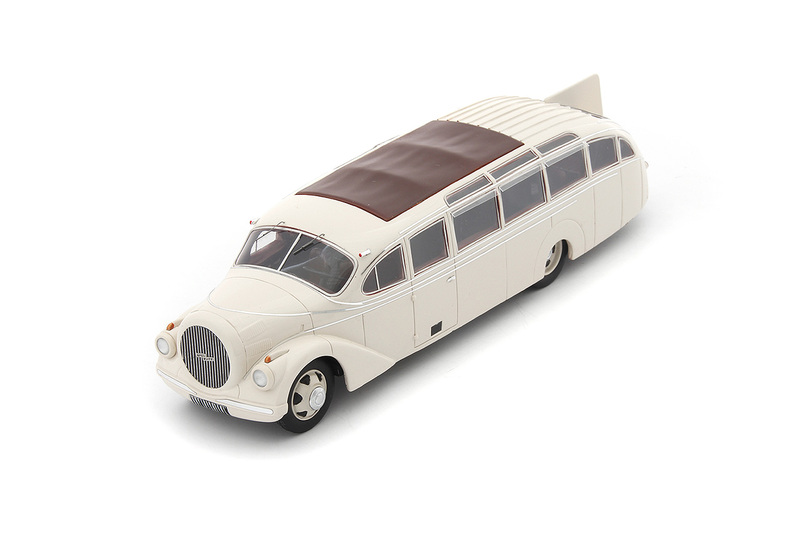 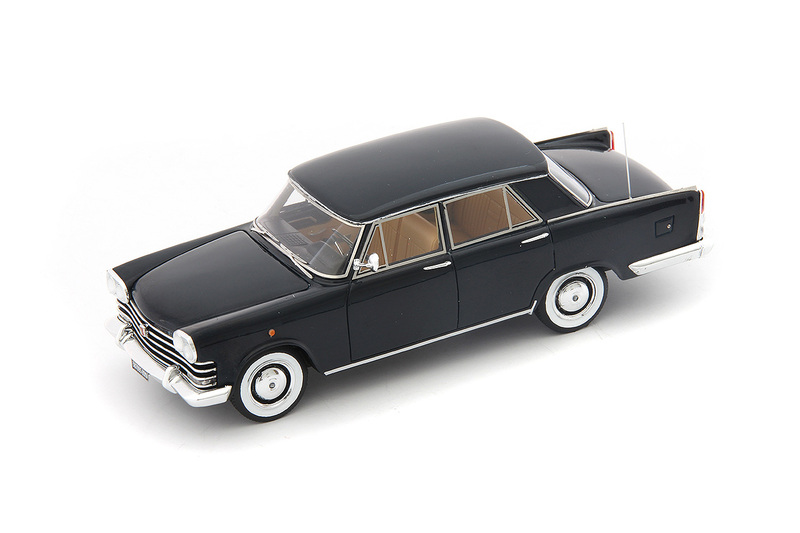 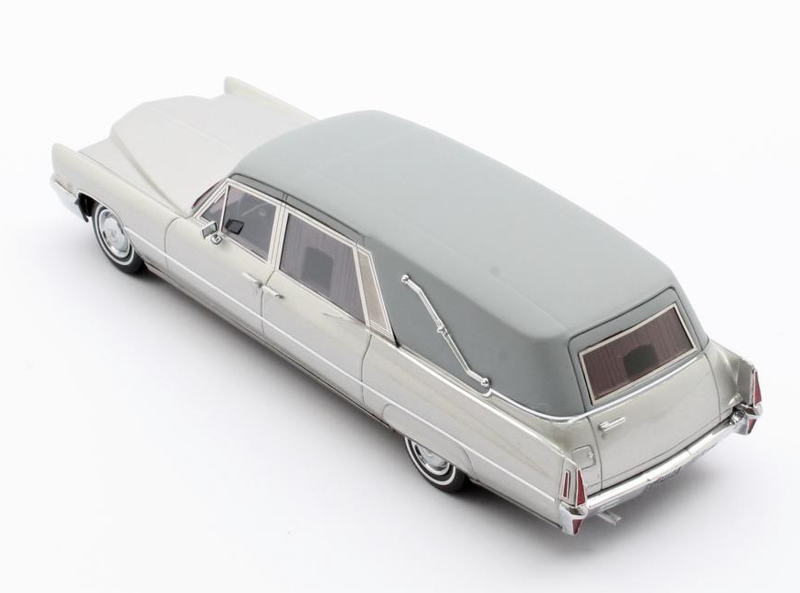 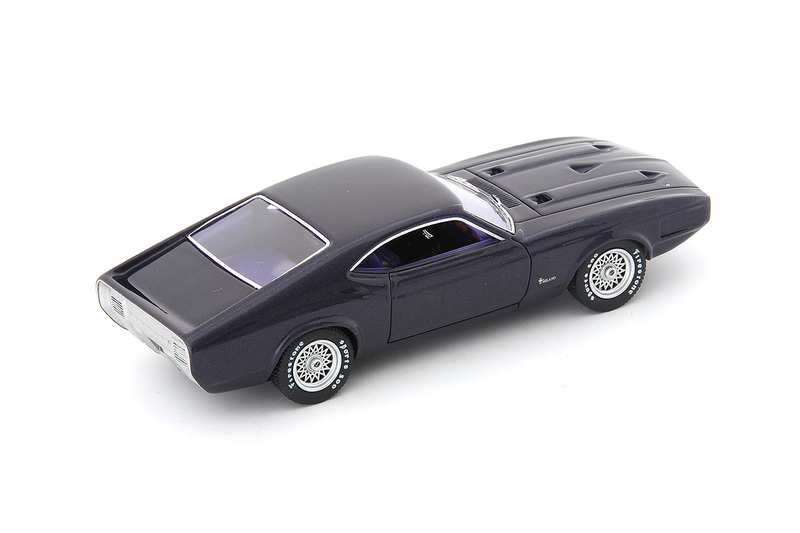 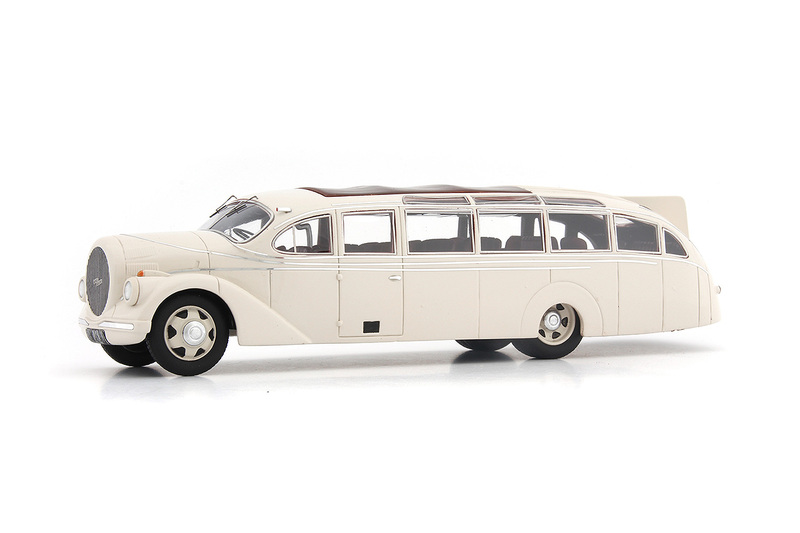 The closed limousine version has no B pillar and this gives the impression of one long glassed side which is captured well in the model. 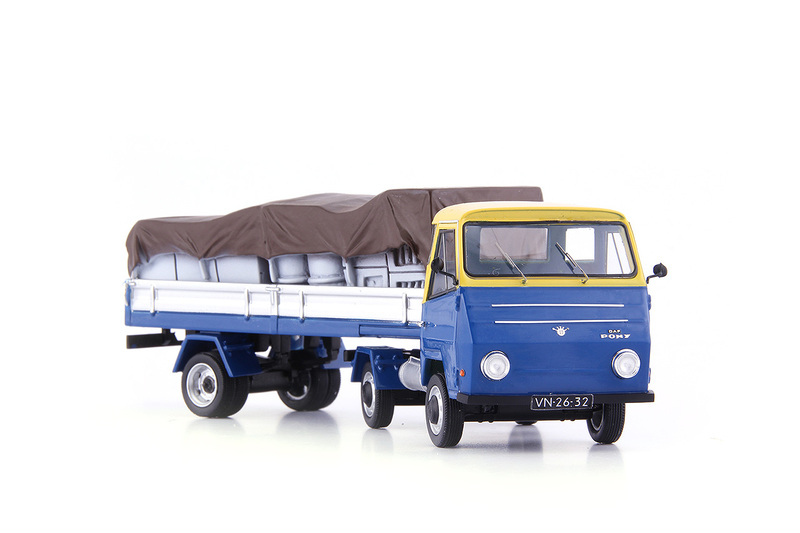 The bare chassis with drive train was offered for drivers who didn’t like the Sodomka styling. 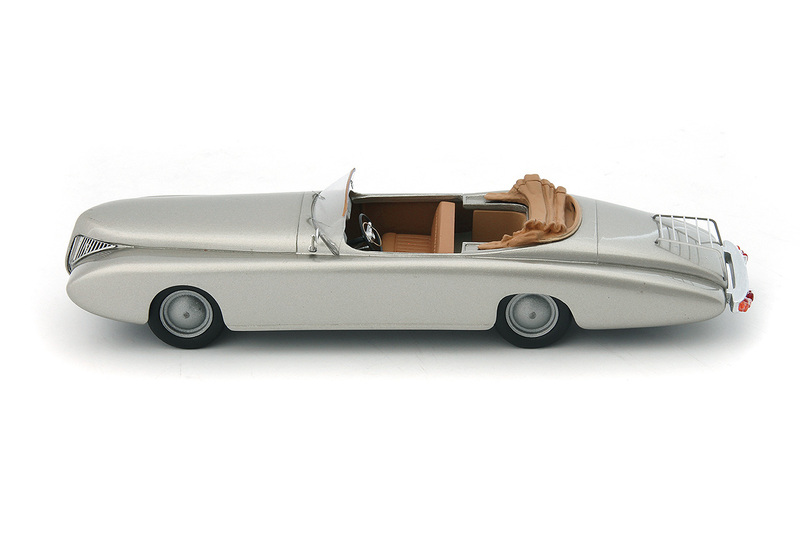 The Regent was sold for five years and only a few dozen were made. 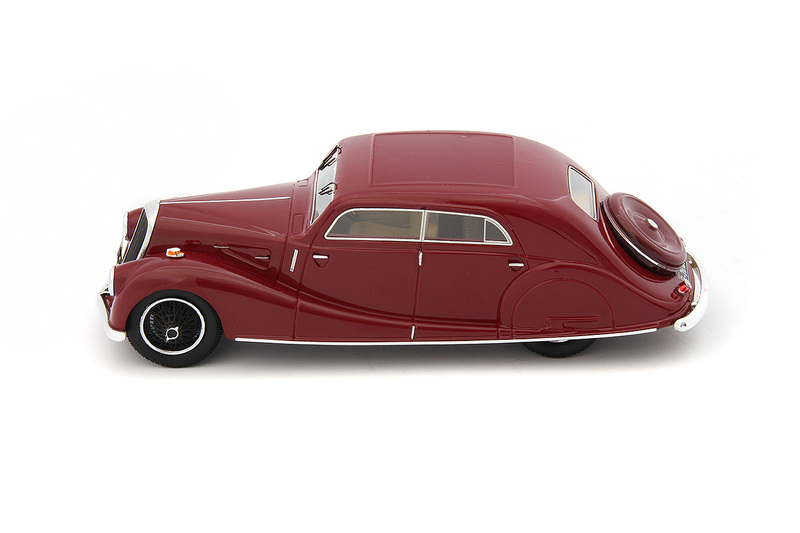 Maybach had been a maker of luxury cars in the 1930s favoured by the rich and famous. 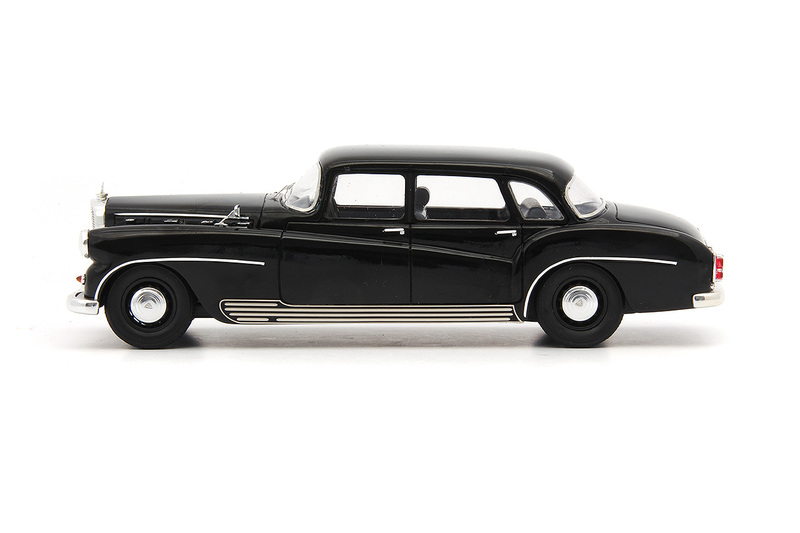 Production of passenger cars was ceased in 1941 and not restarted at the end of the Second World War. 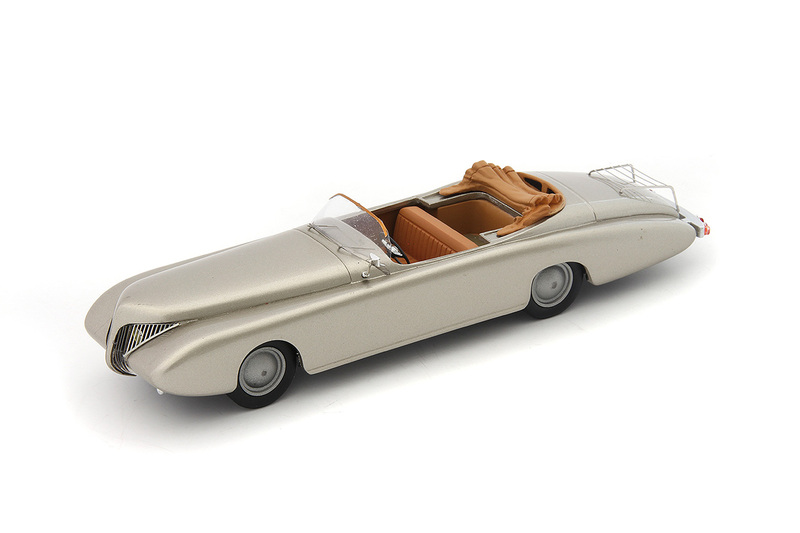 In 1956 Karl Maybach, son of the company’s founder, had an urge to drive a specially bodied Maybach. 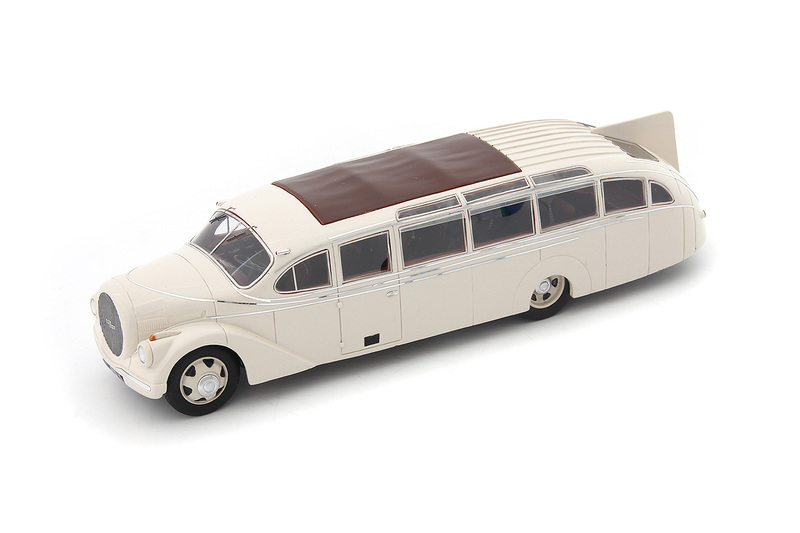 A Type 42 SW model from 1937 was chosen as the chassis and a modern body built to clothe it by the coachbuilder Spohn. 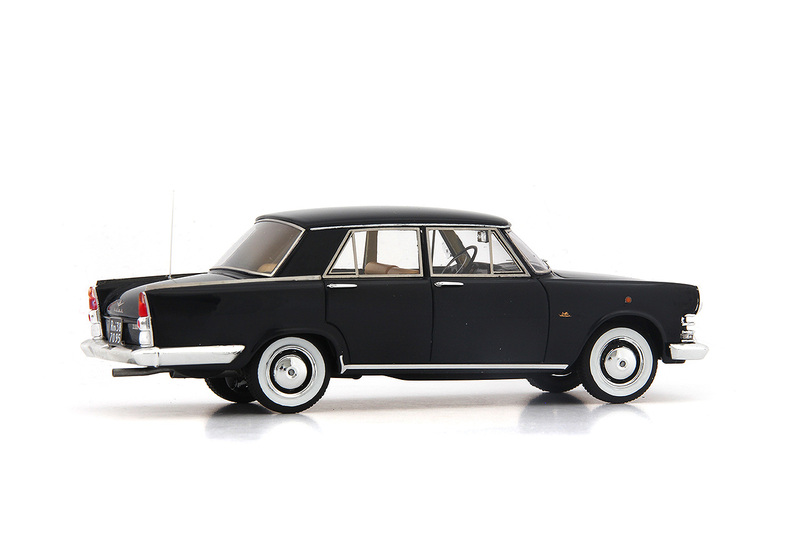 The BMW 700 was a considerable success and kept BMW alive at a time when its large limousines no longer sold enough to keep the company afloat. 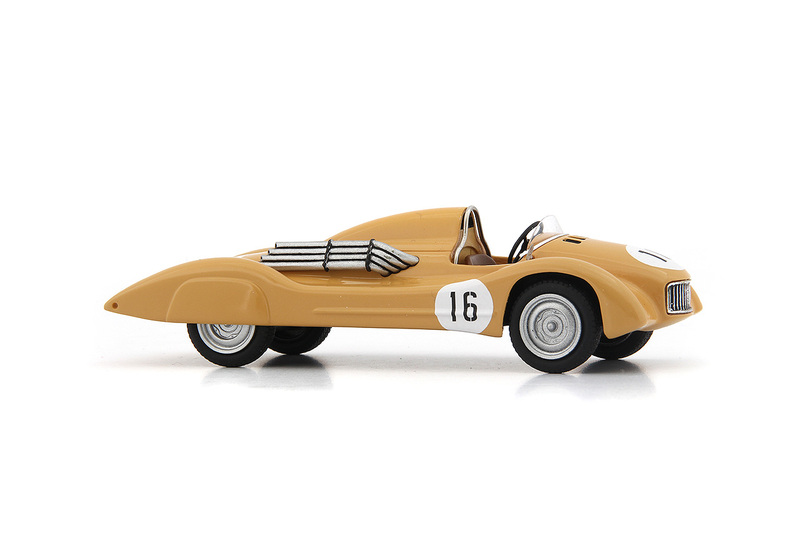 Willi Martini prepared racing cars based on the BMW 700 with a glass fibre body creating an attractive coupé. 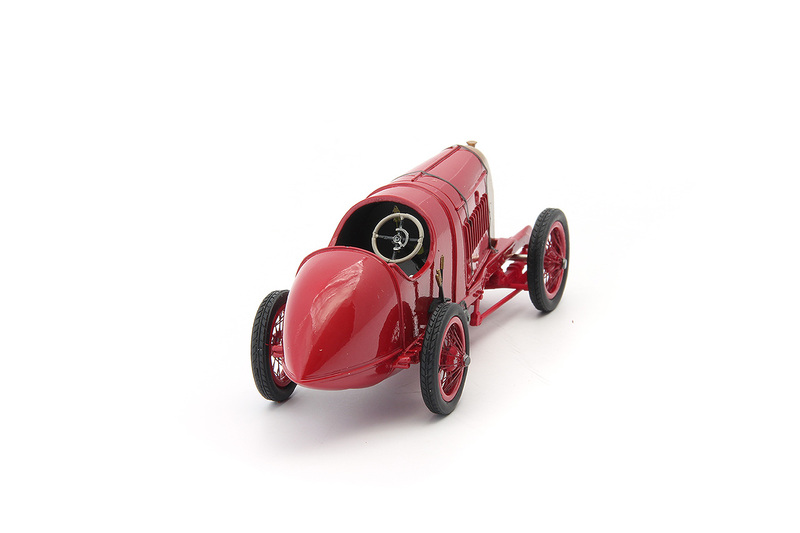 This was successful in its class in touring car racing and was also sold to private buyers. 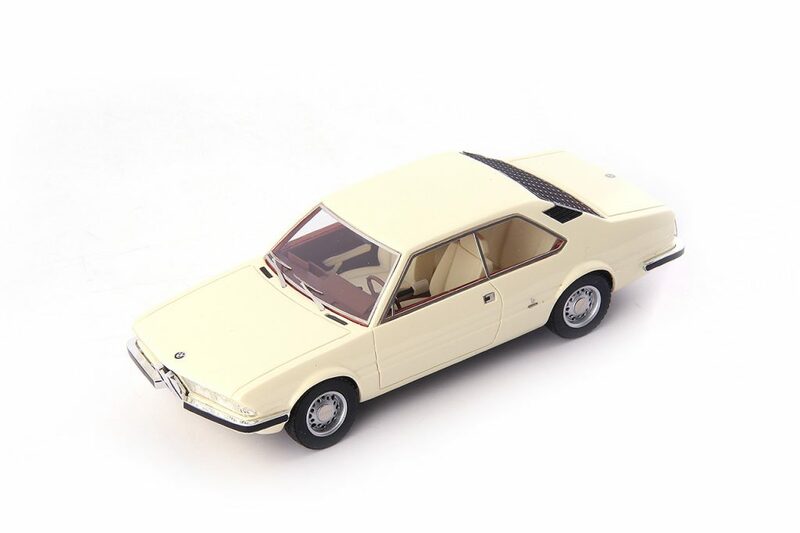 Styling was then updated and magazines road tested it but it did not go into series production and in 1965 BMW ceased production of the 700 and Willi Martini moved on to tuning other vehicles. 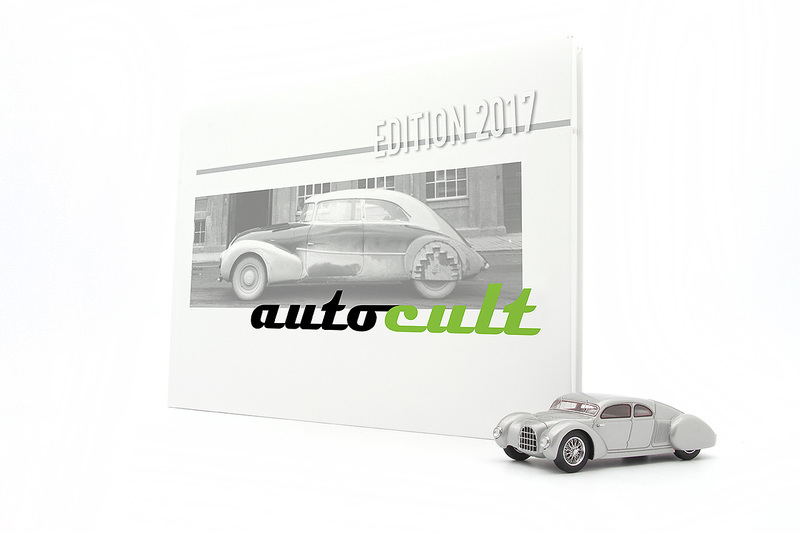 All photographs supplied by Auto Cult. 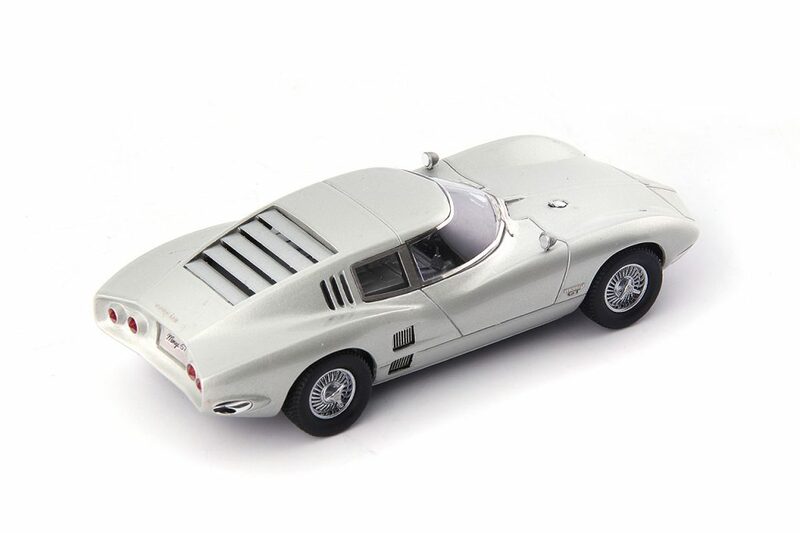 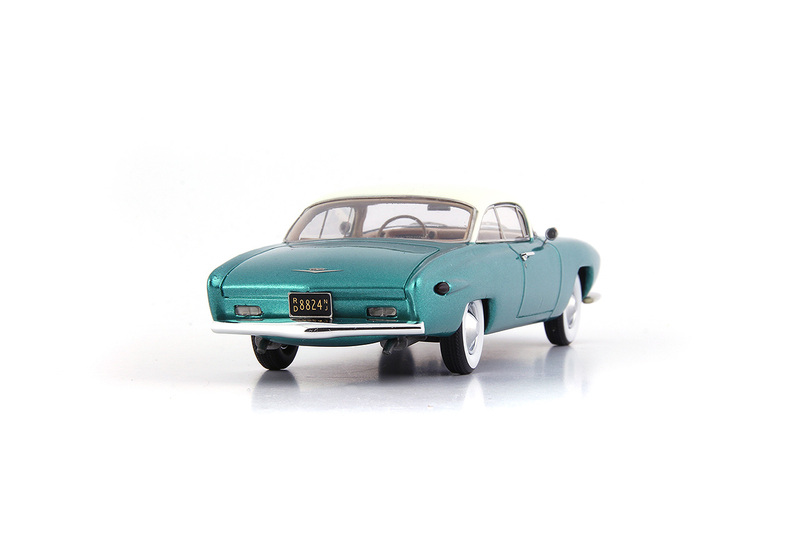 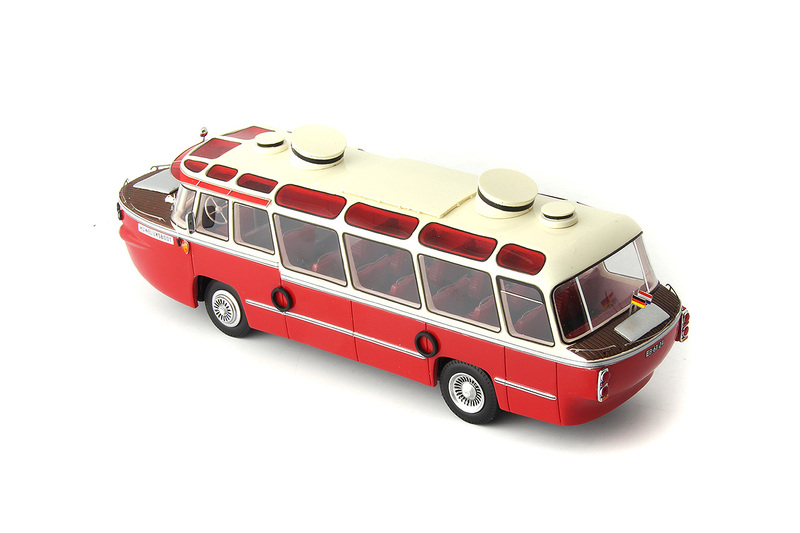 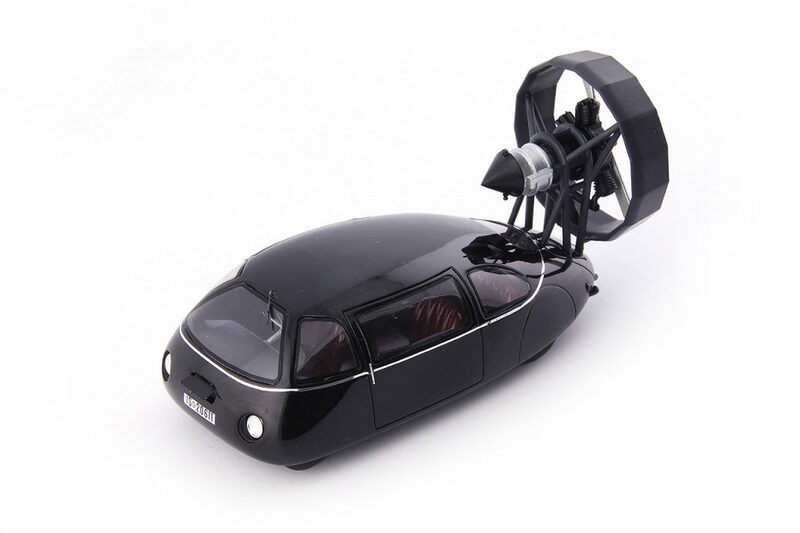 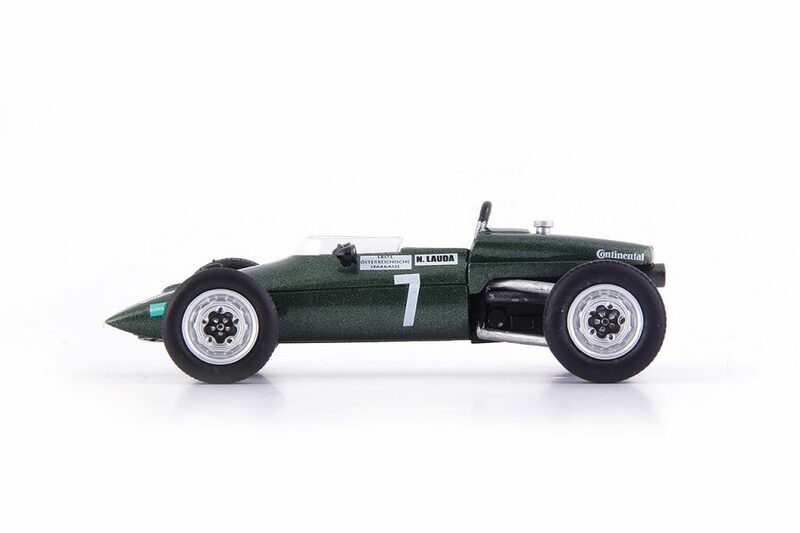 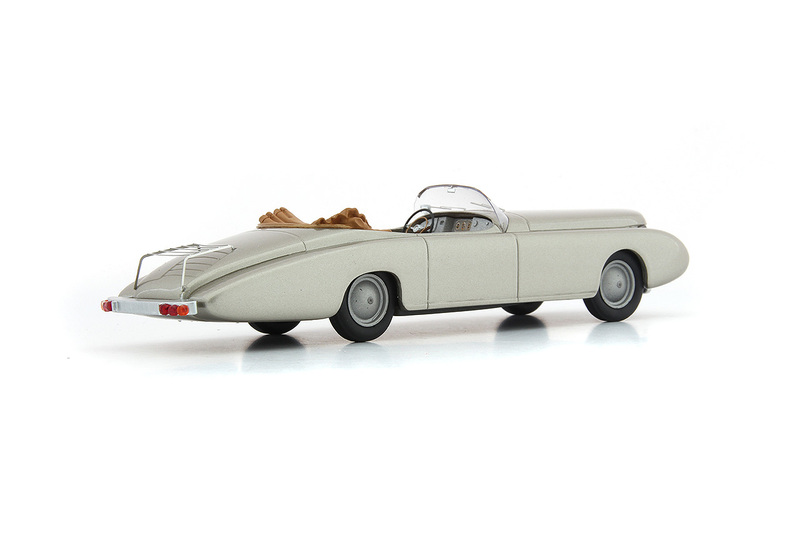 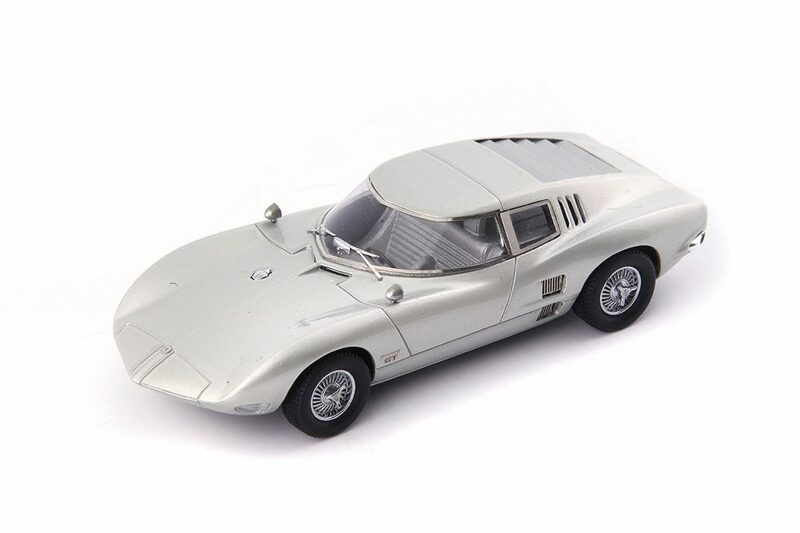 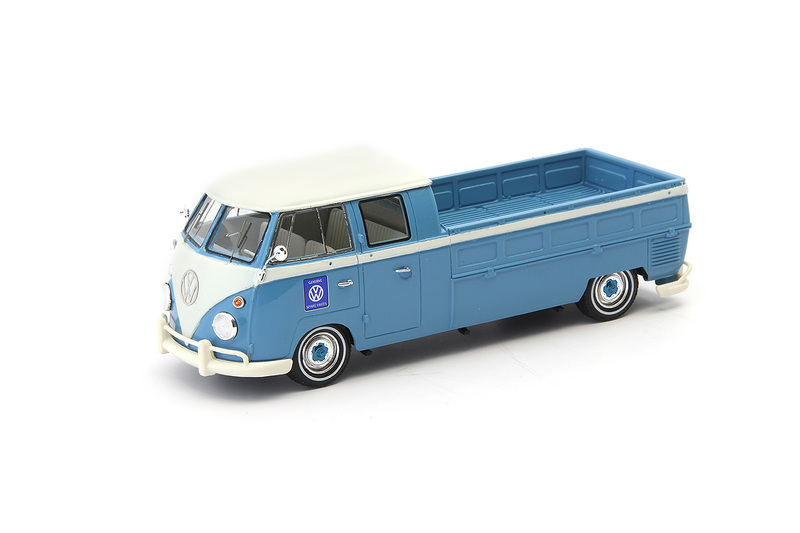 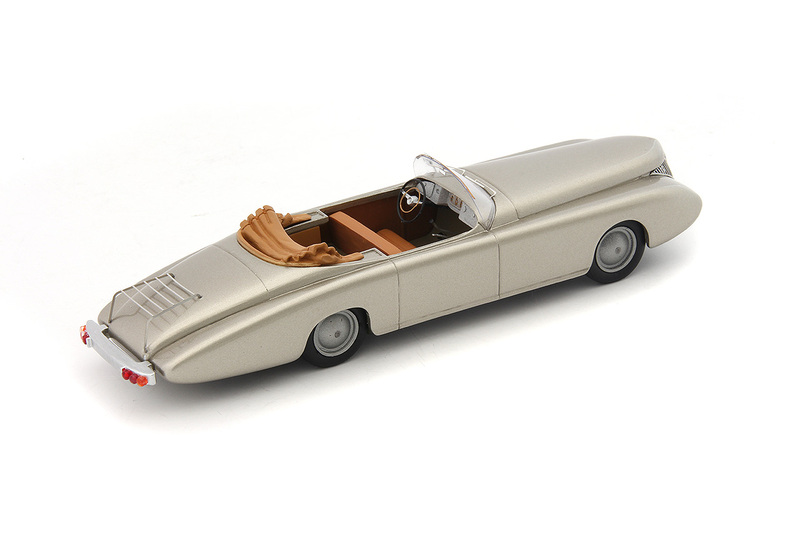 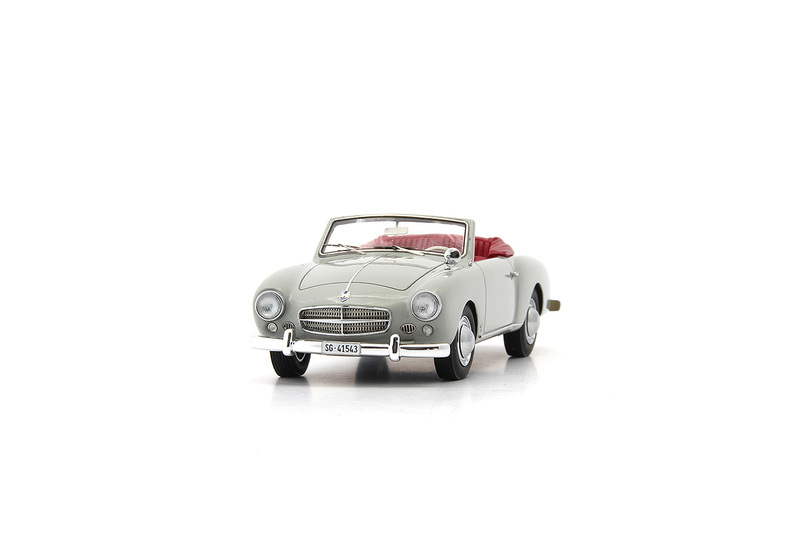 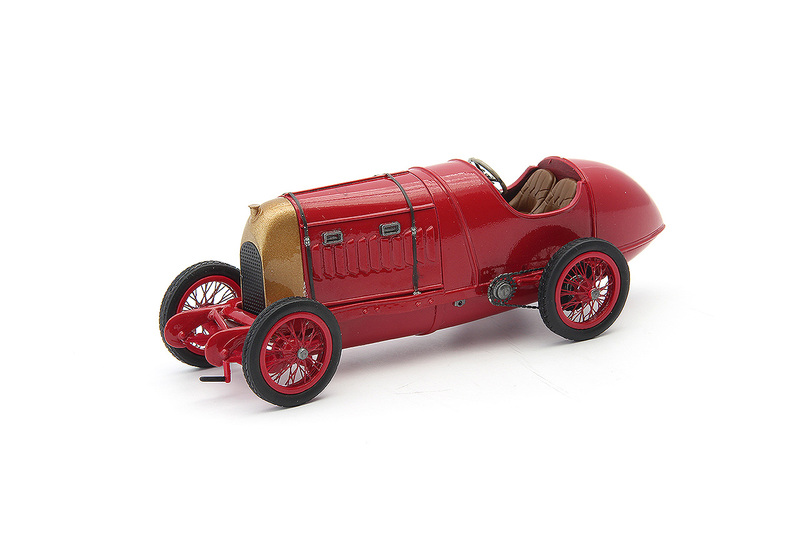 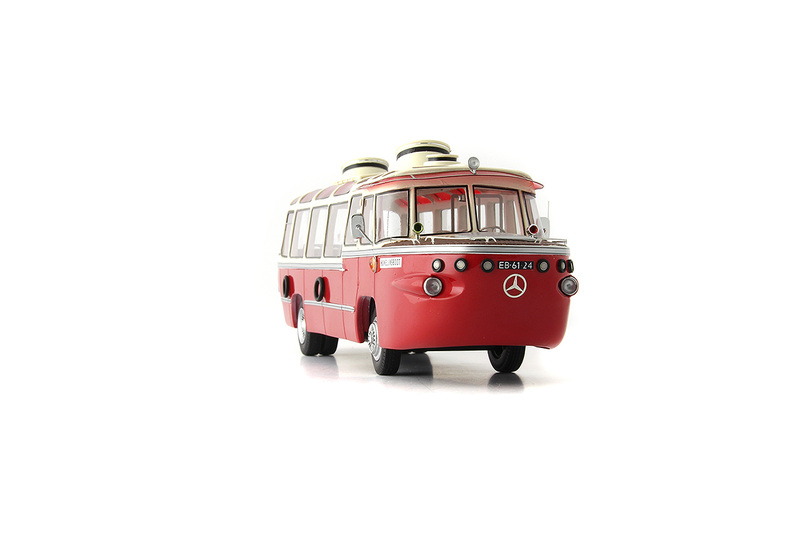 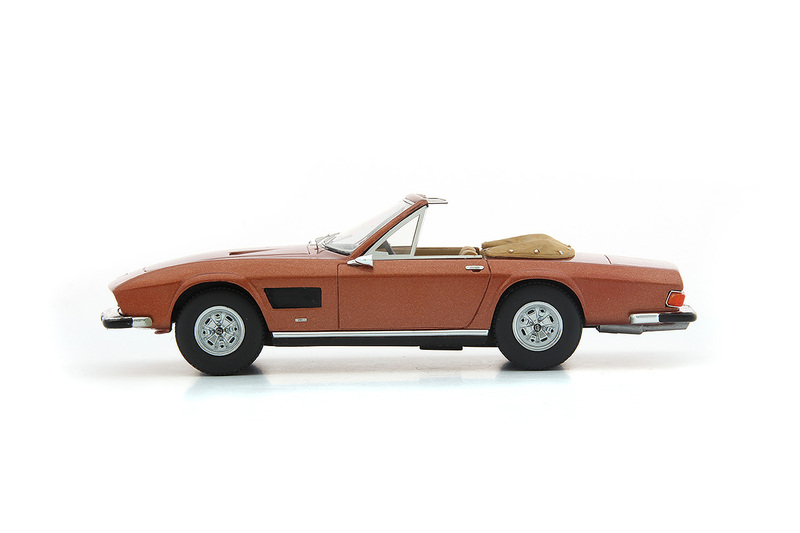 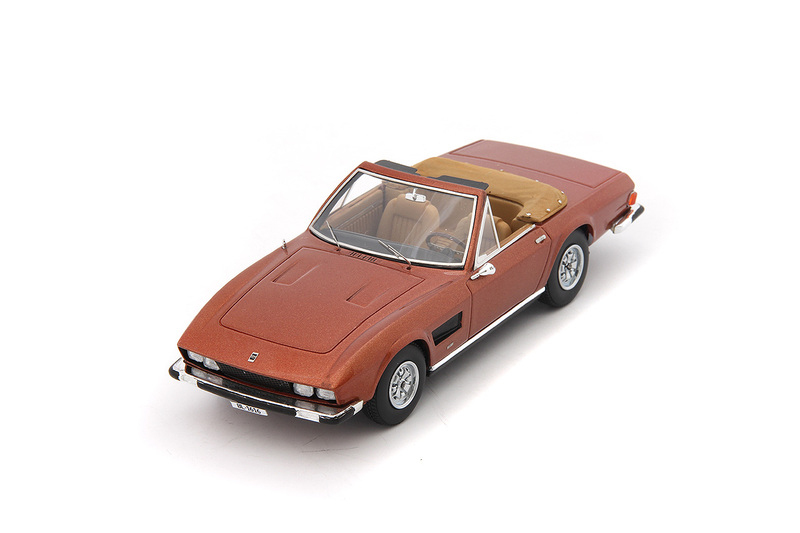 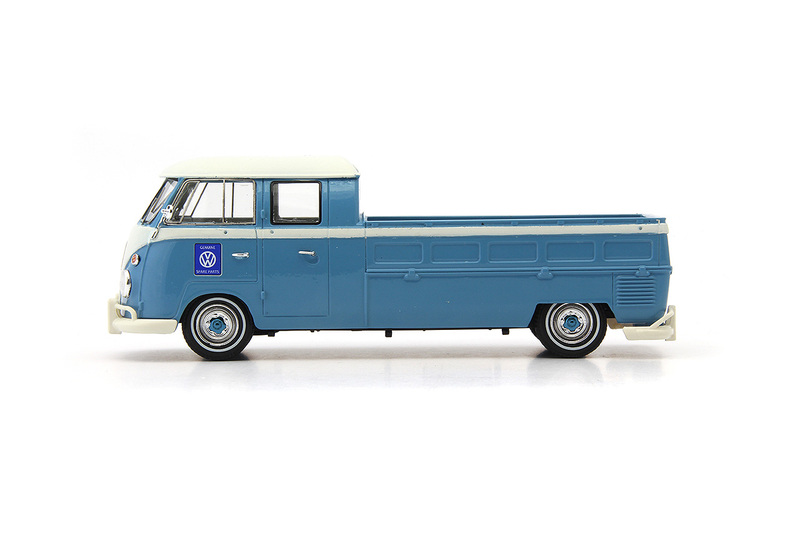 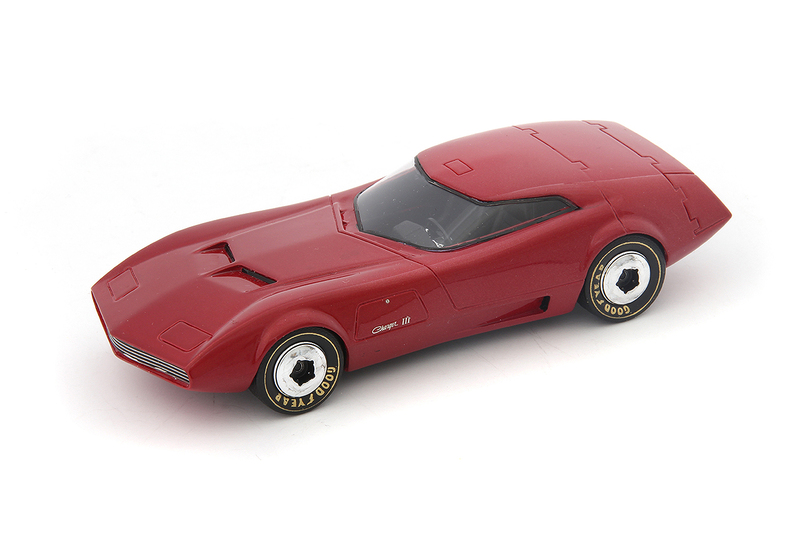 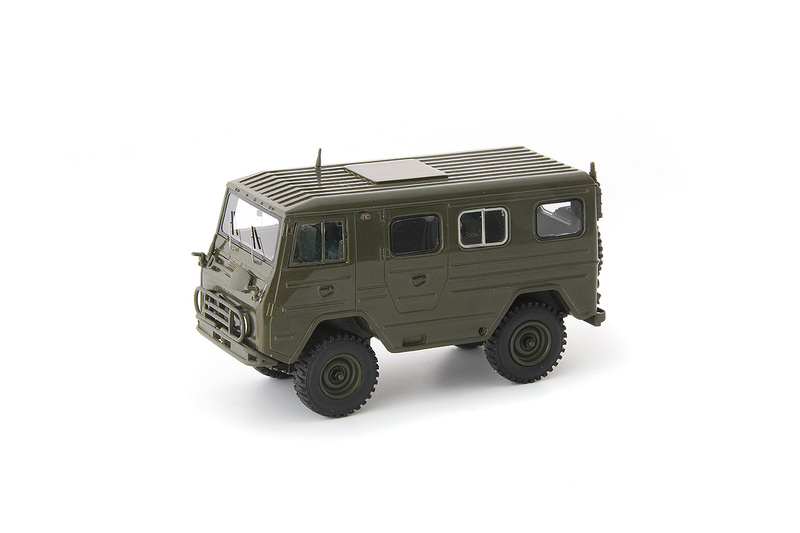 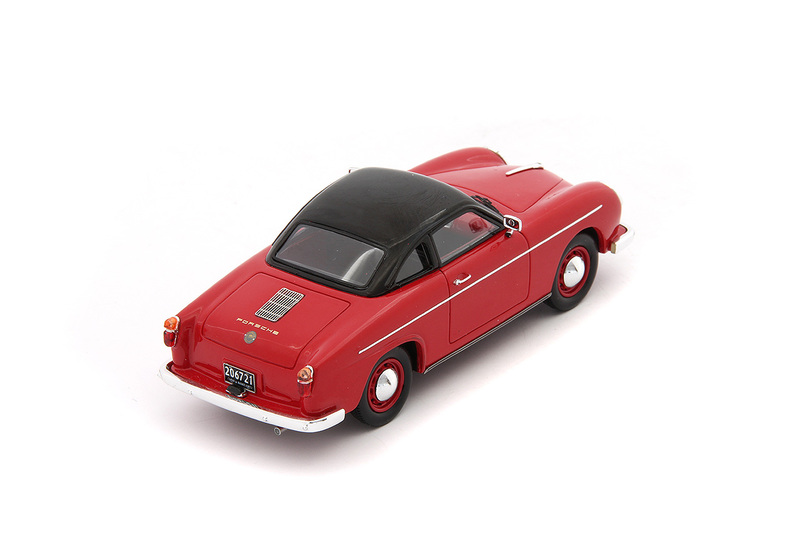 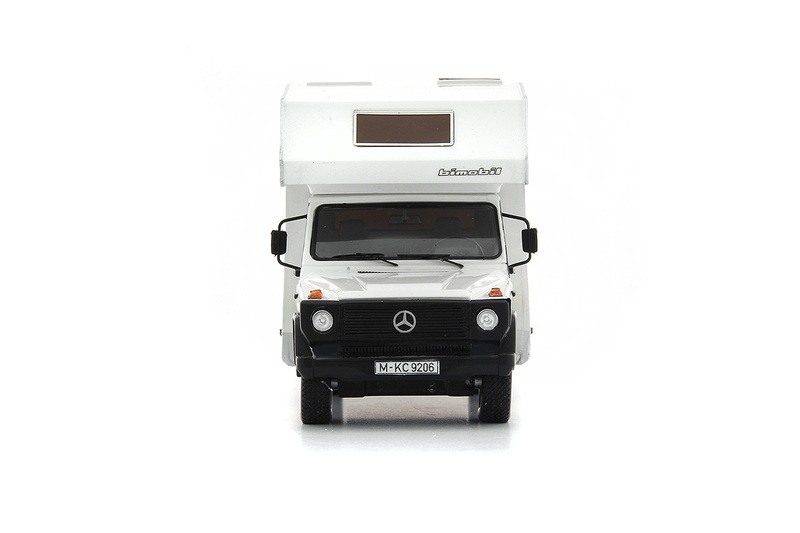 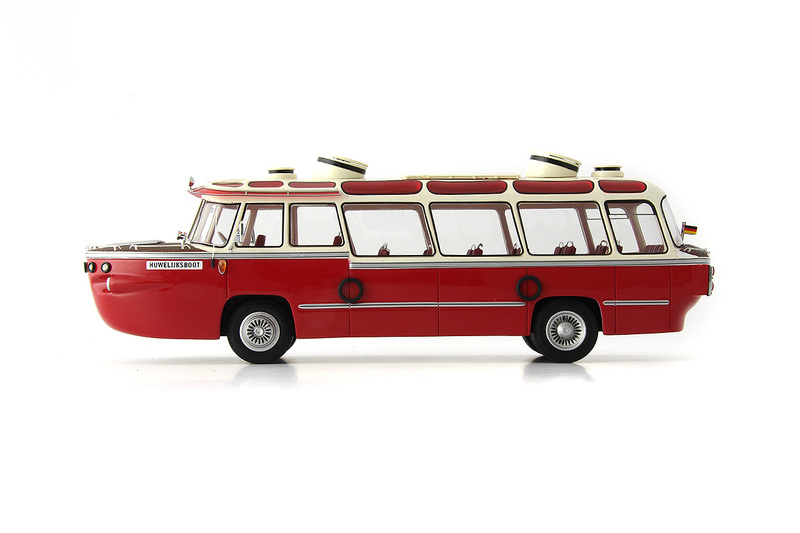 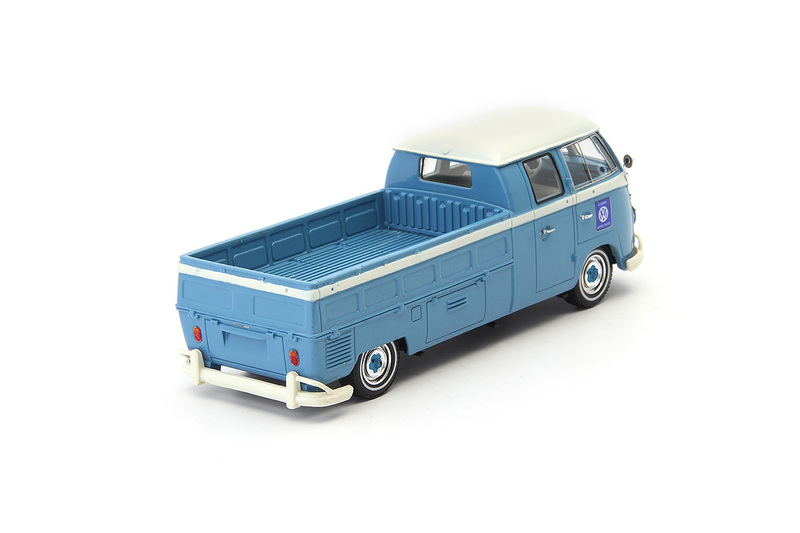 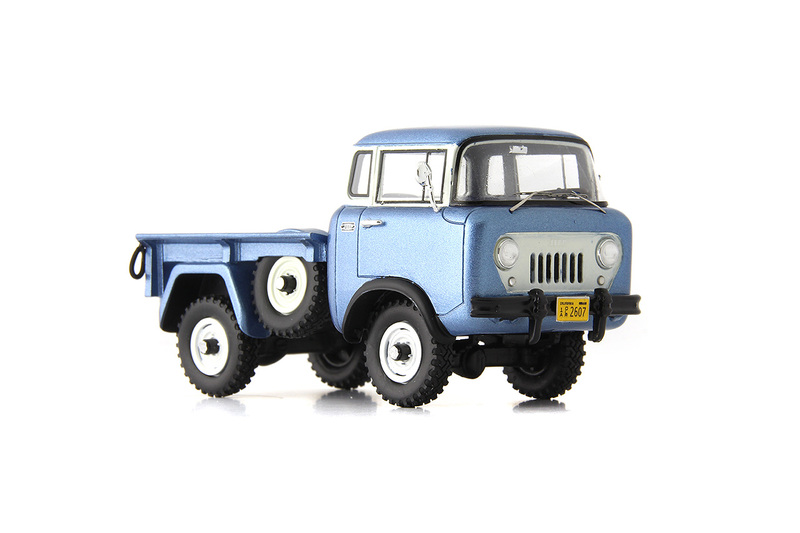 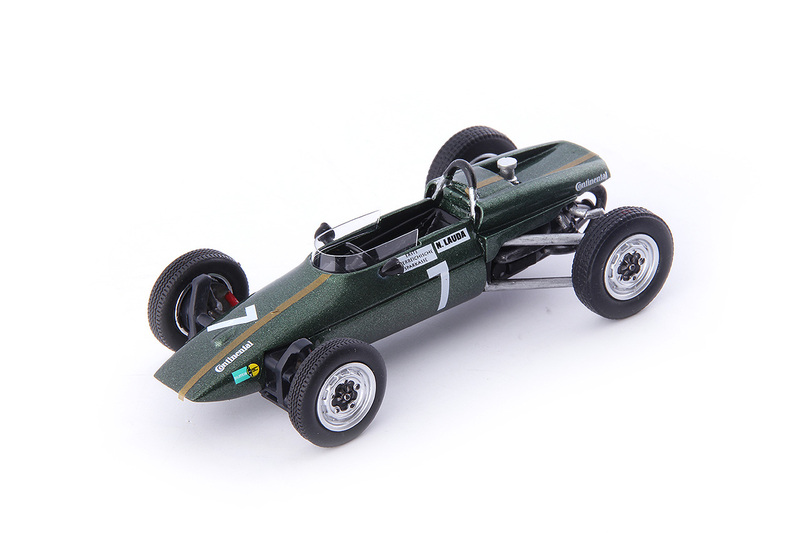 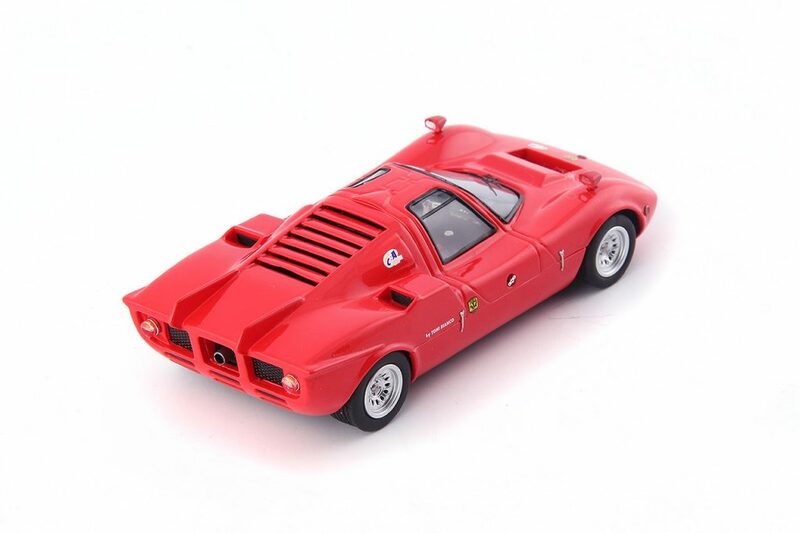 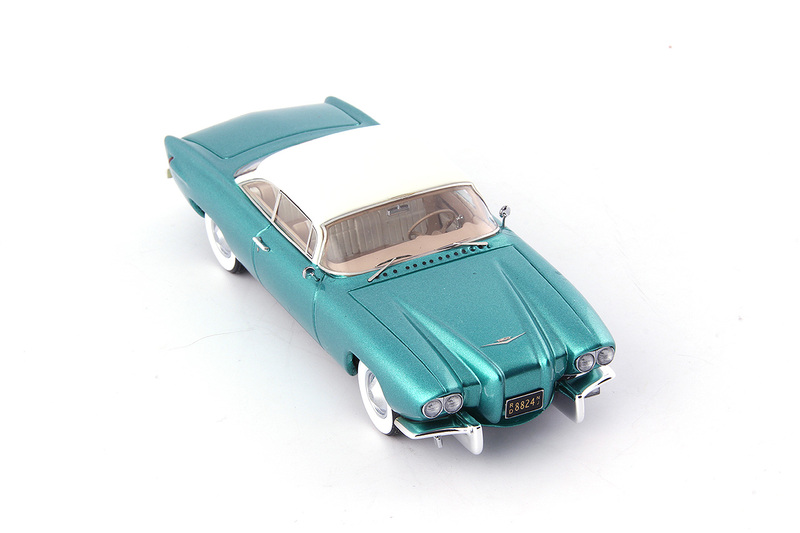 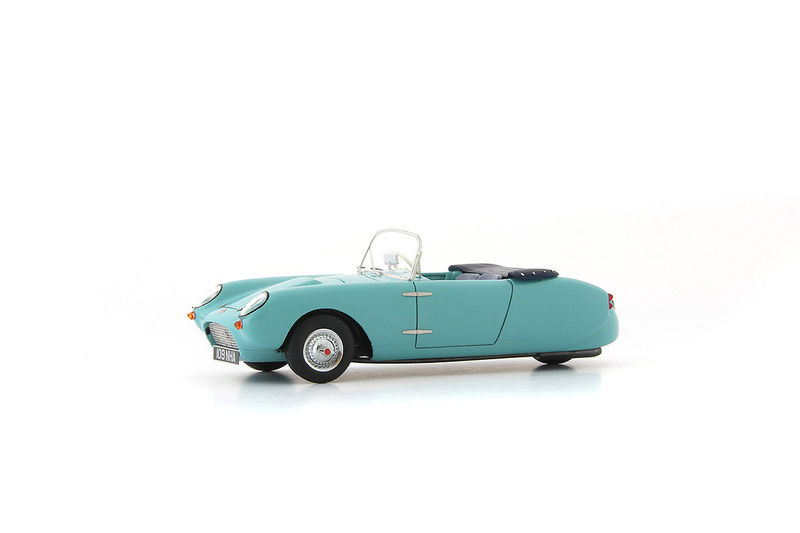 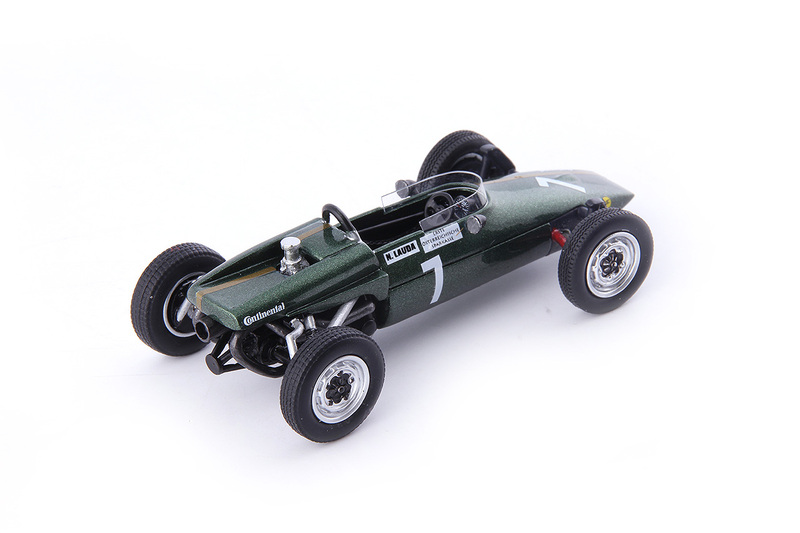 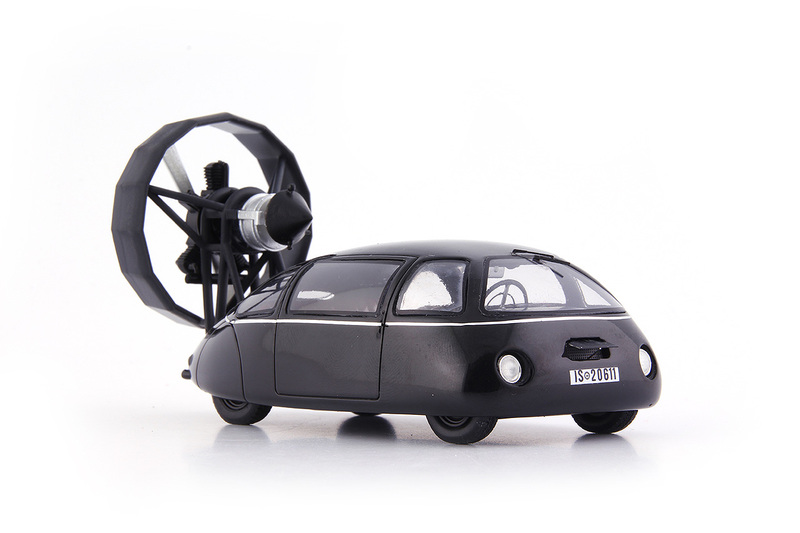 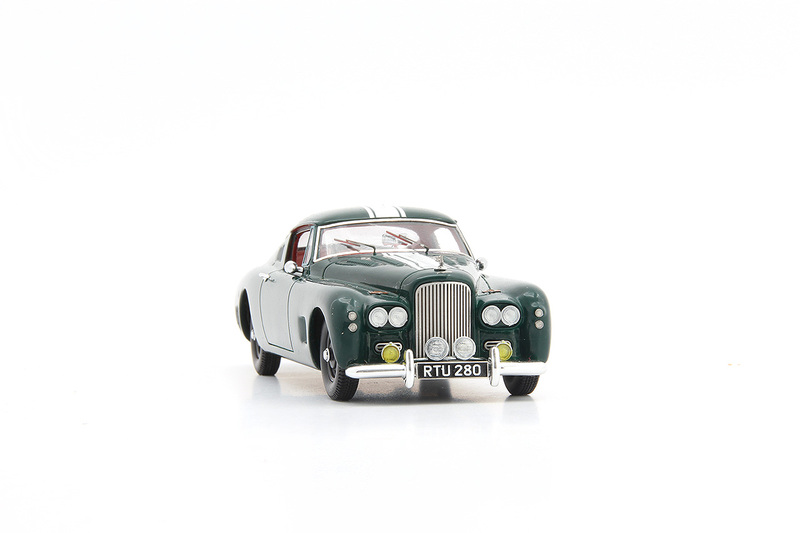 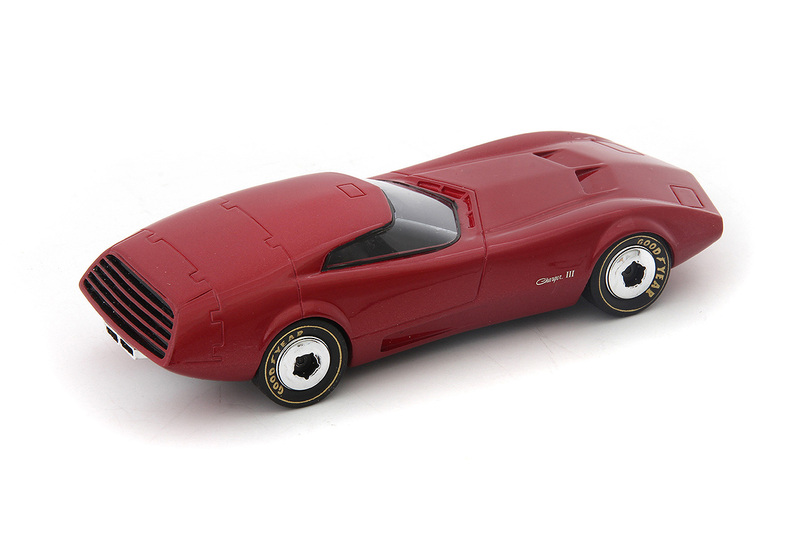 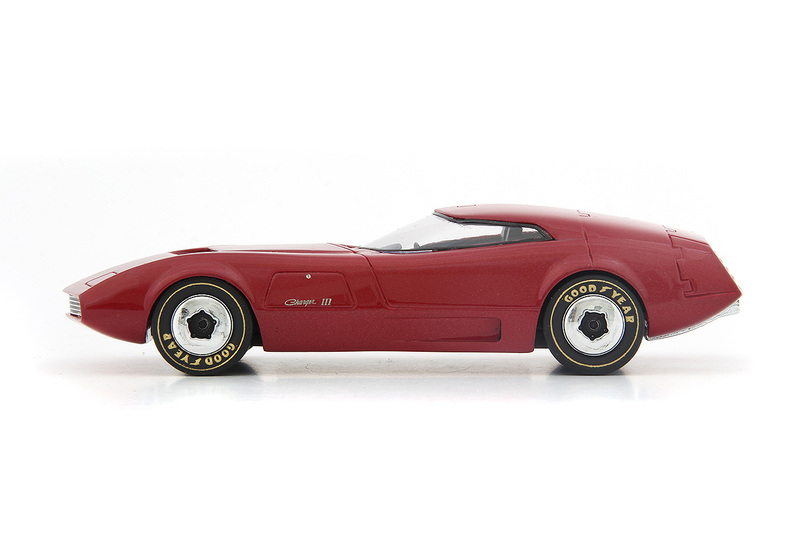 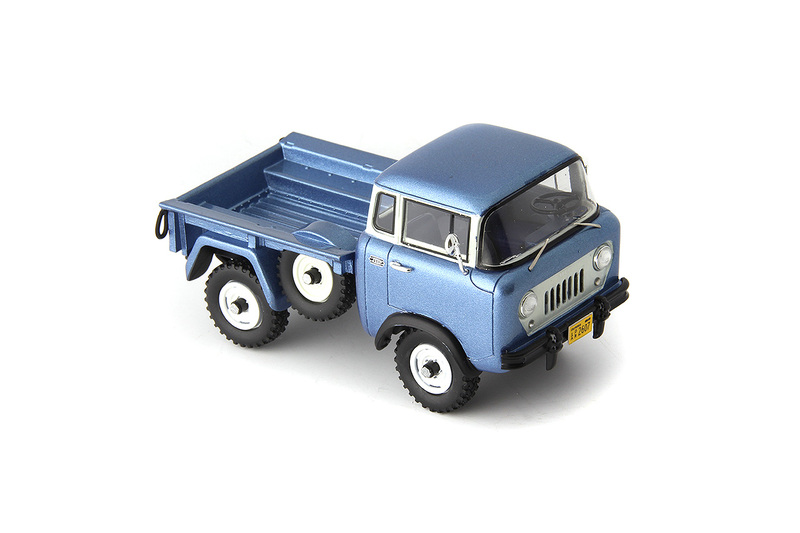 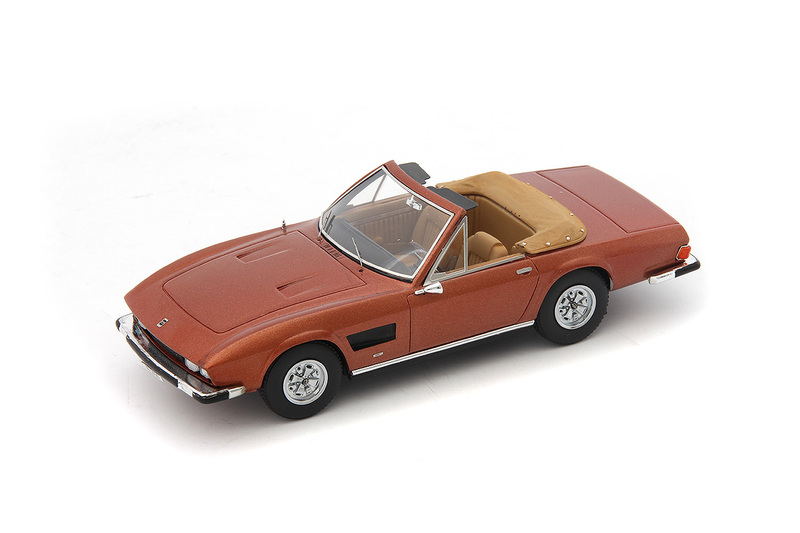 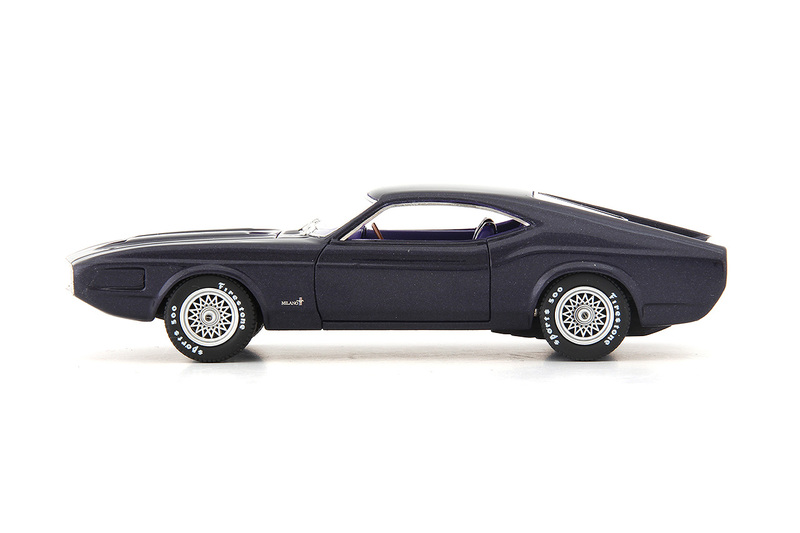 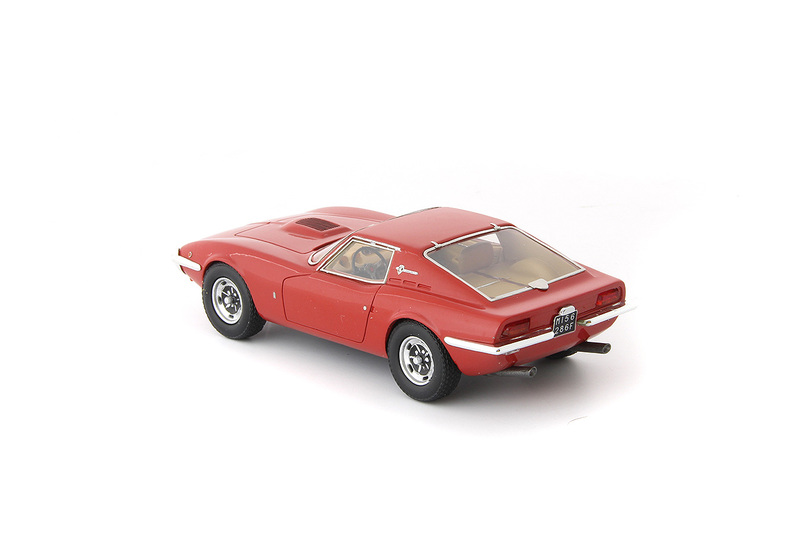 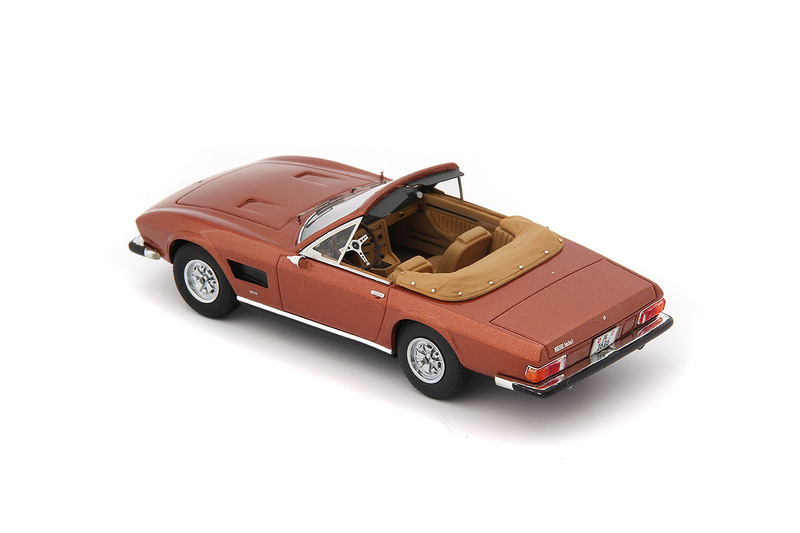 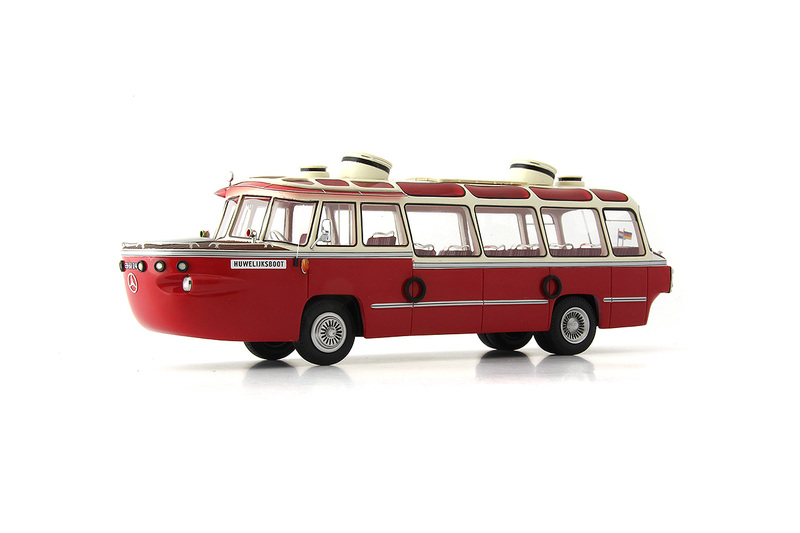 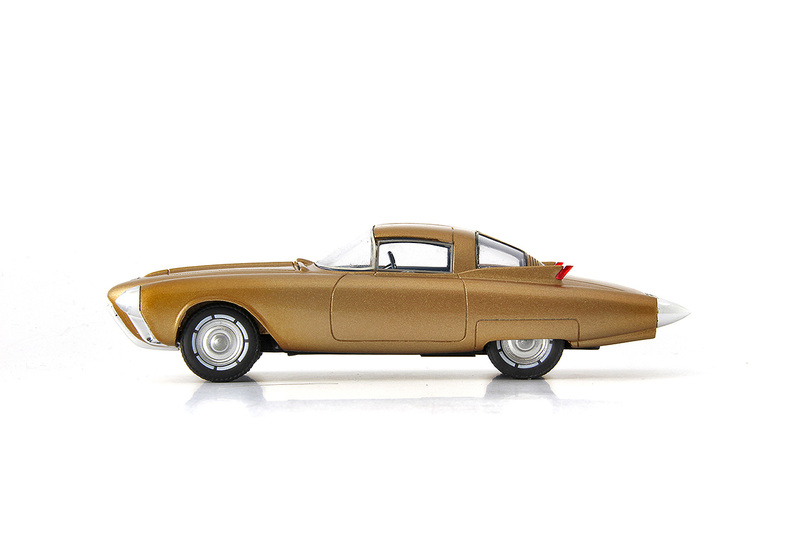 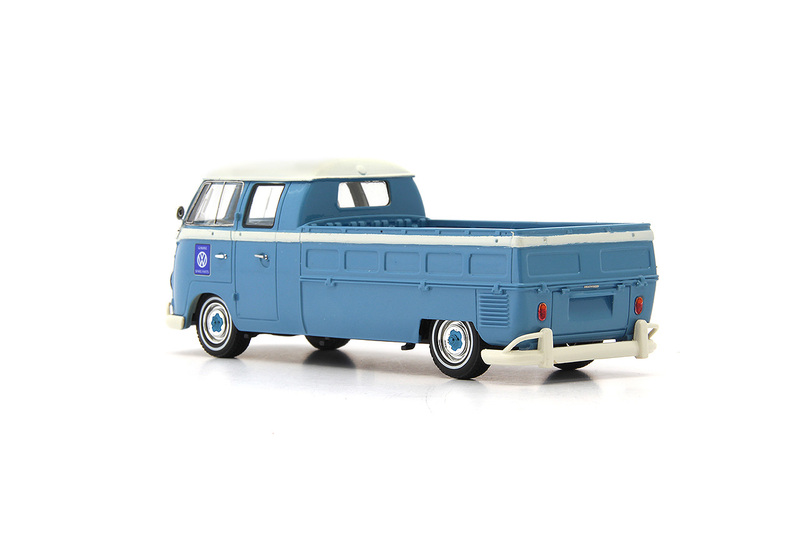 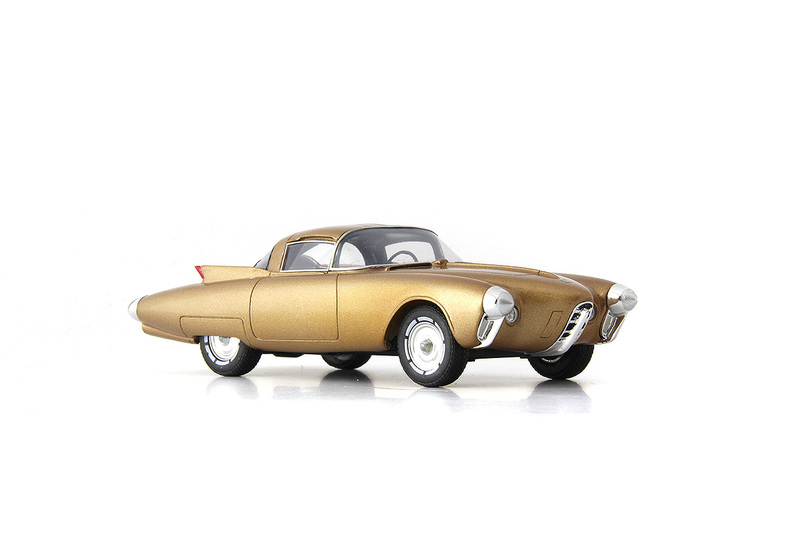 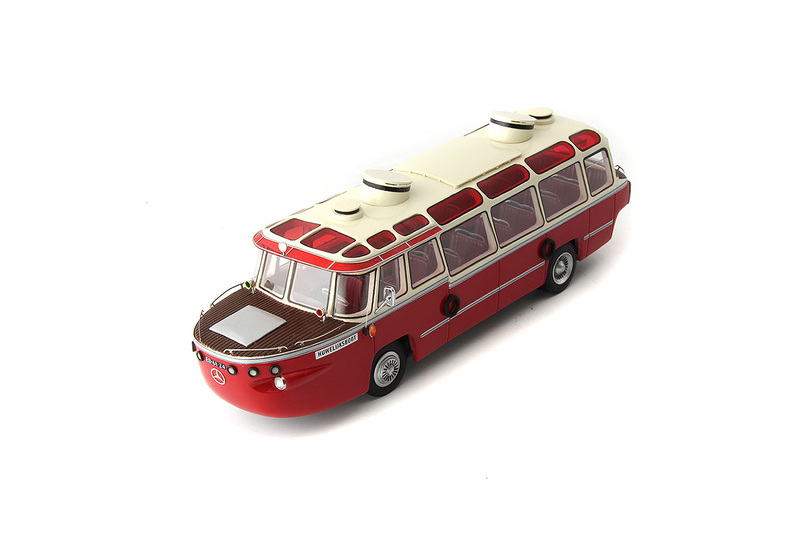 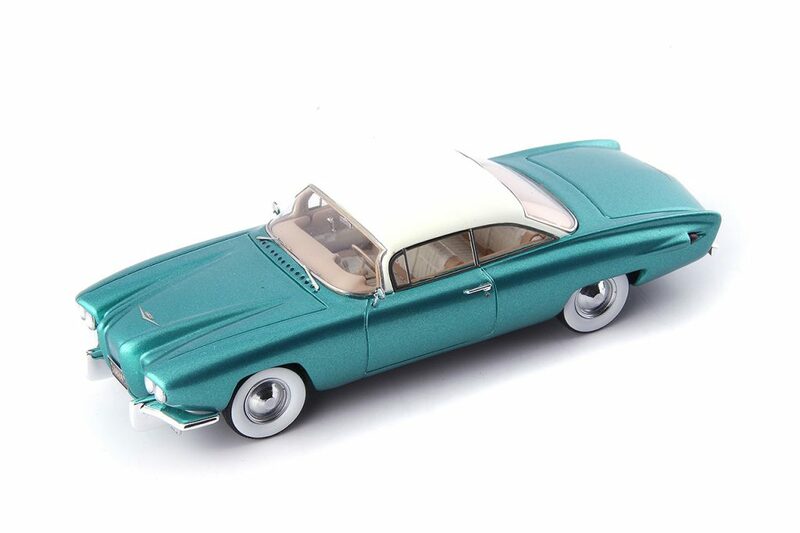 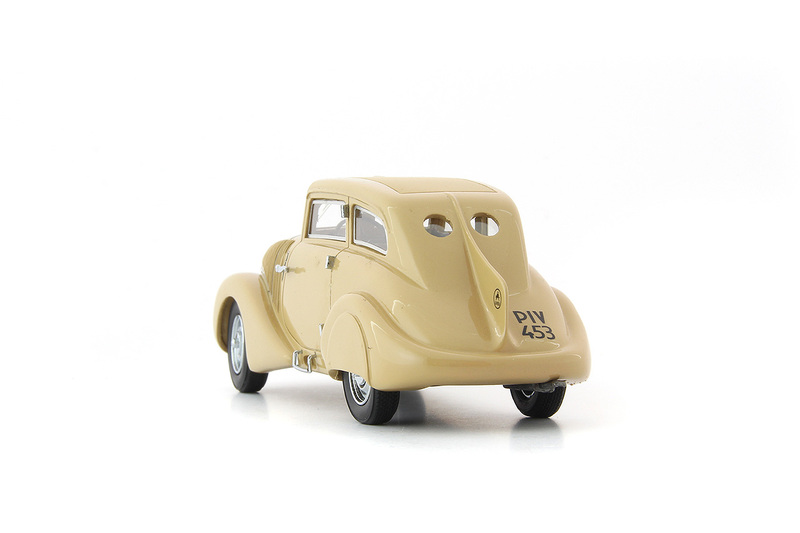 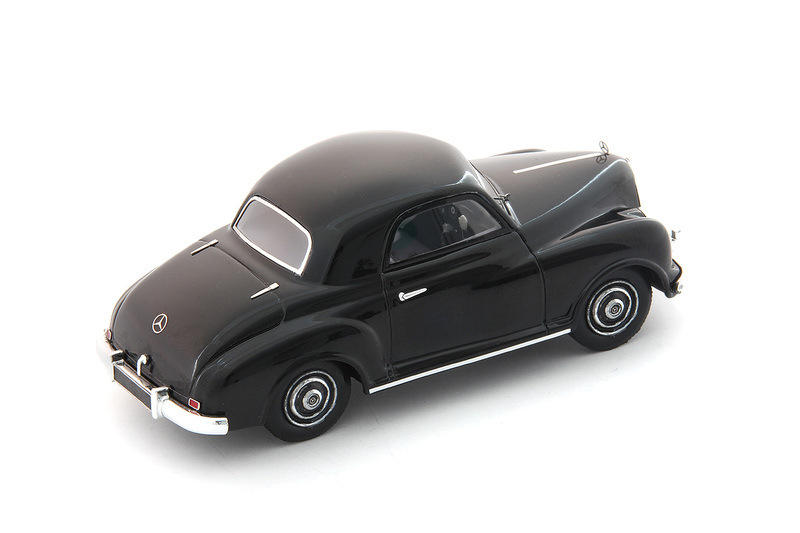 Auto Cult continue to reproduce models of interesting subjects which are unlike anything other ranges have made, or in many cases are likely to. 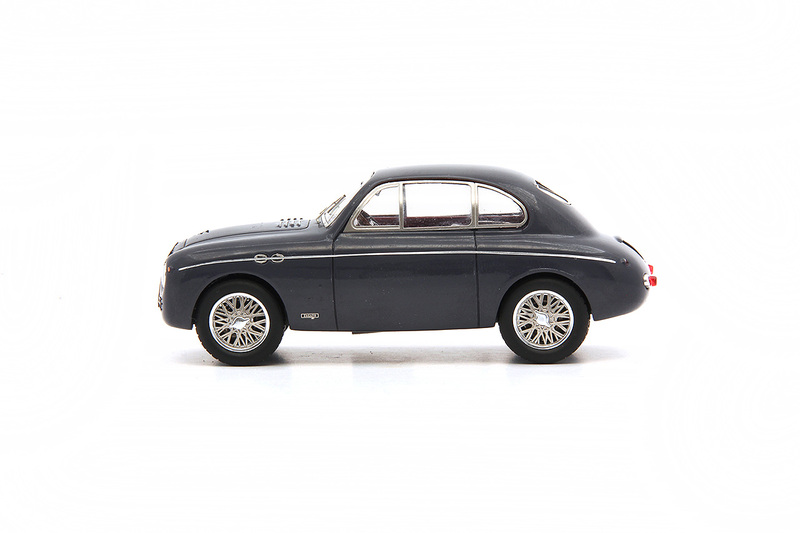 Berkeley Cars were designed by Lawrie Bond famous for the utilitarian Bond cars built by Sharp’s of Preston. 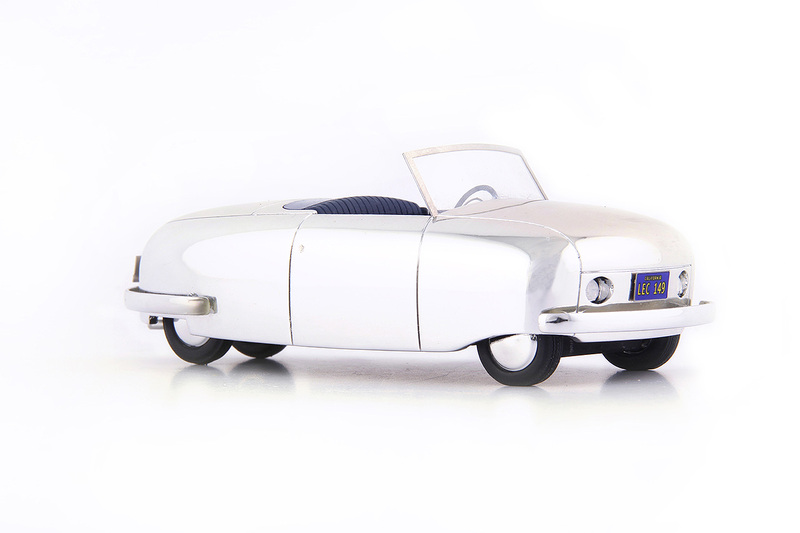 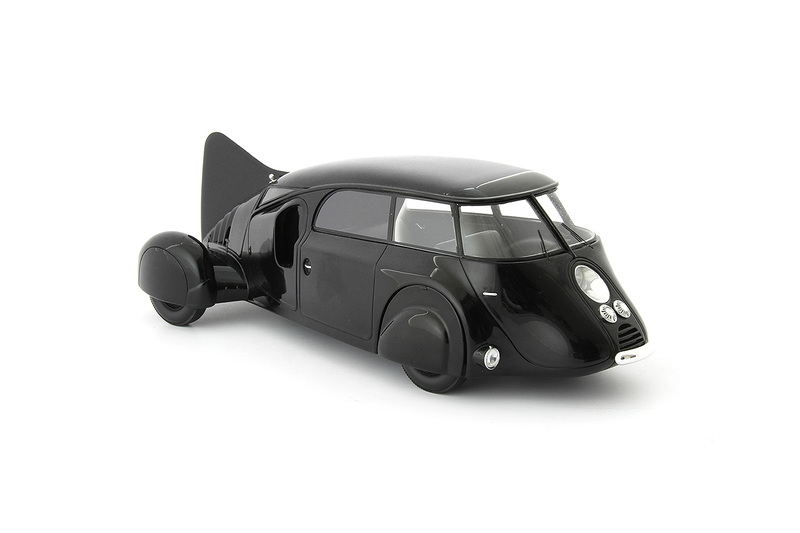 Berkeley, a large caravan manufacturer, wanted to diversify and produced Bond’s designs for lightweight fibreglass cars of a sporting character powered by motorcycle engines. 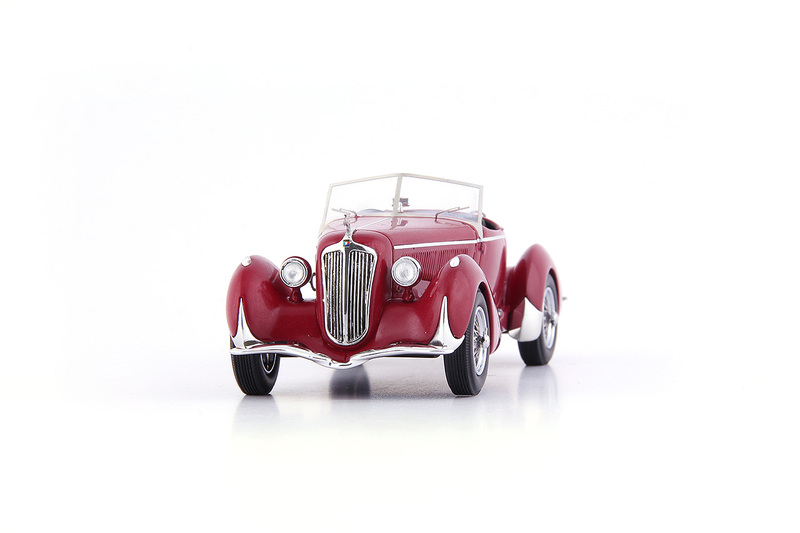 Although cars were initially four wheeled, three wheelers were introduced to widen the sales potential as the UK tax and licensing rules were easier on three wheelers. 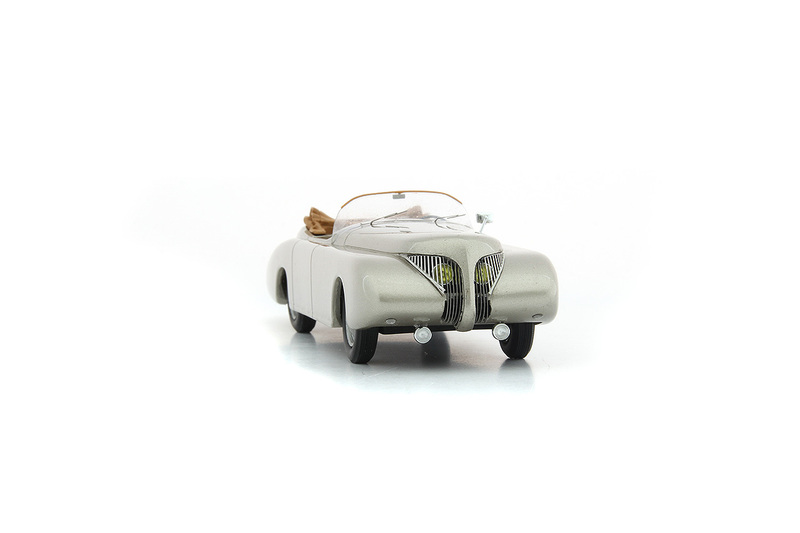 Unlike Bond’s own cars the single wheel was at the rear like the Morgan three wheeler. 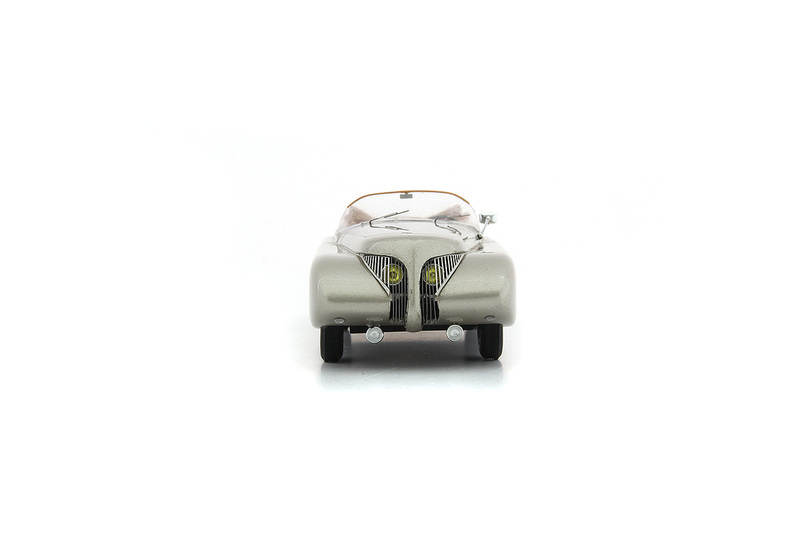 The T60 had a two-cylinder two-stroke engine from Excelsior of 328cc giving 18hp. 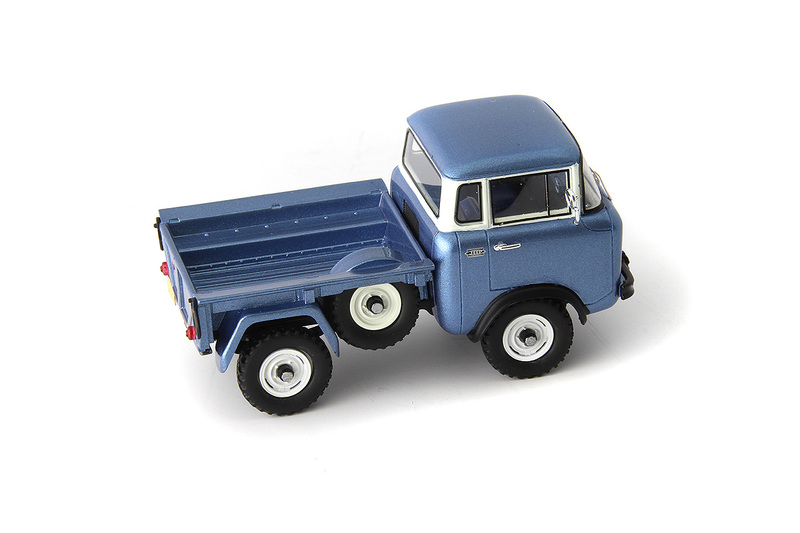 The engine was installed ahead of the front axle. 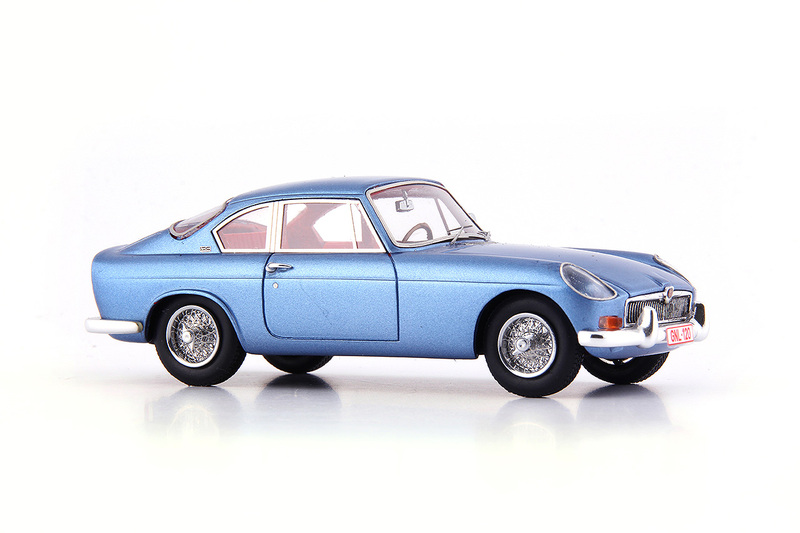 Sales were strong in the UK but predictably poor outside the UK where the tax and licensing benefits were not the same. 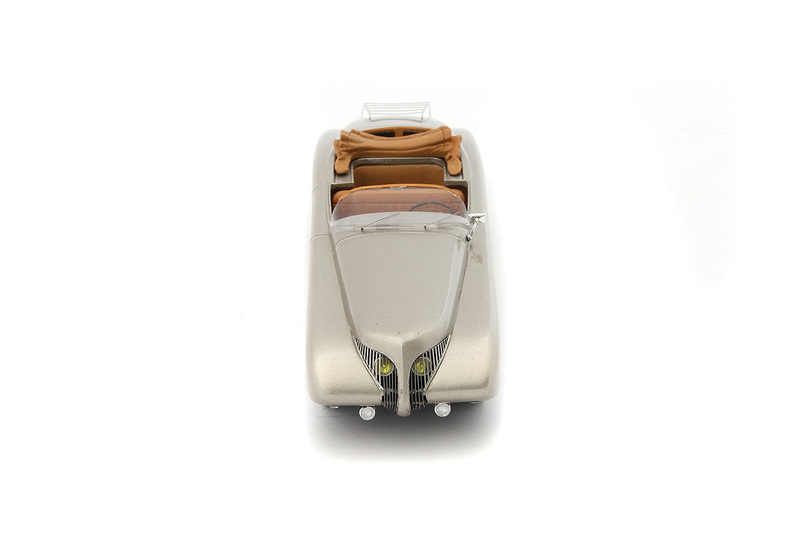 The T60 seated two with a large boot above the rear wheel. 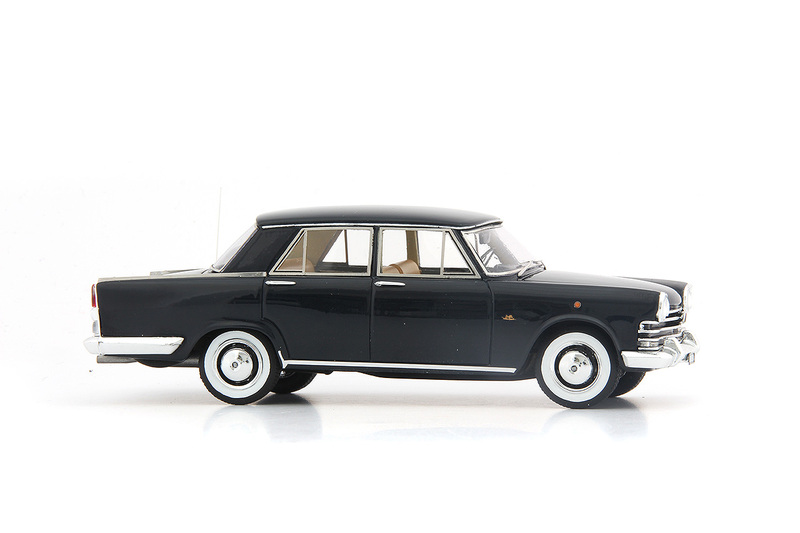 About 1,800 T60s were produced before production ended. 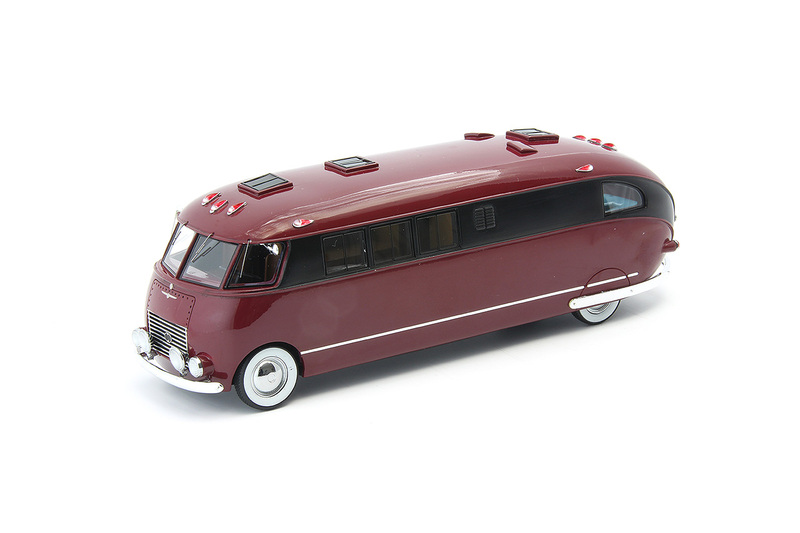 Berkeley’s caravan sales dipped badly late in in 1960 and the company ran short of cash and was forced into liquidation. 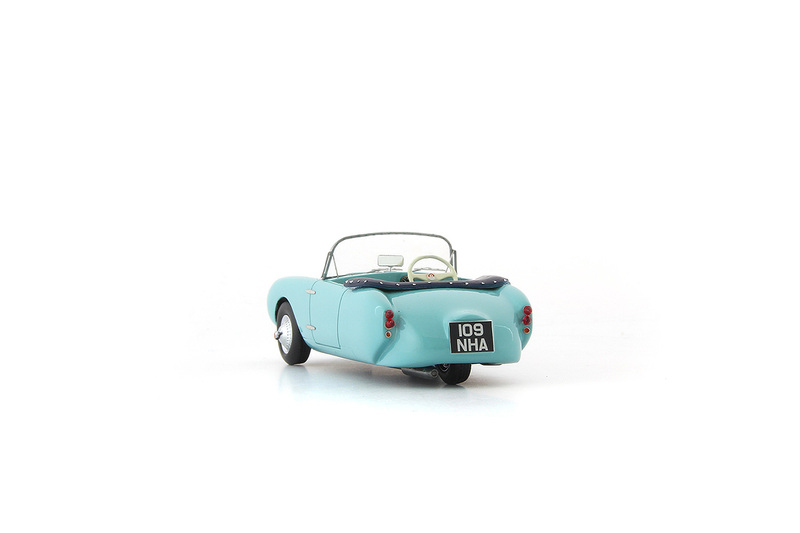 No-one wanted to take over the Berkeley Cars business so they were no more. 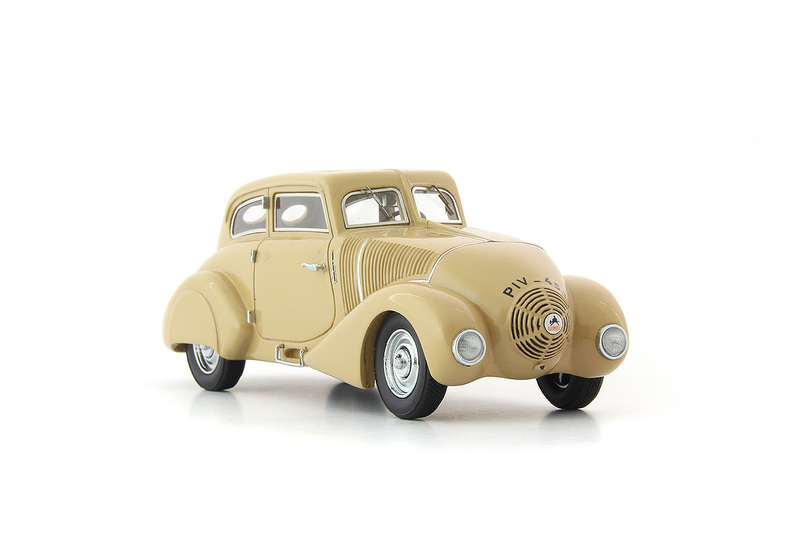 Wikov were founded in 1918 by the merger of two industrial concerns and were large manufacturers of agricultural machinery who dabbled in making cars all of which were expensive to buy. 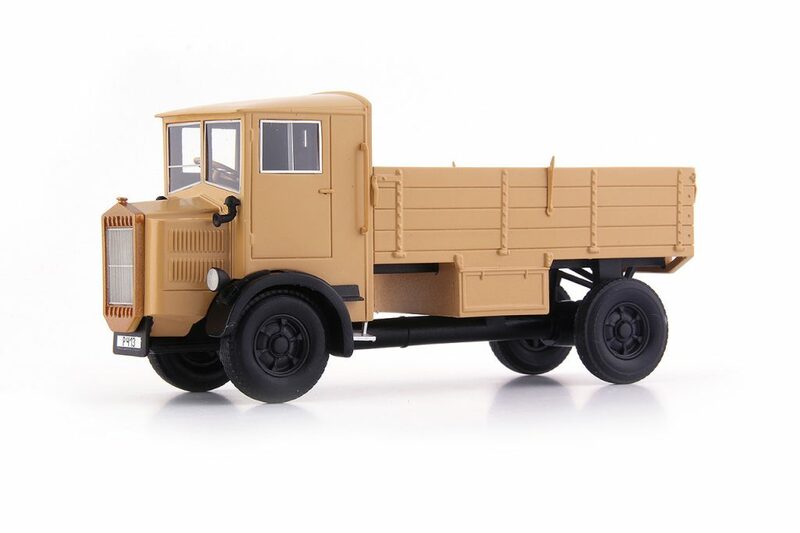 The Wikov 35 was a development of the Typ 7/28. 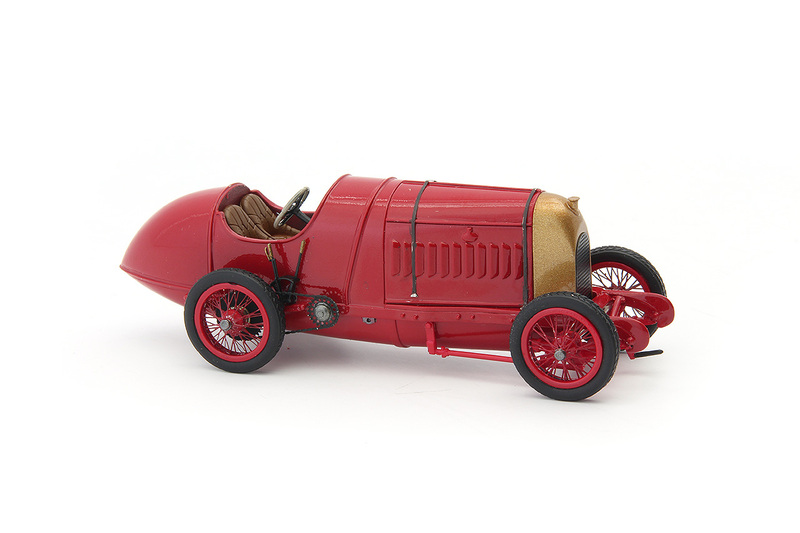 Its four-cylinder engine had a displacement of 1,743 cc and produced 35 hp. 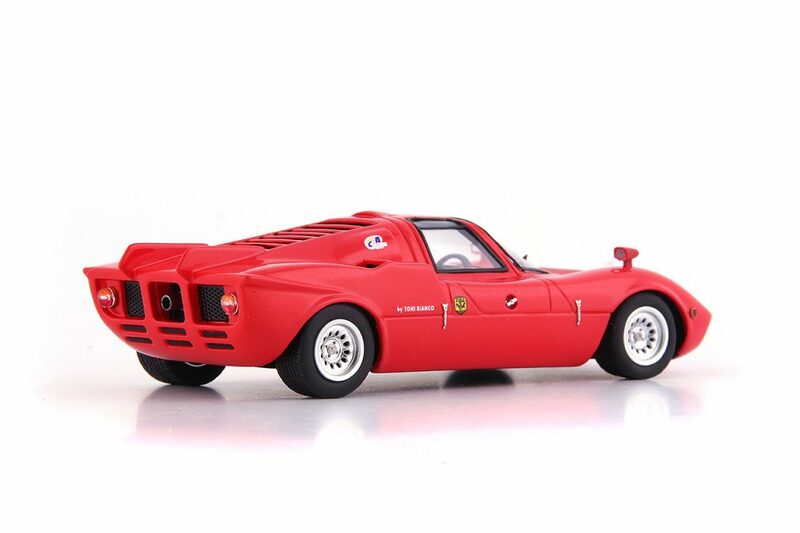 It was a conventional front engine and rear wheel drive set up with a three speed gearbox. 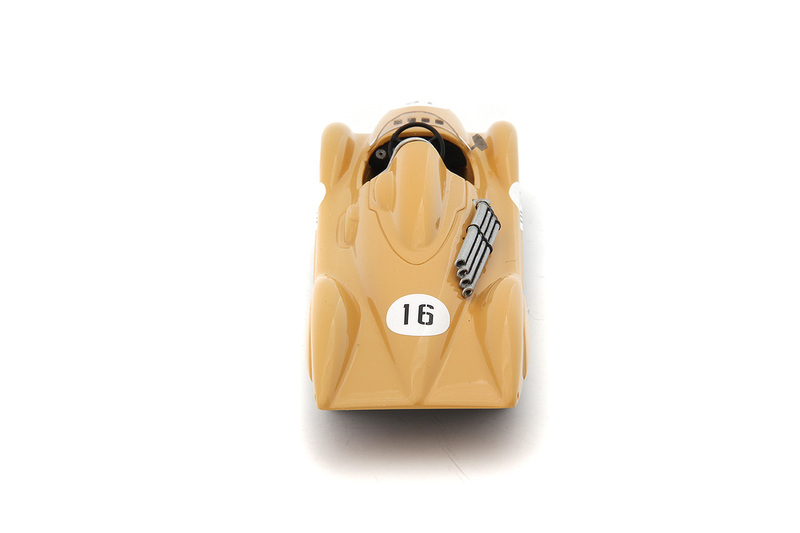 The top speed was claimed as close to 100kph. 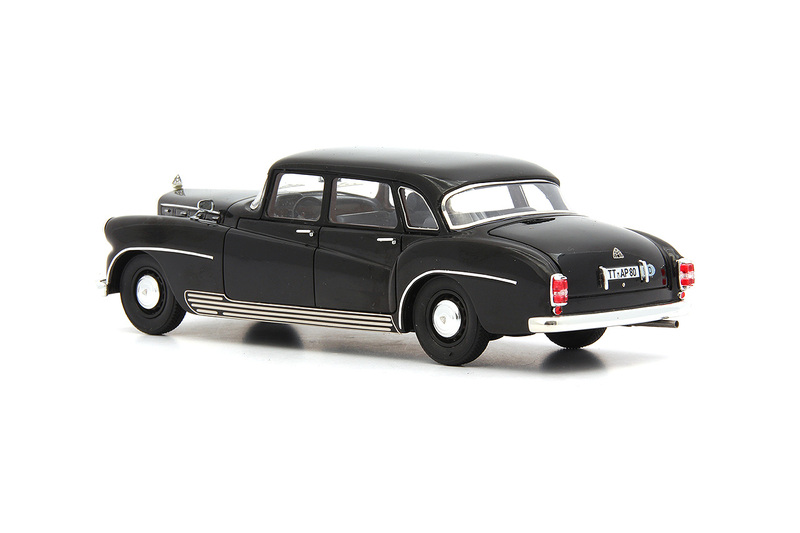 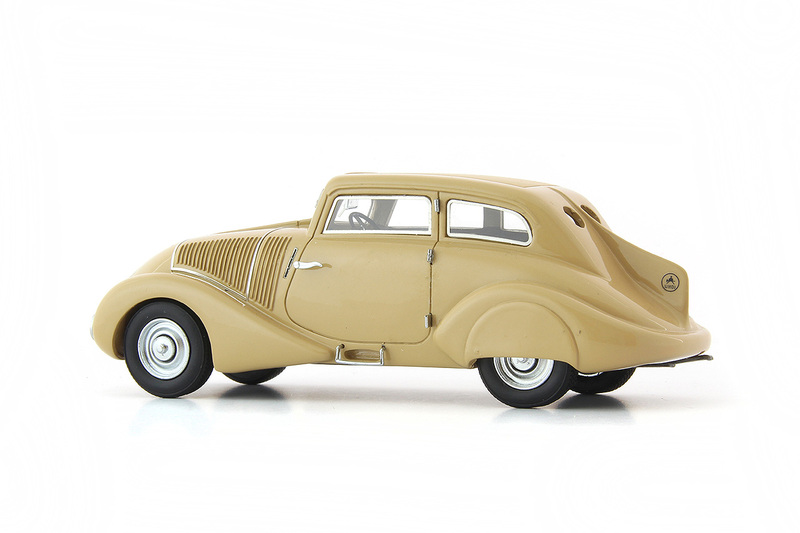 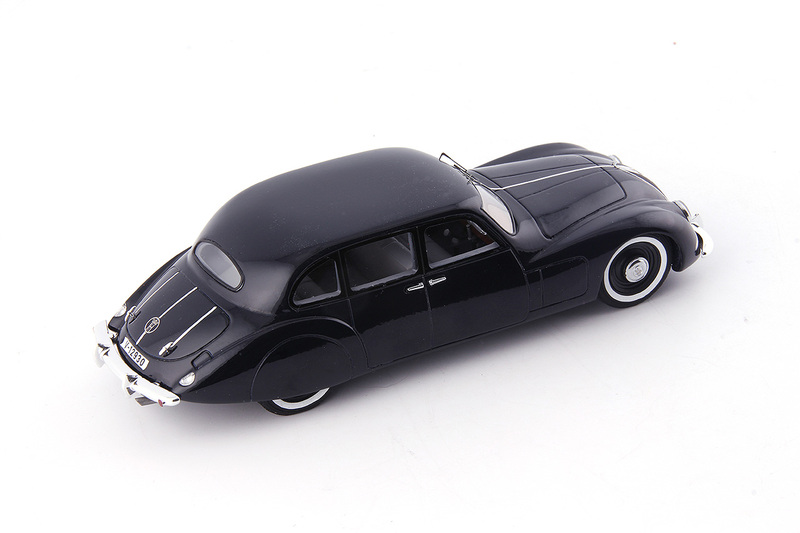 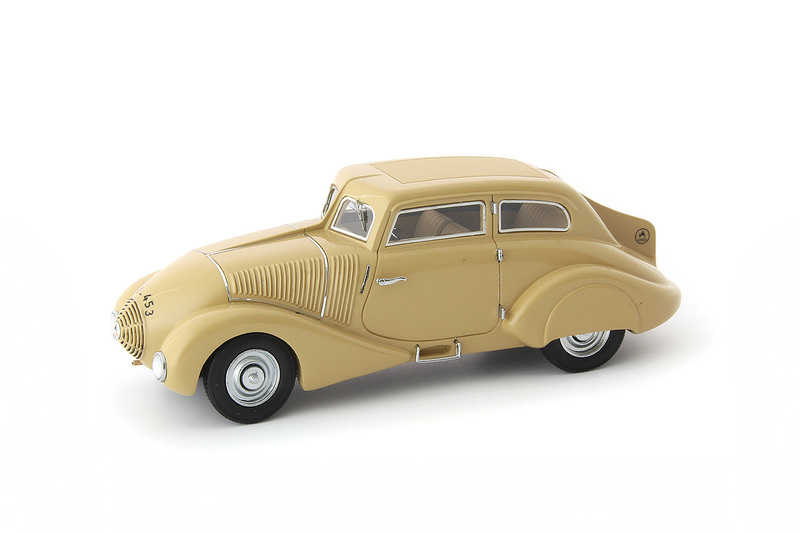 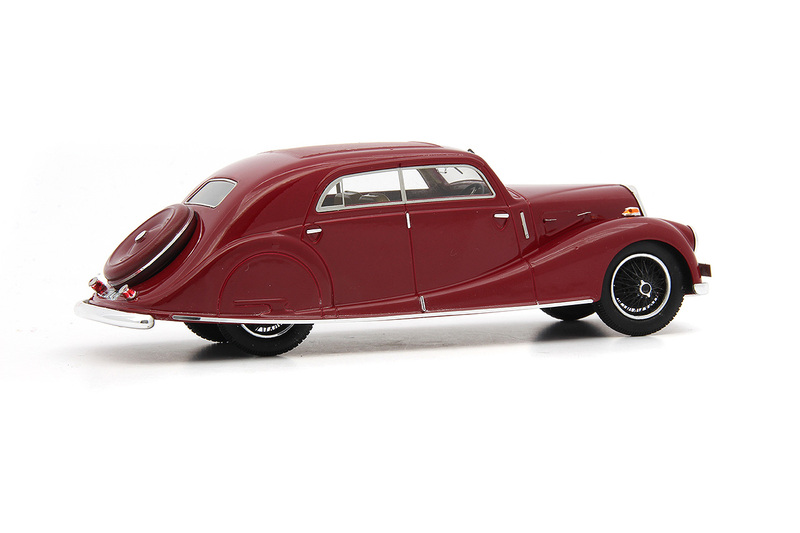 The “Kapka“, drop or pearl, was streamlined to compete with the types of designs emerging from Tatra. 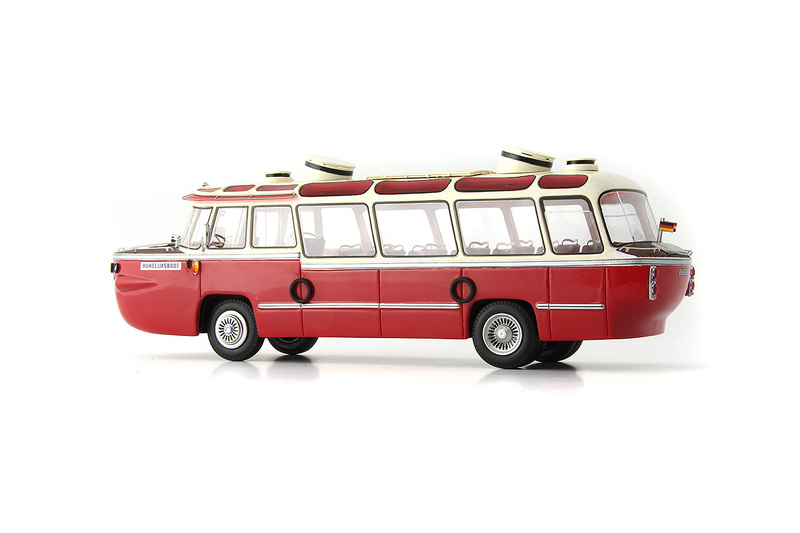 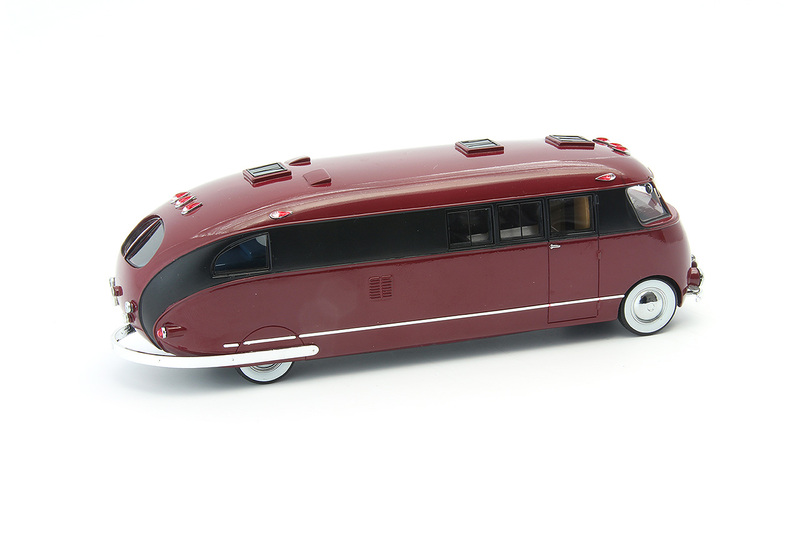 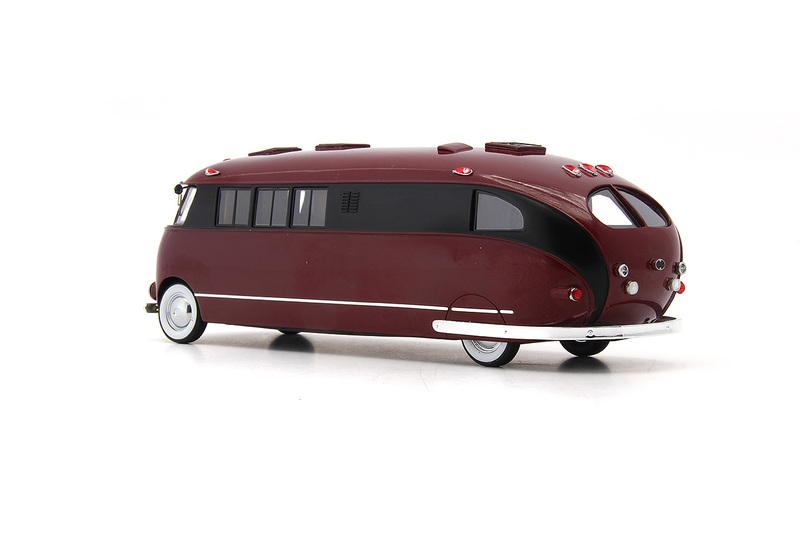 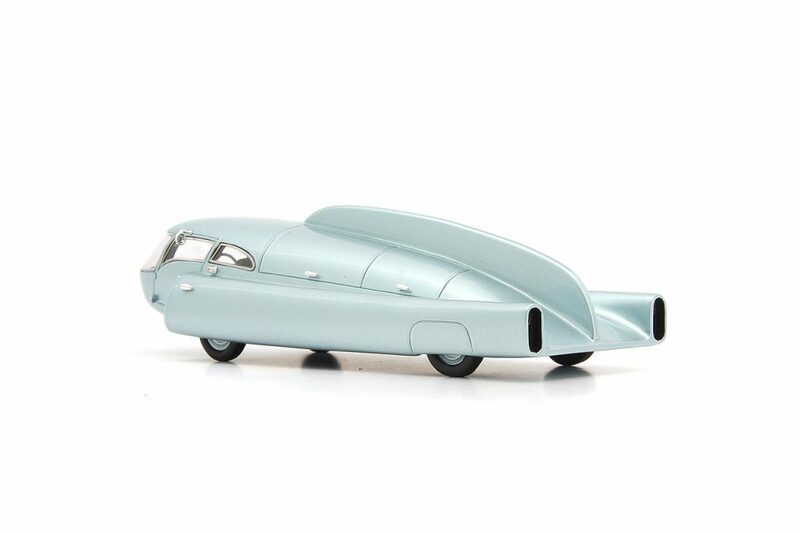 Sadly, the way the streamlined body was made added weight to the vehicle and although distinctive in appearance only a handful were made, between three and six depending on the source of the information. 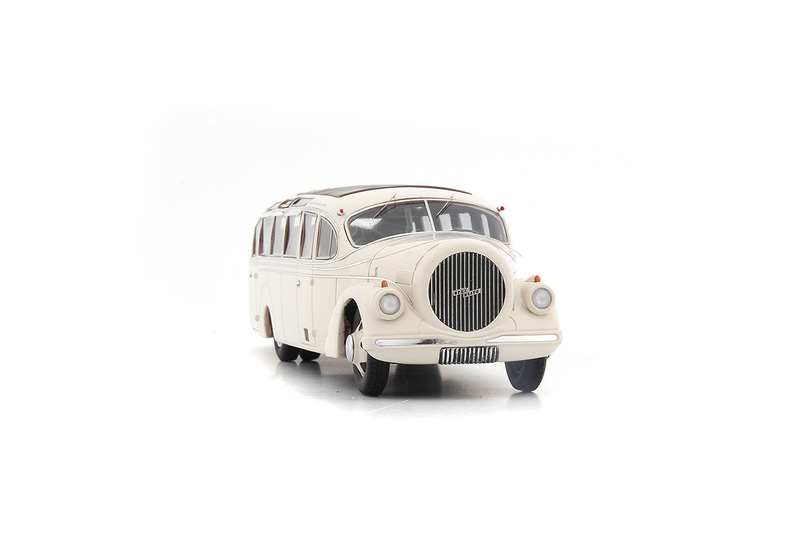 In 1935 Wikov ceased the production of passenger cars in favour of commercial vehicles. 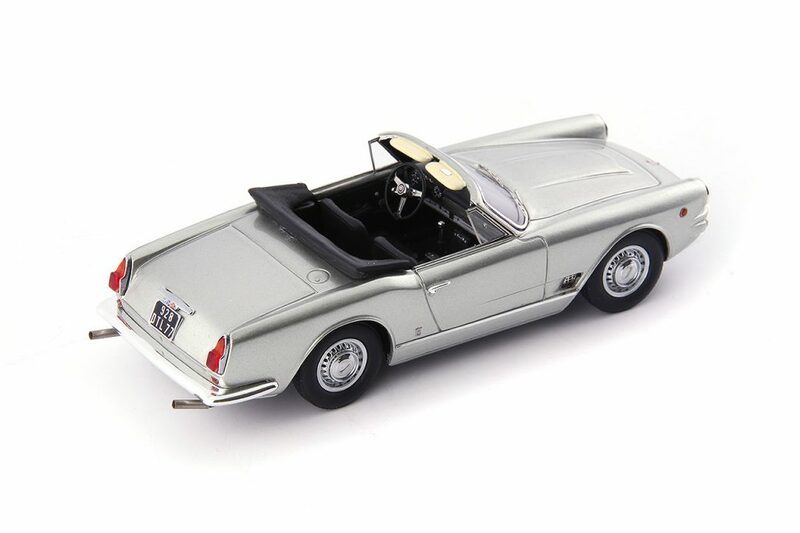 The Frenchman Michel Liprandi and the Italian Giovanni Mandelle founded their car company L.M.X. 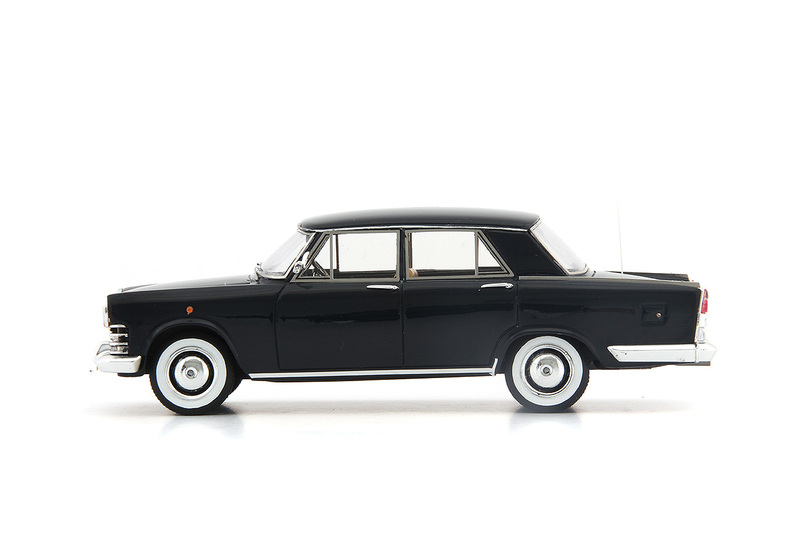 Automobile Srl based in Milan in 1967. 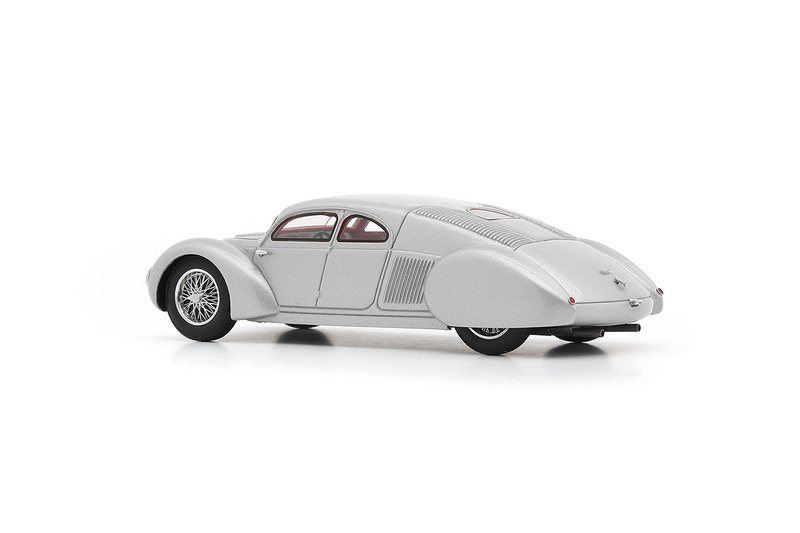 They employed Franco Scaglione, a top designer, to design their sports car. 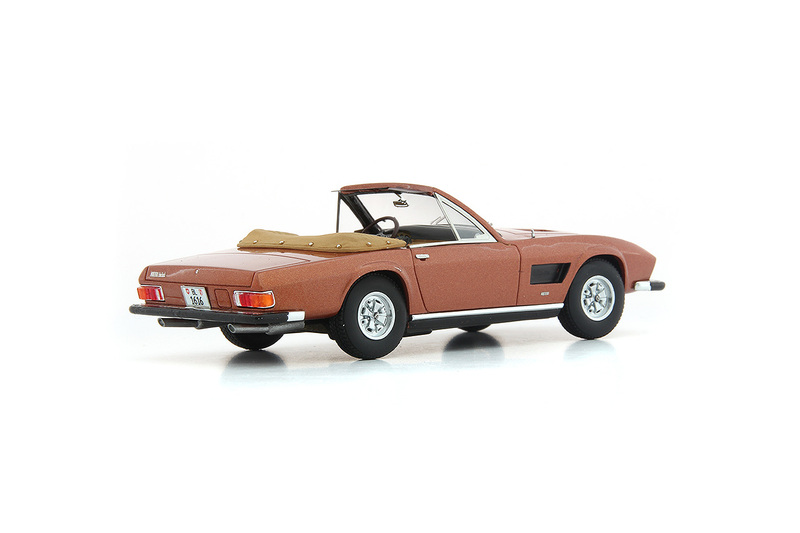 Scaglione created a smooth, slightly curved shape with minimal front and rear bumpers. 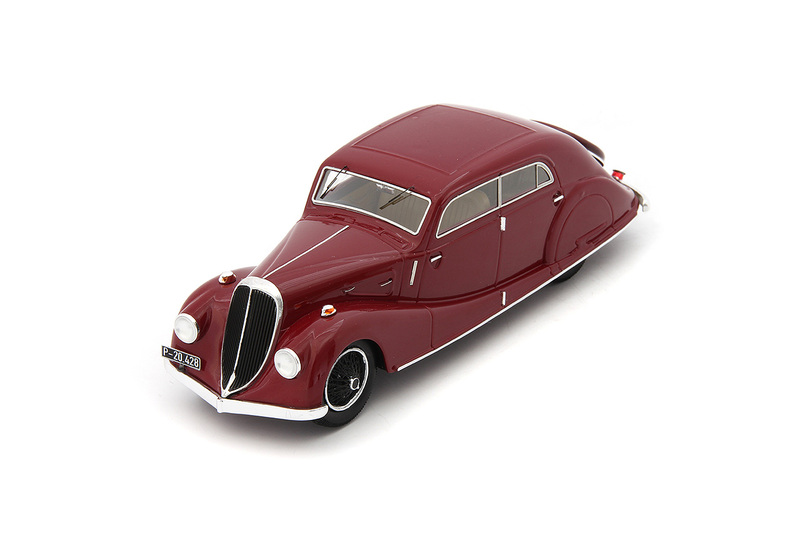 The bulge in the bonnet was reminiscent of US car design. 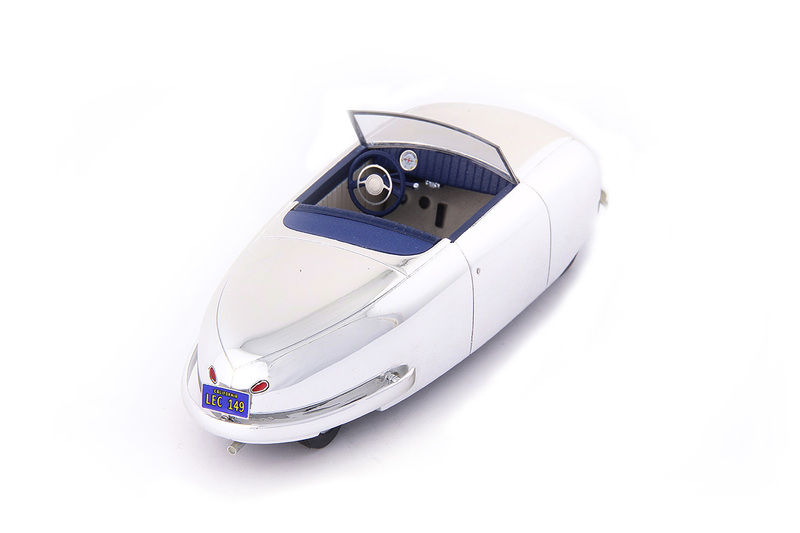 The car body was made of fibreglass. 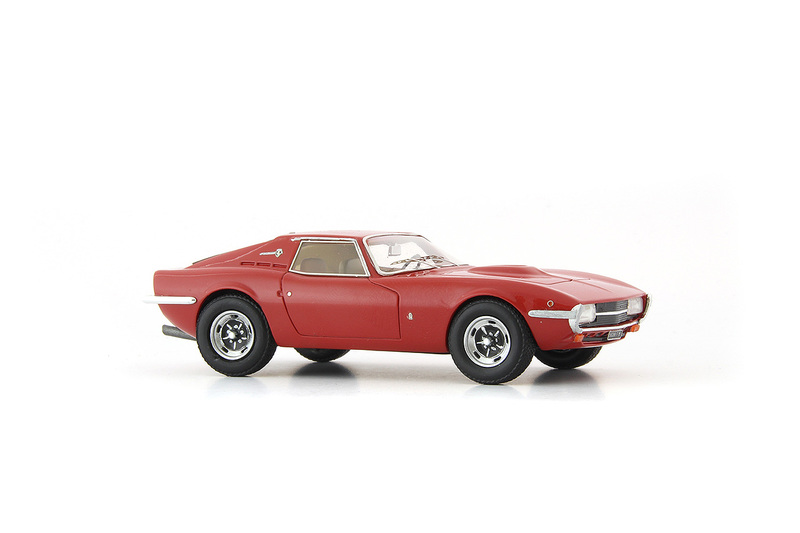 In 1968 the sports car was initially shown as the LMX 2300 HCS. 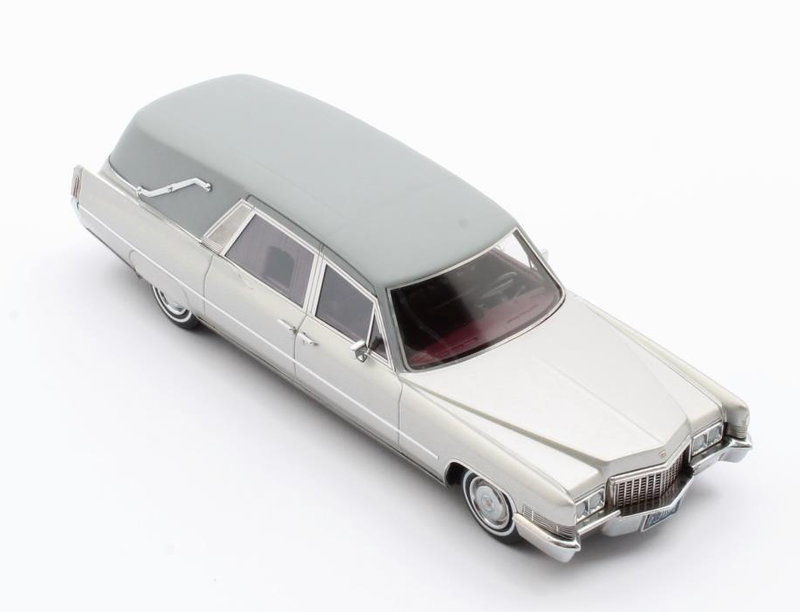 Unfortunately the car was not well received. 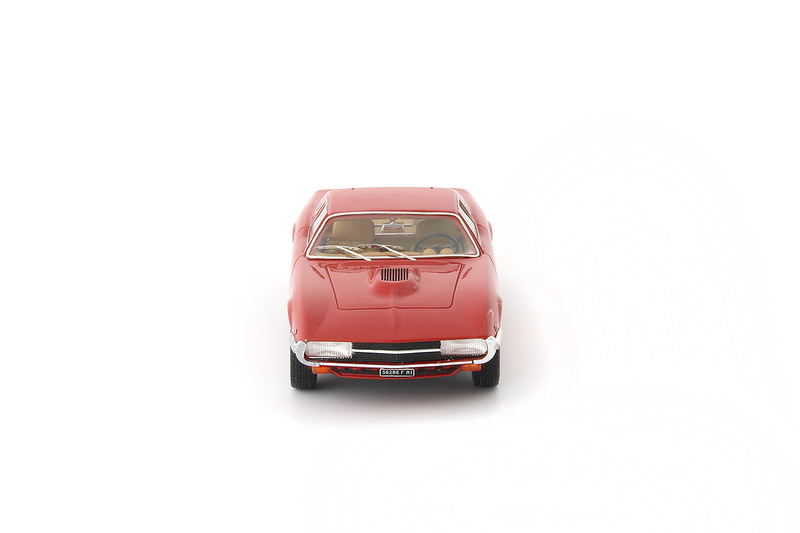 In 1973 L.M.X. 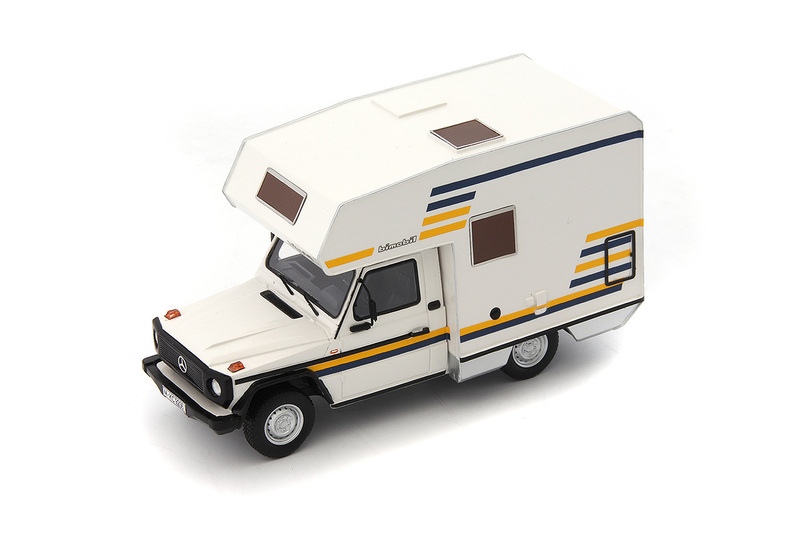 was taken over by SAMAS. 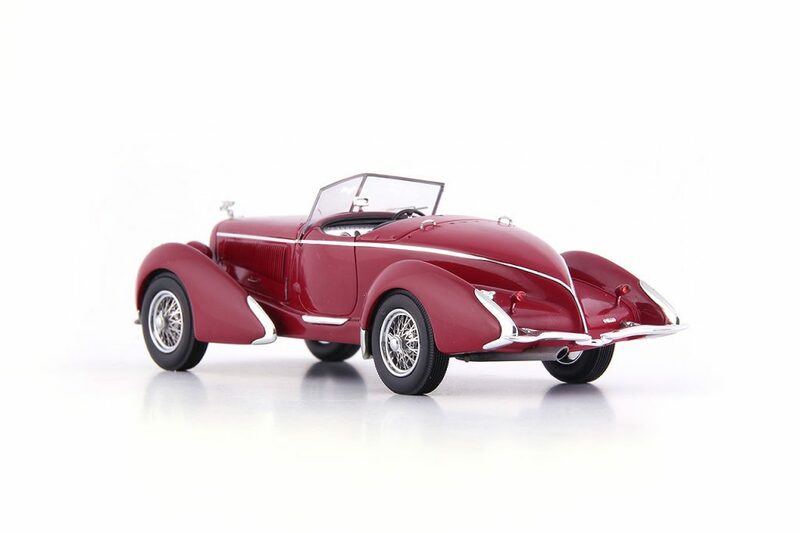 The work continued on the production of the sports car and it was renamed the Sirex LMS and Sirex LMX, The new owners introduced a turbocharger to the 2.3 Litre V6 from the German Ford Taunus to give it up to 210hp and a faster performance all round. 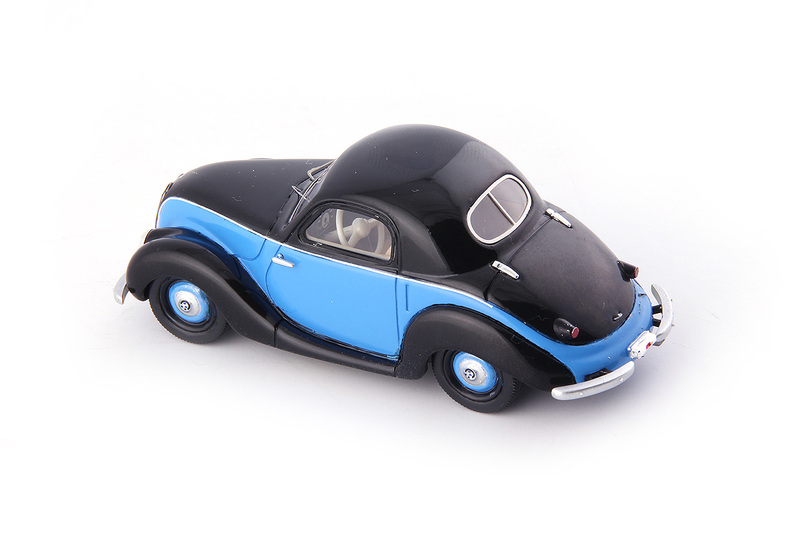 But even this boost did not improve sales and after 20 cars were made production ceased. 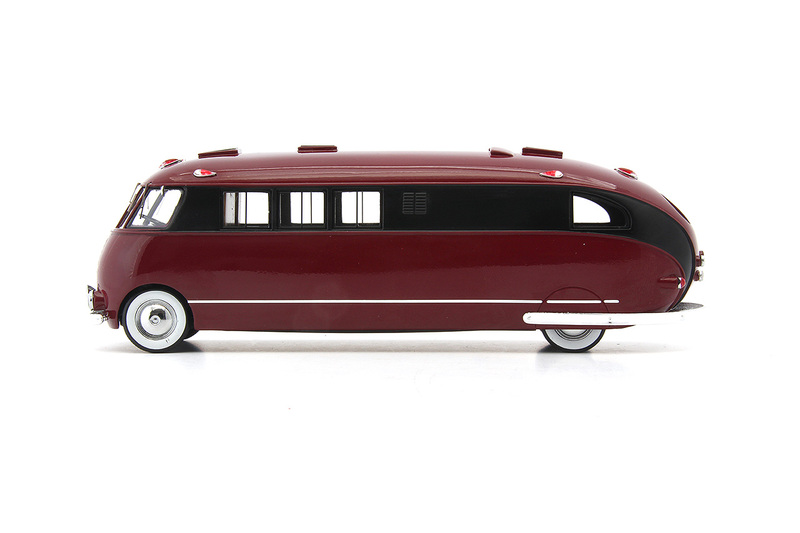 In the late 1950s the Swedish military was looking for a special purpose vehicle, which would be primarily used for the transportation of troops. 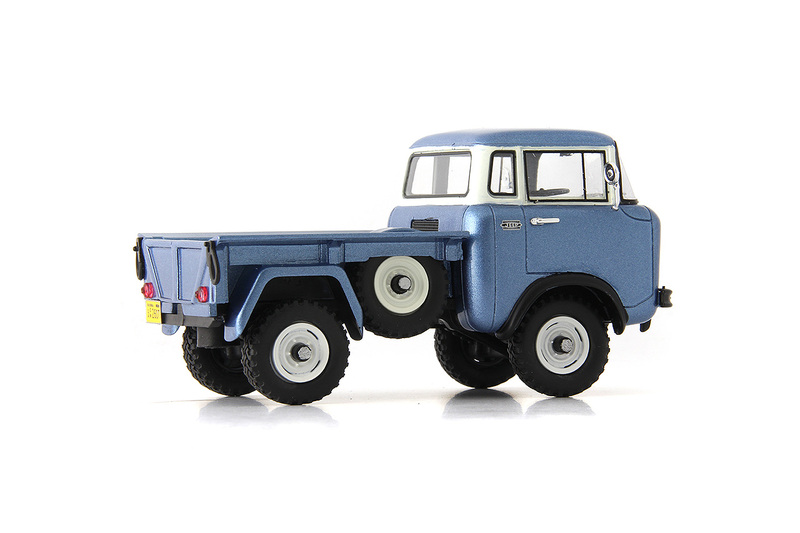 They asked Volvo to develop a four-wheel-driven forward control vehicle which was to provide mobility even in very rough terrain. 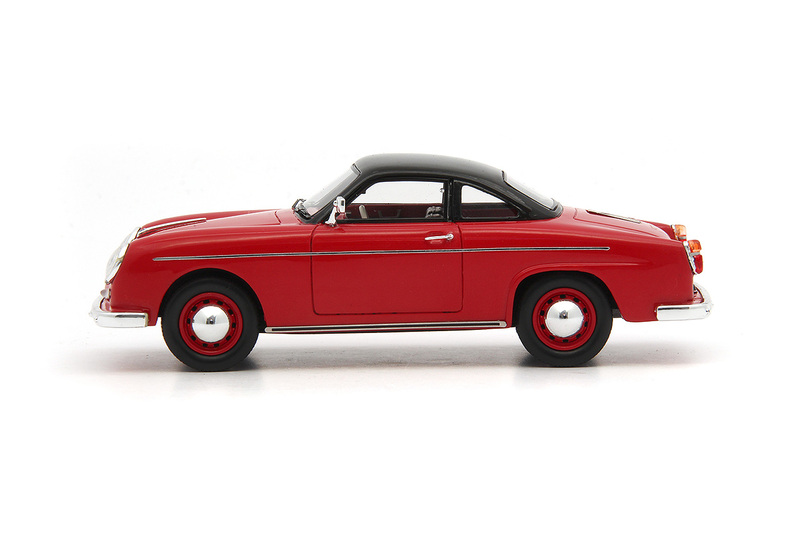 Chief designer Nils-Magnus Hartelius and the engineers at Volvo developed a solid ladder frame and fitted a box-shaped driver’s cab. 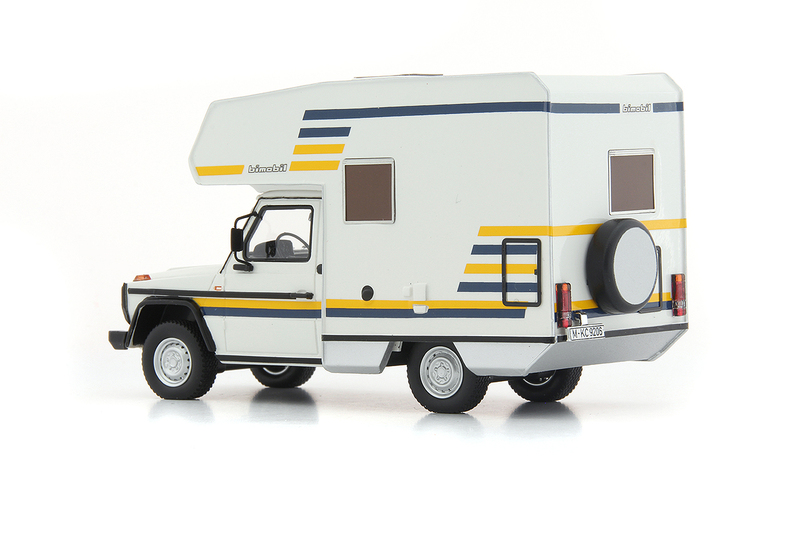 The design was very stable and flexible enough to allow a variety of different rear structures to be fitted. 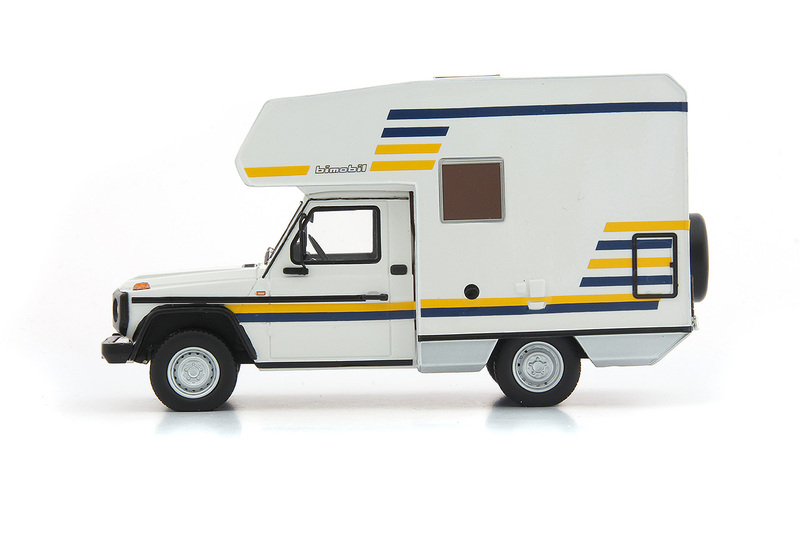 Large, low pressure tyres are a key visual feature of this vehicle. 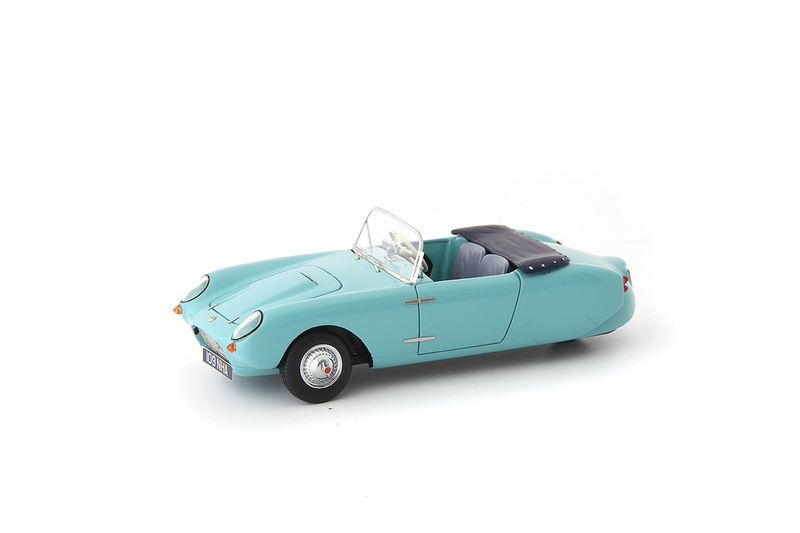 To keep production costs down as many parts as possible were derived from the existing car range with the 1800cc 75hp engine being an example of this. 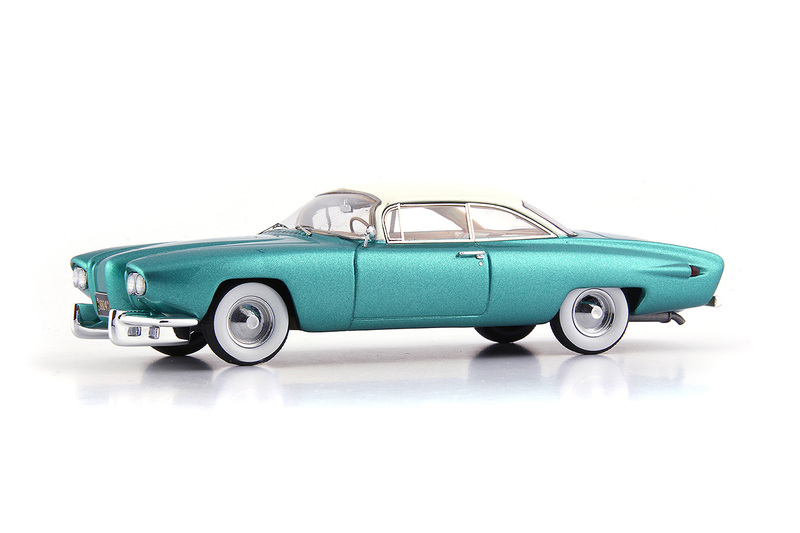 When mass production started in 1963 the designation L3314 was applied, but the name commonly used was the “Laplander”. 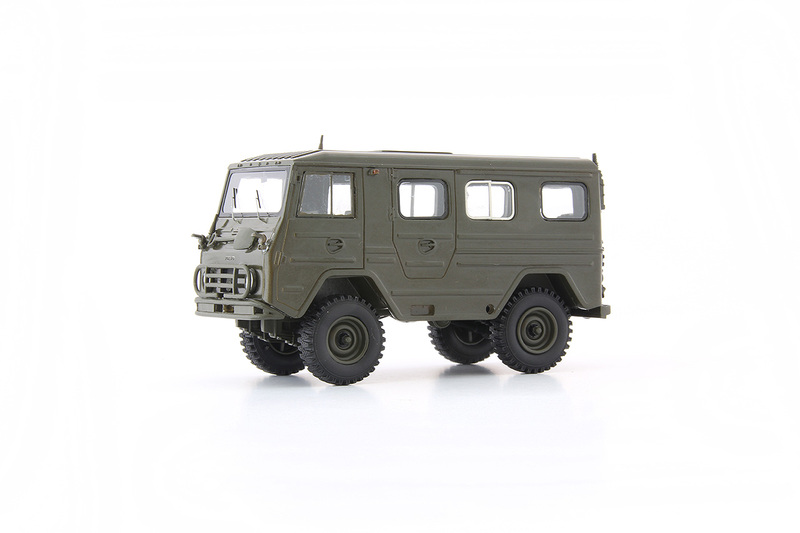 Initially the vehicles were sold only to the Swedish military but later some of the vehicles were seen in civilian uses. 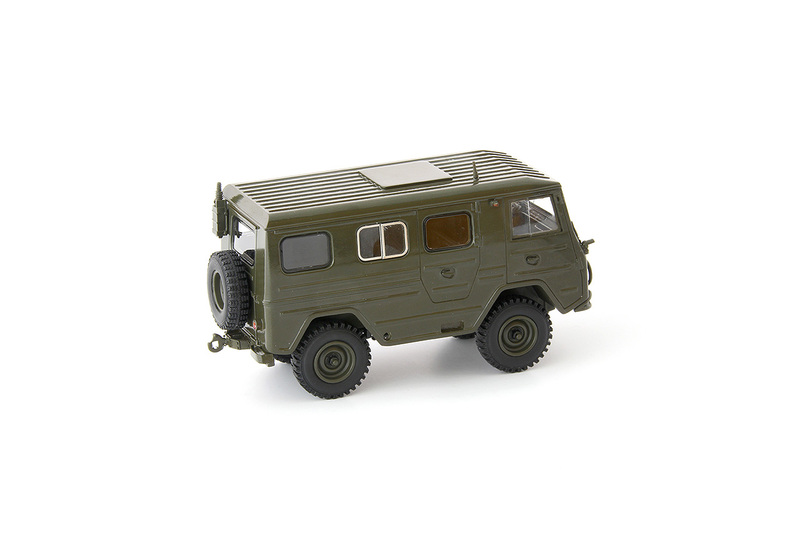 7,737 vehicles were made for the Swedish forces before production ceased. 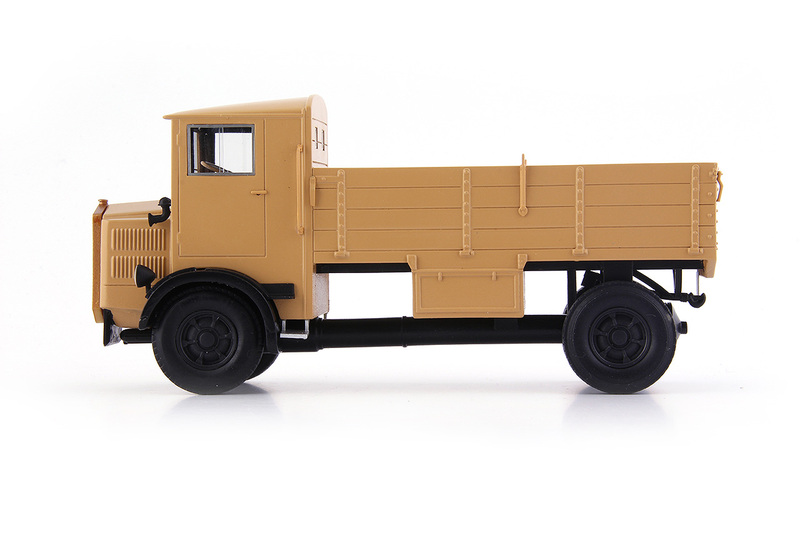 When the Germans fled from Czechoslovakia towards the end of the Second World War much equipment was left behind. 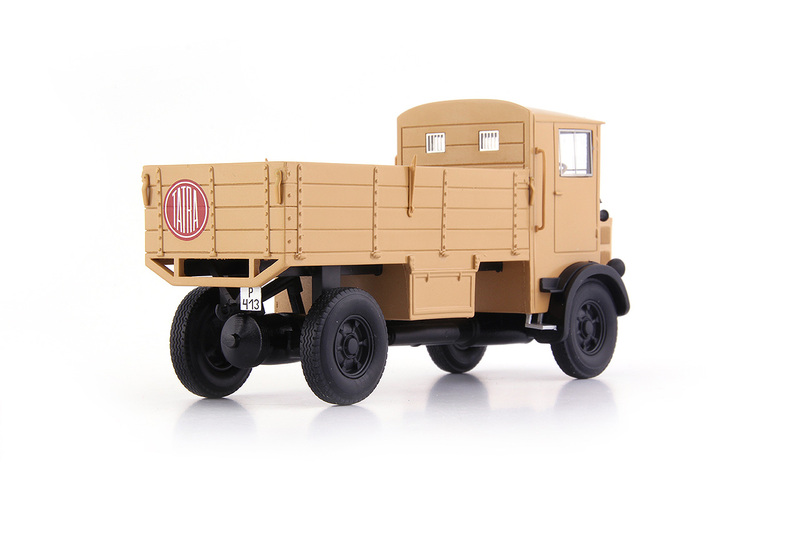 This 1935 Typ 853 Horsch with a powerful straight eight engine was an example of this. 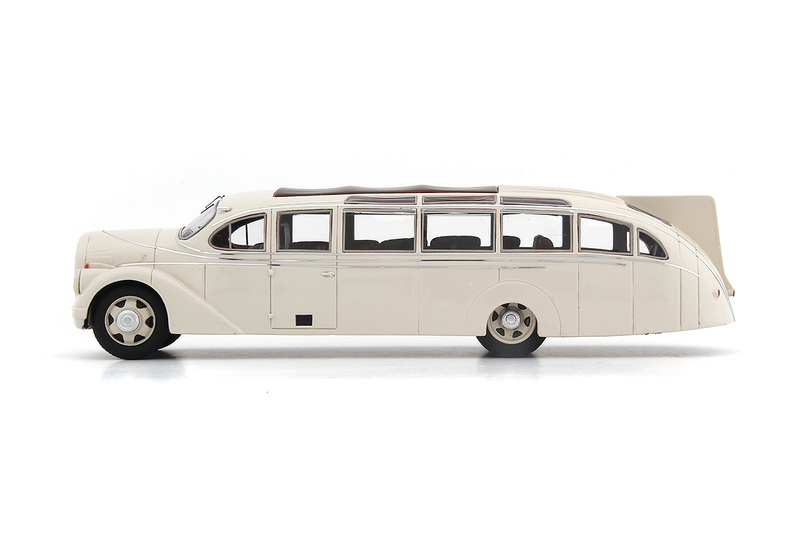 In the Soviet dominated aftermath of the Second World War no private citizen would be allowed to be driven round in a vehicle like this, with its Nazi connections and luxurious nature. 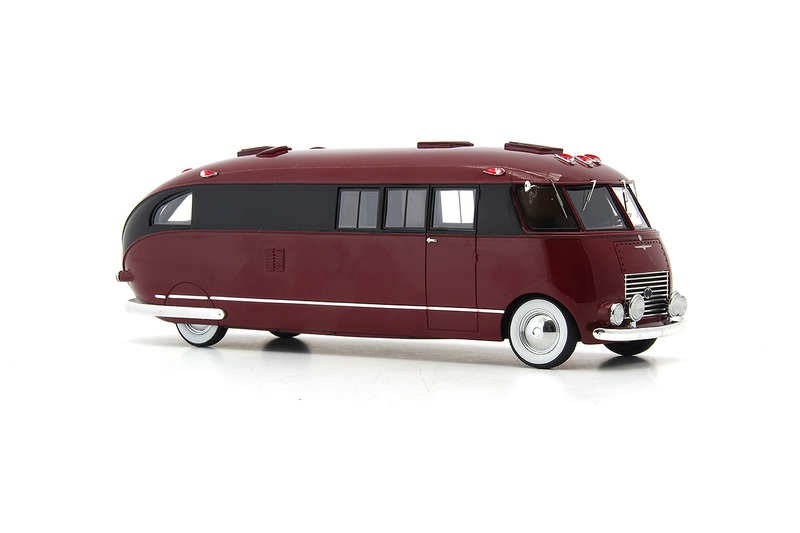 But such a vehicle was too good to waste in those days of shortages and post war rebuilding. 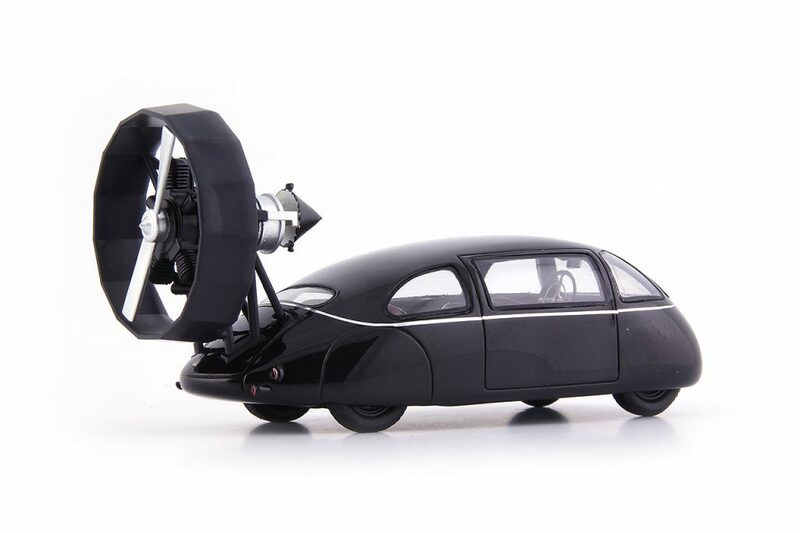 The solution was to put it to work. 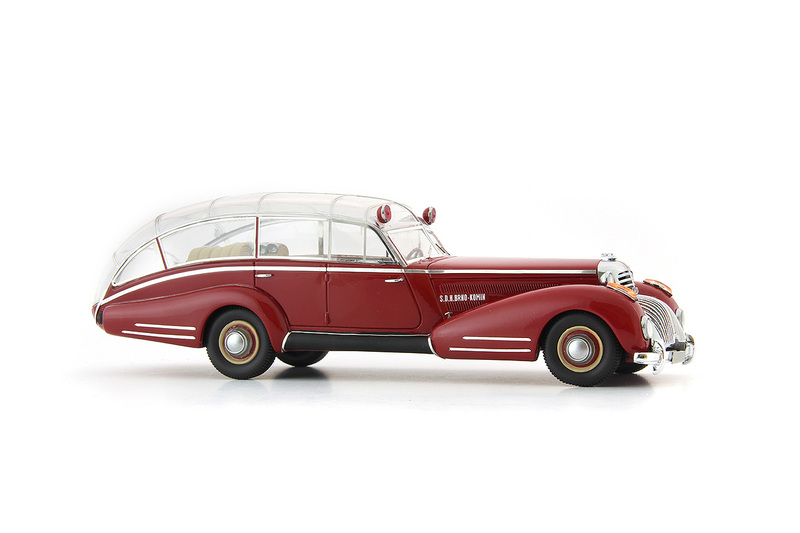 The Czechoslovakian body maker T. Lepil, known for his body designs for Czech car makers, created a complete new body for the convertible. 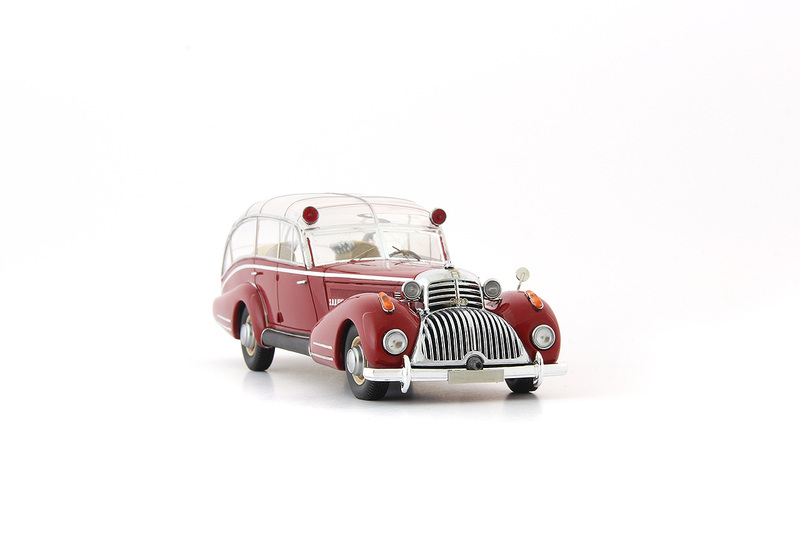 It was rebuilt as a Fire Appliance with a fully glazed roof. 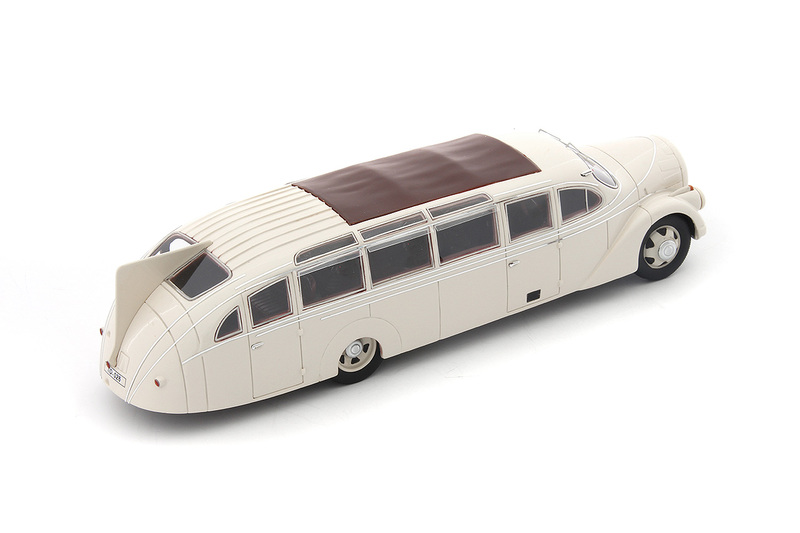 It is thought that the vehicle was re-built between 1946 and 1949. 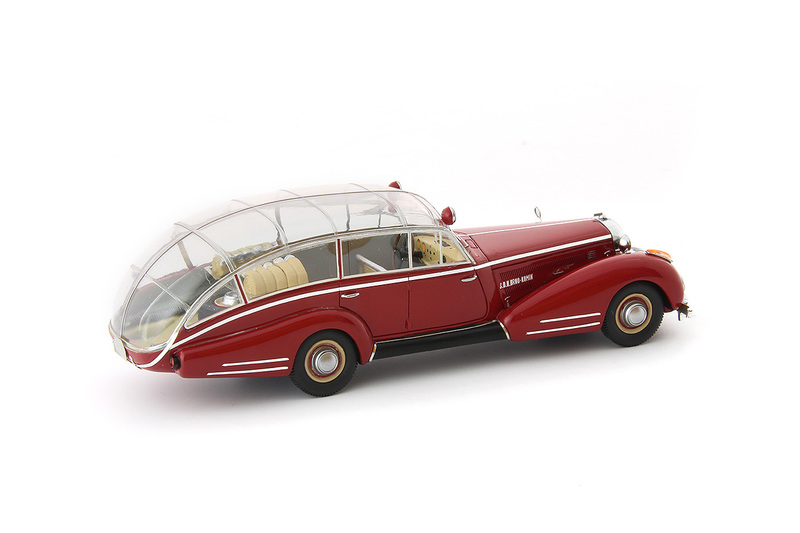 It is likely that the engine of the Horch convertible remained in its original condition and therefore the local fire department of the Brno-Komin district had not only one of the most extraordinary emergency vehicles at this time but also one of the fastest.